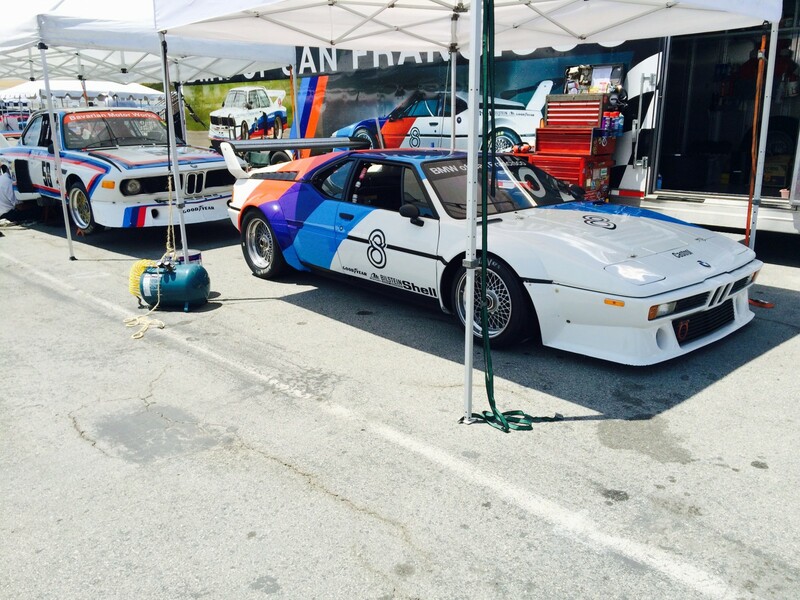 The 2016 Rolex Monterey Motorsports Reunion is celebrating the 100th anniversary of BMW, with the largest exhibit of BMW’s outside of Munich. 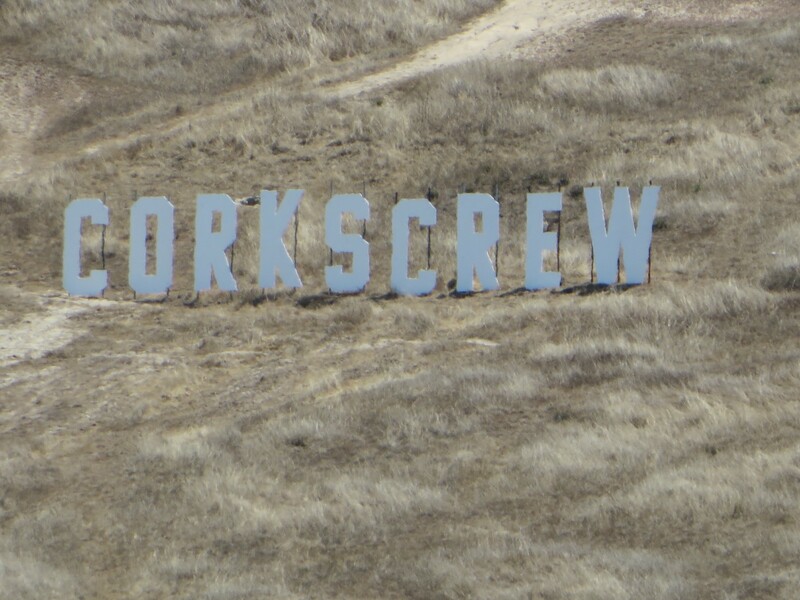 A large well-appointed display is the centerpiece of the paddock at Mazda Raceway Laguna Seca. 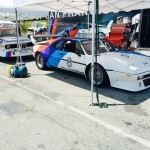 In front of and along the sides is a revolving exhibit of famous racing BMWs – revolving as they are being raced in some of the fifteen classes of historic cars this four-day weekend. 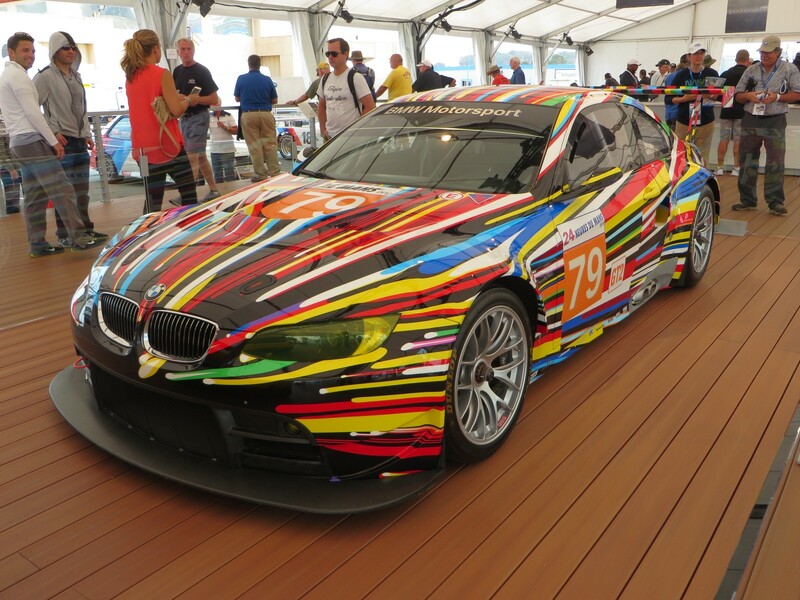 Among the famous BMWs inside the display tent are two of the well-known BMW Art Cars – the first Art Car, created in 1975 by American Artist, Andrew Calder – mainly known for sculptures and mobiles; and the 17th BMW Art Car – the BMW M3 GT2 designed by Jeff Koons signed in 2010. 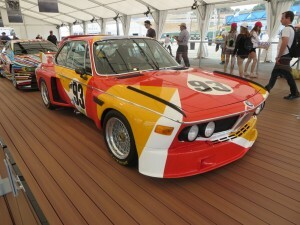 The No.93 Calder car, a BMW 300 CSL, was one of his last art works. 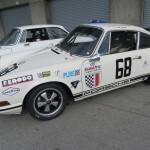 It was raced at the 1975 24 Hours of Le Mans by American Sam Posey and Frenchmen Jean Guichet and Herve Poulain; and has been on exhibit ever since. 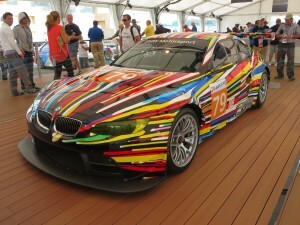 The No.79 Koons car was raced at the 2010 24 Hours of LeMans by Andy Priaulx, Dirk Werner, and Dirk Muller. 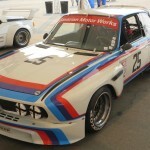 Other display cars include the No.25 1975 BMW 3.0 CSL which won the 12 Hours of Sebring with Sam Posey, Brian Redman, Allan Moffat, and Hans Stuck; the 1938 silver Mille Miglia class-winning BMW 328 – the last pre-war 1000-mile event. 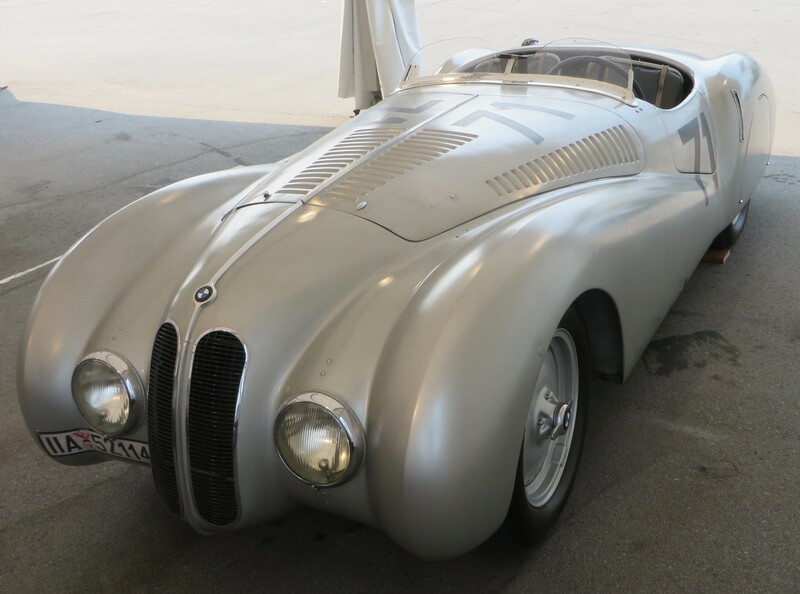 Only three of these 328’s were made.After the war, this display car was taken to Russia, and returned to Munich after the fall of the Berlin Wall, where it was restored by BMW. The weekend schedule calls for practice Thursday and Friday for all fifteen classes on the 2.238-mile elevated road course. Saturday the eight A Classes will race, and Sunday there will be seven B class races, followed by the Prize-Giving Ceremonies. 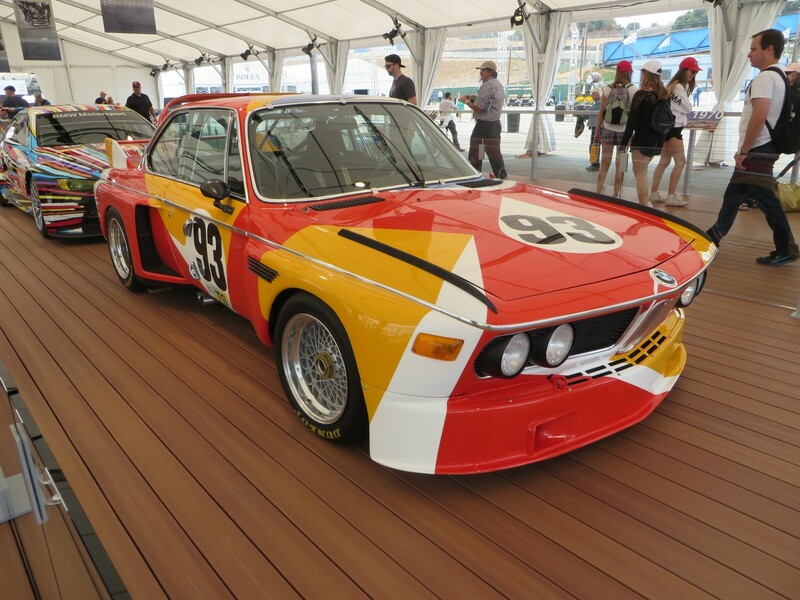 There are 55 BMWs in five of the 15 classes: 1A for Pre 1940 Sports Racing/Touring Cars & 1927-1951 Racing Cars; lots in 4A for 1973-1981 FIA, IMSA GT, GTX, AAGT, GTU Cars; 3B for 1963-1973 FIA Manufacturers Championship Cars; 4B for 1961-1966 GT Cars under 2500 cc; and 5B for 1981-1991 FIA Manufacturers Championship IMSA GTO/GTP Cars. Thursday night in the paddock was the Oktoberfest Welcome Party complete with beer, costumed SCRAMP staff members, and typical German food – with an oom-pah-pah band and instant art painted by official track artist, Bill Patterson. 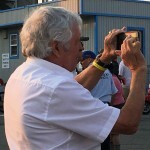 Among those attending and taking photos of the cars and drivers was world-famous driver, Brian Redman. 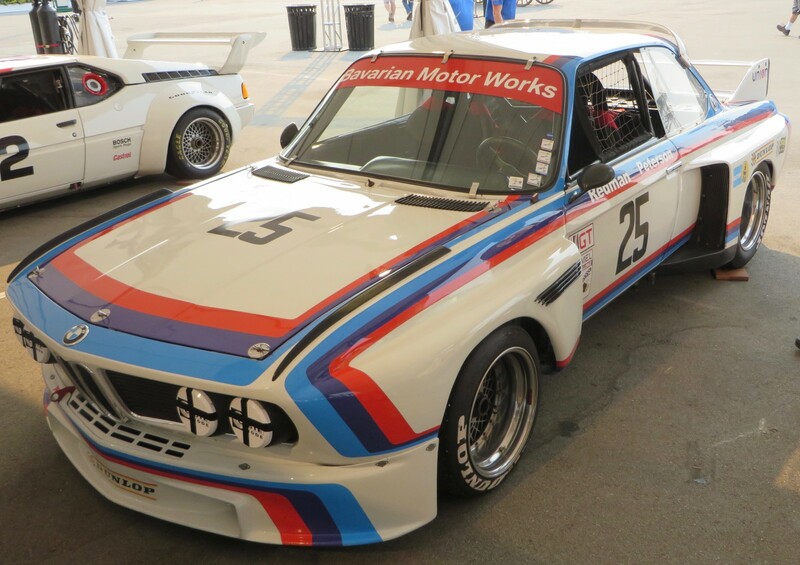 The affable Brit took one of his old race cars out for a spin Friday morning – No.25 1975 BMW 3.0 CSL – one of five imported into the US. 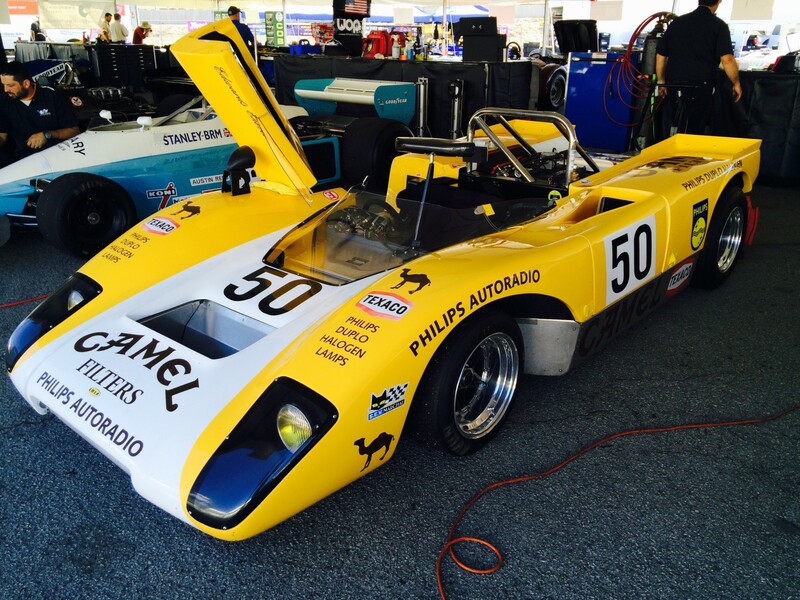 Redman ran the 1975-1976 IMSA Camel GT Series with Ronnie Peterson. It was one of the most successful BMW production race cars, and all those five race cars still exist. 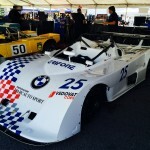 The car is entered by BMW North America and driven by Ludwig Willisch of New Jersey. Saturday’s schedule calls for Qualifying Races in the morning and Rolex Races in the afternoon – for all eight of the A Groups. Sunday was again hot at Mazda Raceway Laguna Seca for the fourth and final day of the 2015 Rolex Monterey Motorsports Reunion. The mysterious patchy clouds hung around – possibly a quirky wind change blowing down lingering forest fire smoke from Northern California. The schedule was shorter, with only seven Race Groups – all in the B category. 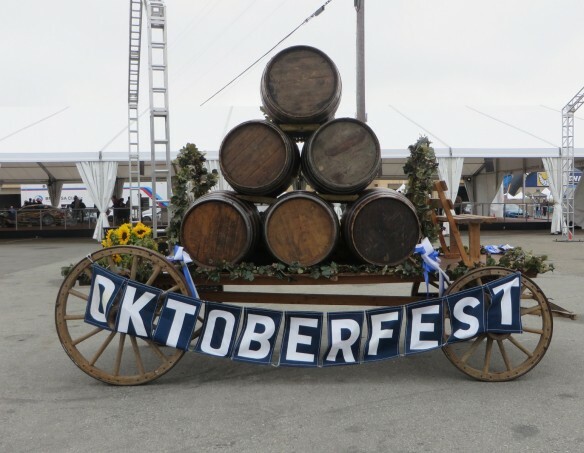 The crowds were more manageable, which usually happens on Sunday, while the early birds head to Pebble Beach for the spit and polish of the Pebble Beach Concours D’Elegance. 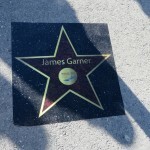 They return back to the race world in the afternoon, and attend the Reunion Awards Ceremonies – which reward excellence, presentation and authenticity – not necessarily race winners or speed. Group 1B-1927-1951 Racing Cars had the smallest field and an even smaller starting grid for the morning race. Paddins Dowling’s No.3 1939 Maserati 4CL won the race by 02.400 seconds over Jon Shirley’s No.12 1934 Alda Romeo Tipo B (P3). 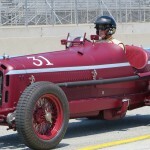 Perennial winner, Peter Giddings, finished third in his well-known No.31 1932 Alfa Romeo Monza. The average race lap was 67.471 mph. Thirteen of the 21-car field took the checkered flag for the nine-lap race. The trio won again in that order for the afternoon’s Rolex Race. Dowling’s Margin this time was 06.693 seconds, and he turned the fastest race lap of 2.00.507/66.858 mph on Lap 7. The average race lap was 66.157. The same 13 cars ran the nine-lap race. Group 2B-1947-1955 Sports Racing and GT Cars morning race was won by Cameron Healy of Portland OR in his No.55 1953 Porsche Cooper Pooper. His MOV was 03.256 seconds ahead of Dave Zurlinden’s No.15 Tatum GMC Special. Robert Manson’s No.7 1949 Baldwin Mercury Special. The average race lap was 63.567 mph. All but three of the 30-car field ran the eight-lap race. 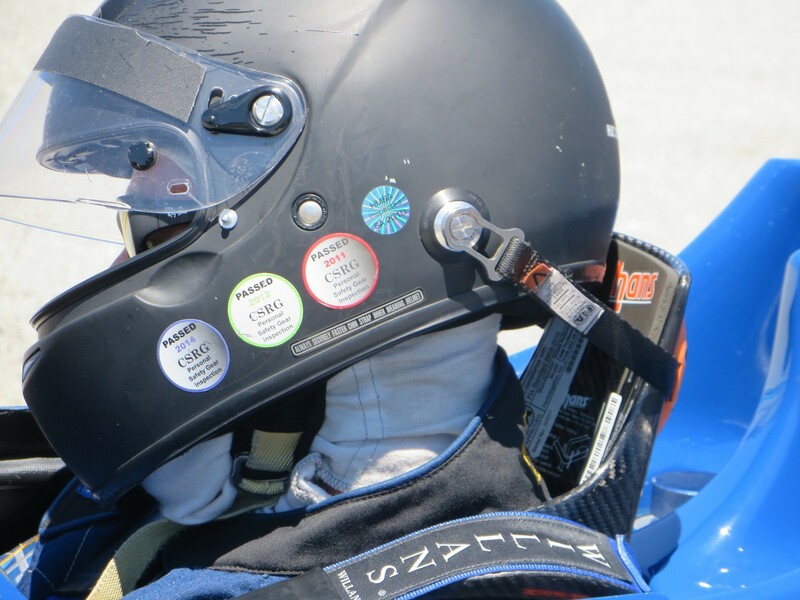 Healey won the afternoon Group 2B Rolex Race, this time by only 01.646 seconds ahead of Marcus Bicknell of the UK in his No.15 1952 Streets Manning Special. 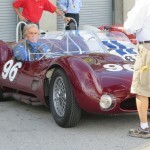 Third was John Buddenbaum in the No.3 1949 Jaguar Parkinson Special owned by Terry Buffum. 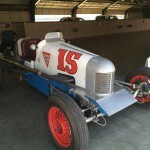 Healey turned the fastest race lap of 1;51.374/72.34 mph on Lap 7. The field numbered 24 cars for the seven-lap race. 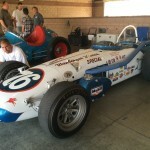 Local driver Donald Orosco won Group 3B-1955-1961 Sports Racing Cars under 2000cc, racing his No.59 1958 Lotus 15. 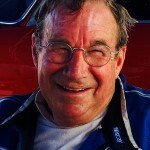 He beat runner up, Gregory Campbell of Canada in his No.356 1955 Devin Porsche 356 PreA by 05.805 seconds. 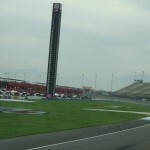 The average race lap was 75.473 mph, for the ten-lap race. Thirty-four of the 36-car field ran the race. 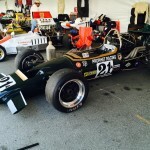 The afternoon Group 3B Rolex Race was again won by Don Orosco in his Lotus 15. It was a local family sweep Runner-up was Brian Orosco in his No.36 1959 Lola Mk1 and third was Chris Orosco in his No.90 1959 Lola Mk1. The Margin of victory for Don Orosco was 00.711 seconds, the second closest of the afternoon. 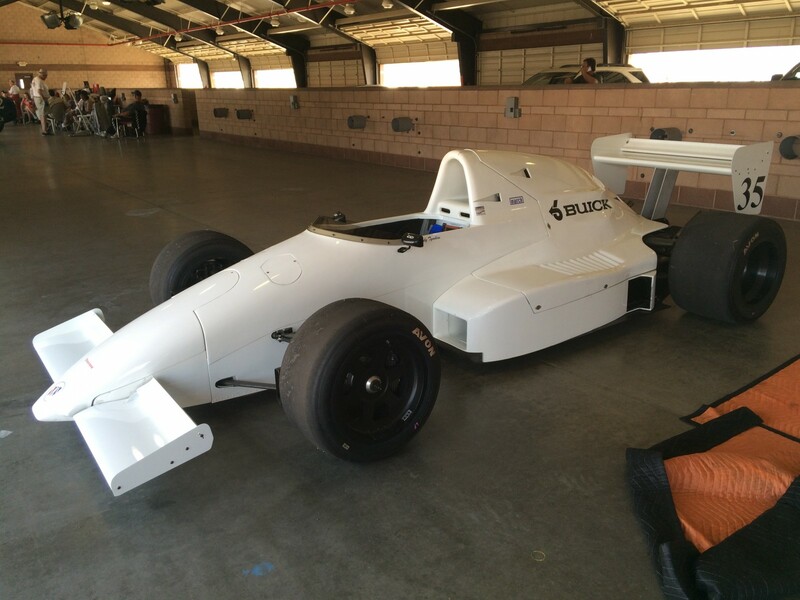 Brian Orosco turned the fastest race lap of 1:45.737/76.197 mph on Lap 4. The average race lap was 65.951 mph. Thirty-one of thirty-five cars ran the race. The Group 4B Race for 1961-1966 GT Cars had the largest field of the day – 49 cars. Fred Della Noce of Brazil won in his No.18 1966 Ginetta G12, 04.326 seconds ahead of his Brazilian compadre, Dalmo De Vasconcelos’s Nol.l85 1965 Lotus Elan 26R. 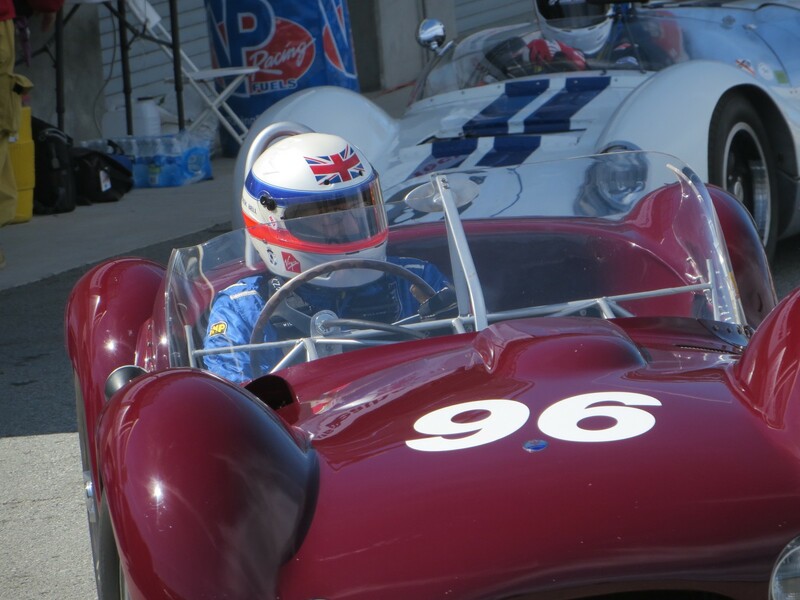 Third place went to Michael Malone in his No.37 1965 Lotus 26R. The average race lap was 70.917 mph. Thirty-eight cars ran the morning race. 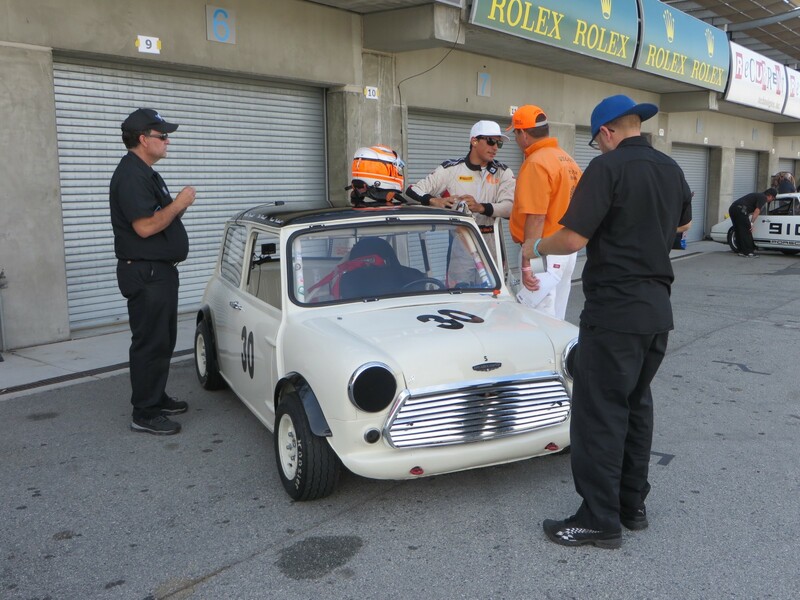 Young Timothy De Silva only was able to run four laps in the only Mini Cooper this weekend-No.30 1962 Austin Mini Cooper. 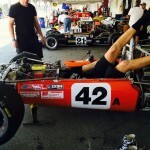 He is the son of vintage racer Harinda Da Silva, who raced his 1974 Shadow DN3 F1 car in Group 8A. 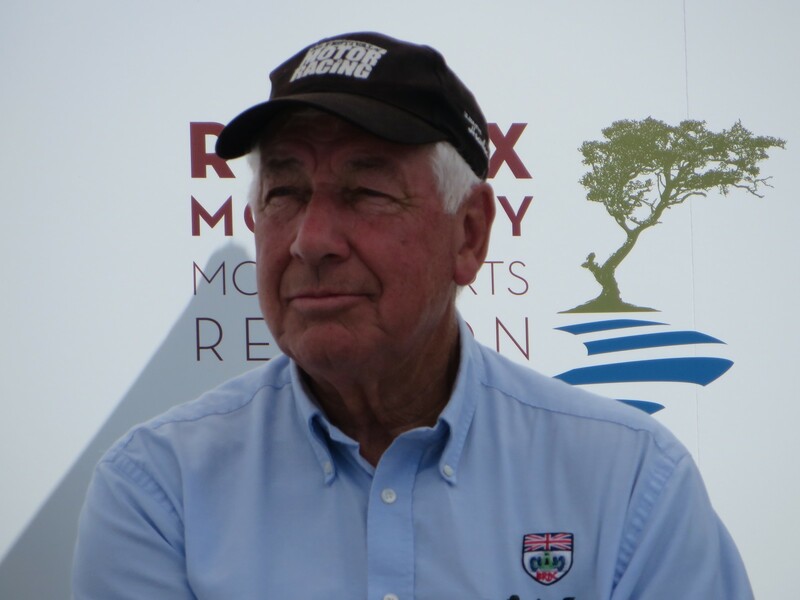 It was Deja Vu for the afternoon Group 4B Rolex Race – same top three finishers in the same order. Della Noce’s MOV was 05.070 seconds. 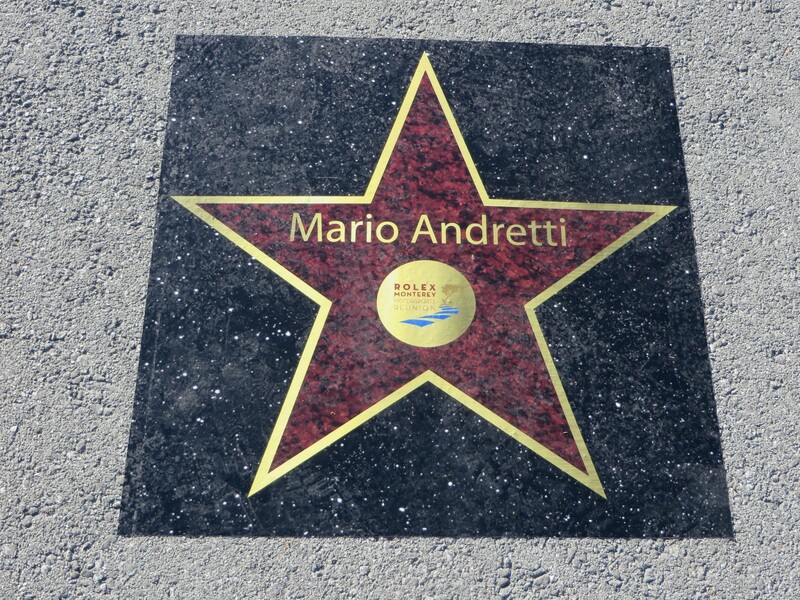 He turned the fastest race lap of 1:44.685/76.962 mph on the last lap of the eight-lap race. The average race lap was 63.297 mph. Mike McGovern won the colorful Group 5B morning race for 1963-1968 GT Cars over 2500cc, driving his No.19 1964 Shelby Cobra, a scant 00.709 seconds ahead of runnerup Jeffrey Abronsom’s No.15 1964 Chevrolet Corvtte Roadster. 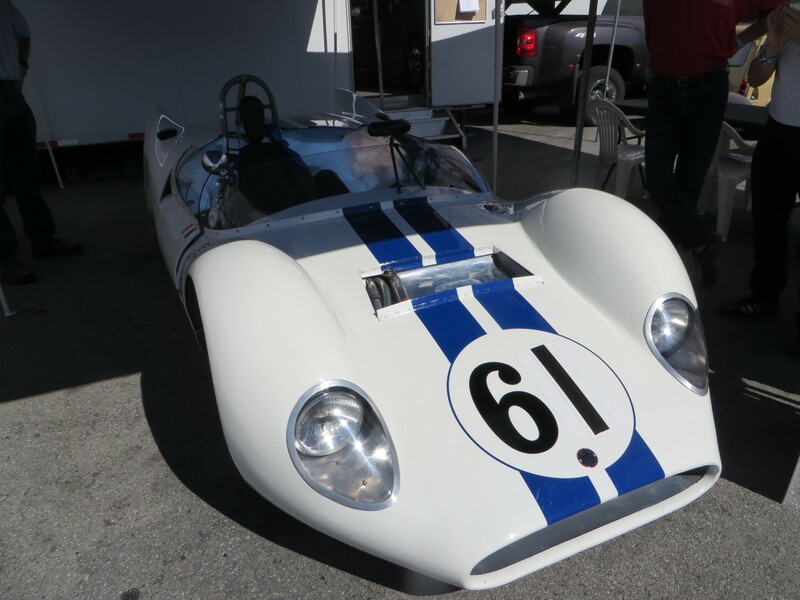 Finishing third was Jim Click’s No.89 1965 Shelby Cobra. The Average Lap was 72.92 mph. The grid comprised 31 cars in a 39-car field for the ten-lap race. 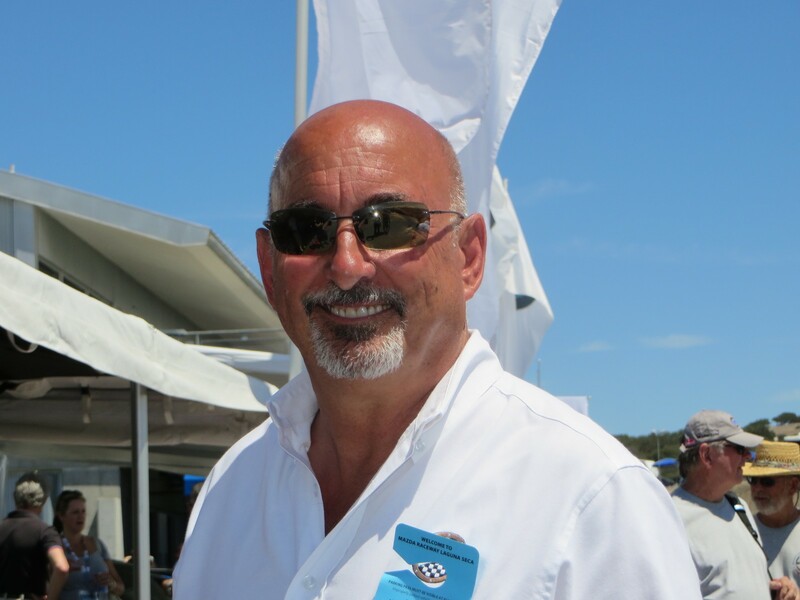 Ironman McGovern did it again in the afternoon Rolex race, finishing 01.278 ahead of Abramson, who was followed by Click – who turned the fastest race lap of 1:42.702/78.448 mph on Lap 7. The average race lap was 77.456 mph. Not finishing as high in either the morning or after races was Greg Umphenour in his No.81 1964 Mercury Comet, but it certainly was a stylin’ car. It has run the South African Rallye. The Group 6B Historic Trans-Am Cars-1966-1972 is always a favorite group.The morning race was won by Jim Halsey of Los Angeles in his No.61 1970 Ford Mustang Boss 302, finishing 01.359 seconds ahead of veteran vintage racer, Ken Epsman in his No.2 red-white-blue 1971 AMC Javelin. The average race lap was 53.097 mph. 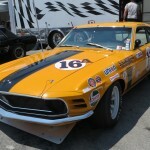 Third was Mike McGovern in his No.16T 1970 Ford Mustang Boss 302. 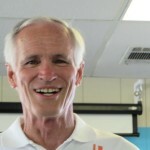 Can you imagine how McGovern felt after running those two races back to back in that heat – nearly 90 degrees. 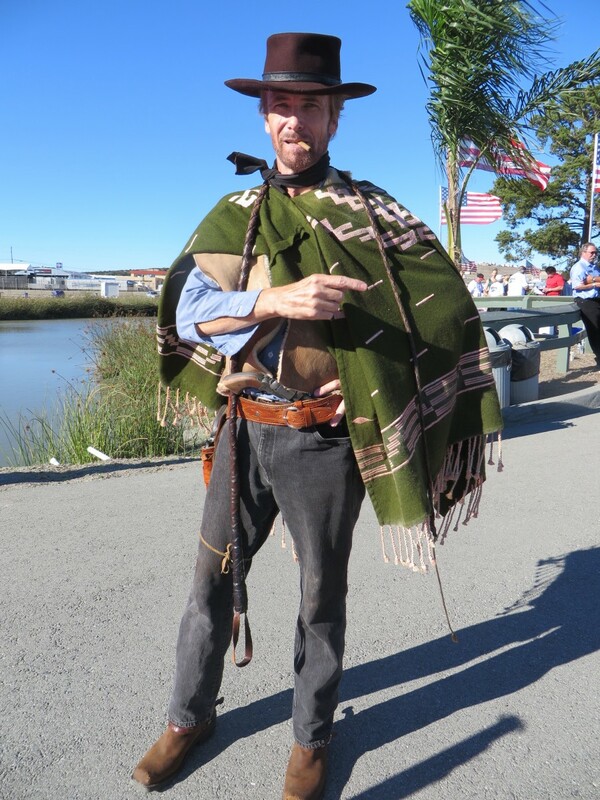 He won the morning 5B race.Hope he had a cool suit. And to show how tough he is, he ran both of his Rolex races (5B/6B) back to back in the hot afternoon and won both! 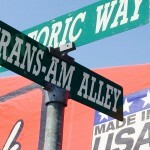 For the Trans-Am race, McGovern won, Epsman was second and Halsey was third. 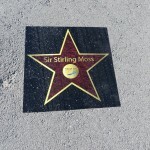 The MOV was 00.130 seconds – the closest of the afternoon. McGovern had to work for that victory. 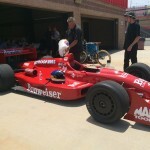 Halsey ran the fastest race lap of 1:45.998/76.009 mph on Lap 2. 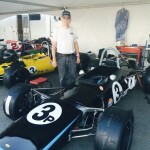 Richard Dean of the UK won the morning Group 7B Race for 1968-1978 Formula 5000 Cars in Zak Brown’s No.6 1974 Lola T332. His Margin of Victory was 11.750 seconds ahead of Paul Zazryn of Australia, racing his No.24 1974 Lola T332. 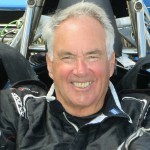 Third was Steven Ross of New Zealand in is No.5A 1973 McRae GM-1. 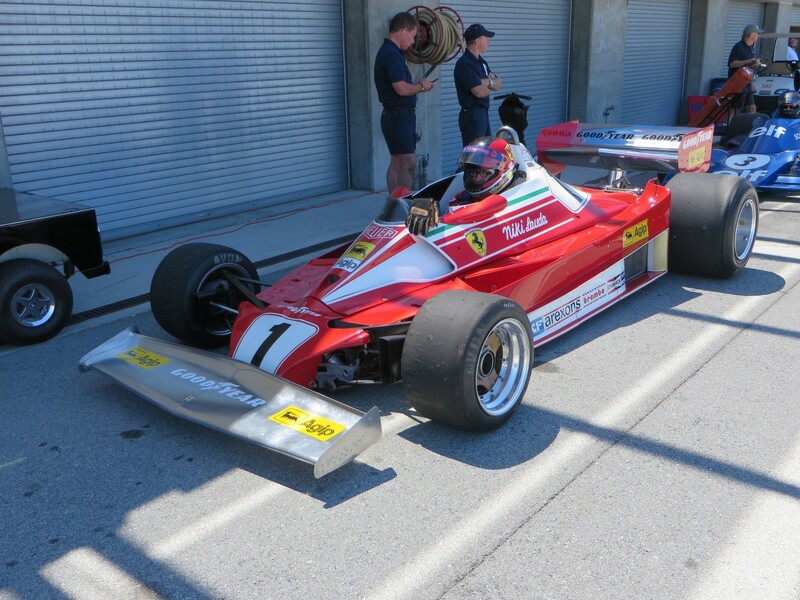 Those blokes from Down Under know their F5000’s. The Average race lap, in the 12-lap race, was 90.506 mph, the fastest for the morning races. The visitors from Down Under took the top three finishing positions for the afternoon Rolex Race. Dean won the race with a 01.726 seconds MOV. 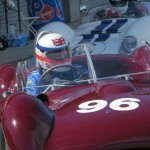 Second was Alan Dunkley of New Zealand in his No.42 1968 Lola T140. 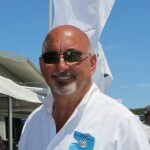 Paul Zazryn of Australia was relegated to third position by the Chief Steward for Passing under a standing Yellow flag. 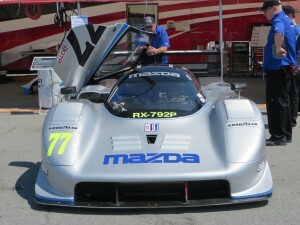 Zazryn turned the fastest race lap of 1:27.352/92.234 mph, the fastest of the afternoon Rolex Races. 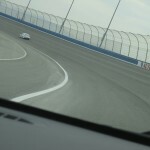 The average race lap was 52.477 mph on the last lap. During the lunch break the Paddock Stage Presentation was “Legends of the F5000″ with a panel of famous Formula 5000 drivers moderated by Casey Annis, Publisher/Editor of Vintage Racecar/Vintage Roadcar. 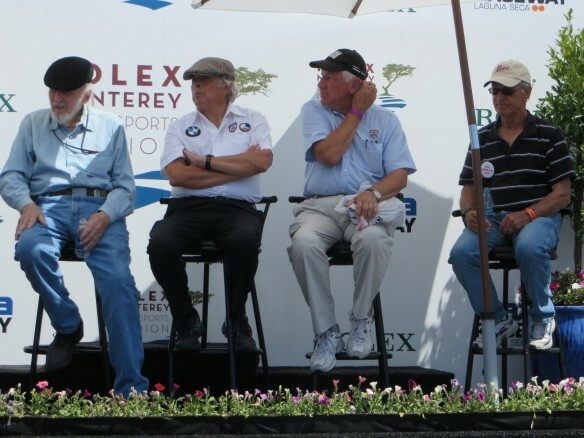 The drivers included Howden Ganley, John Morton and Brian Redman, along with Shadow Team Owner, Don Nichols. 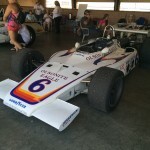 They spoke of the heyday of F5000 racing. The enthused crowd stuck around for an hour in the blazing sun. 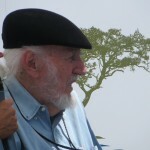 To my knowledge, at least three of the participants have written books on their racing: Ganley, Morton and Redman. Left to Right: Don Nichols, Brian Redman and Howden Ganley. 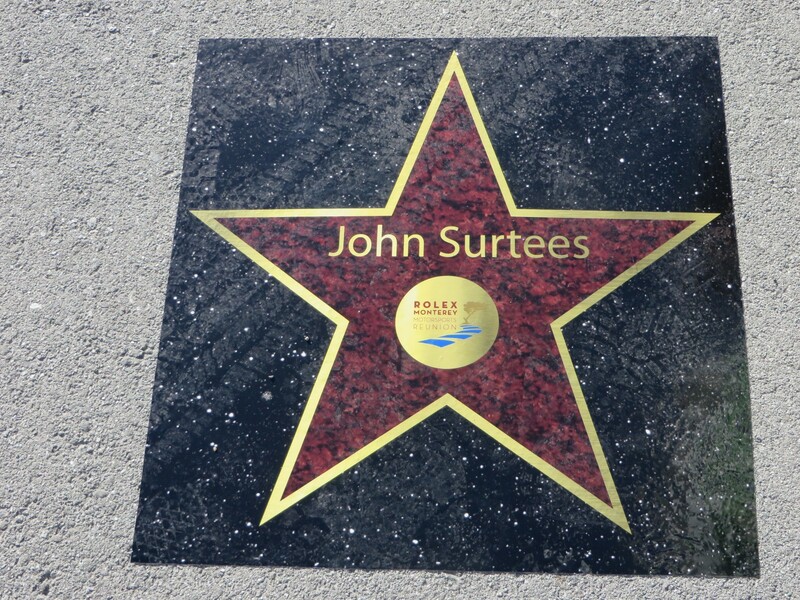 Apologies to John Morton for no portrait. Maybe this will do. Saturday afternoon the sights and sounds of the Rolex Races at Mazda Raceway Laguna Seca were everywhere and intensified by the crowds, racing and displays. The crowds were hug and water was the drink of choice in heat which rose to 91 degrees mid afternoon. Shade was treasured. 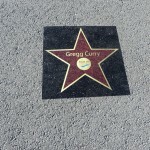 It was good people watching, with all the beautiful people and cars. 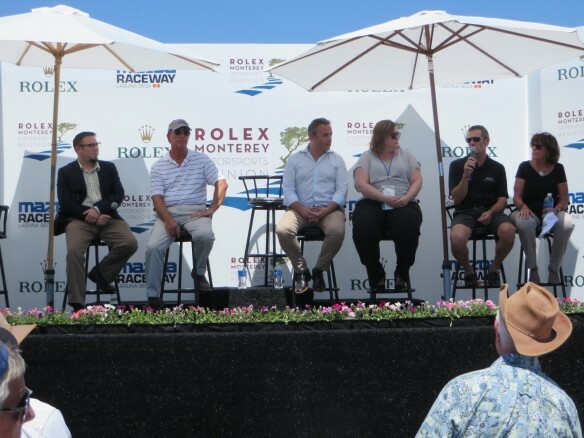 The afternoon schedule called for the Official Rolex Races – twenty minutes long. Saturday’s schedule was the longer of the two days as there were eight race groups and the day went until 6pm. Sunday’s race groups number seven, and the day ends earlier to accommodate the afternoon Awards Ceremony. 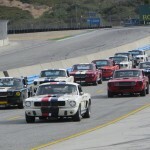 The feature Bonham’s Cup Rolex Race was first off – Group 3A for the featured marque – 1965-1970 Shelby 350GT’s. 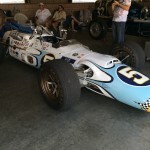 Winner Tommy Steuer of Colombia started second but won in the No.1 1965 Shelby owned by Bert Skidmore, beating Pole Sitter Terry Lawlor of Australia by 20.327 seconds. 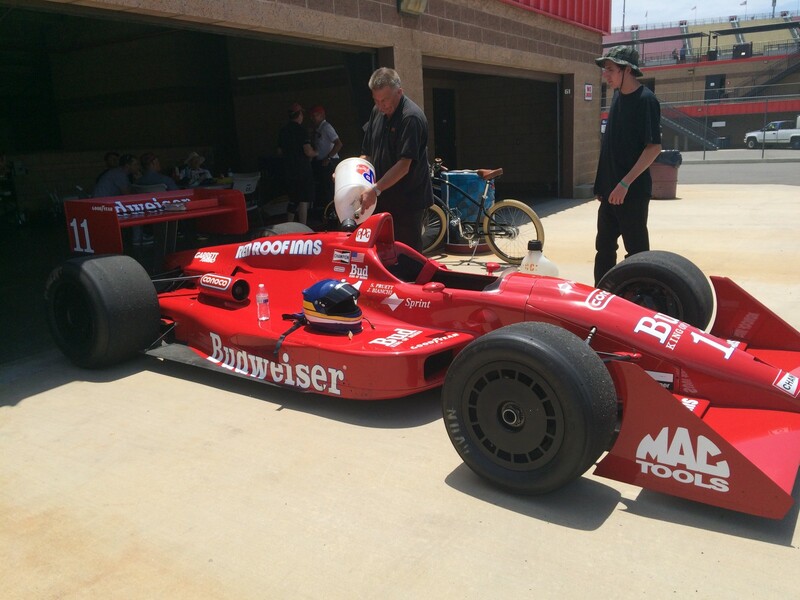 Steuer turned the fastest lap of 1:44.124/77.377 mph on Lap 2 of the ten-lap race. 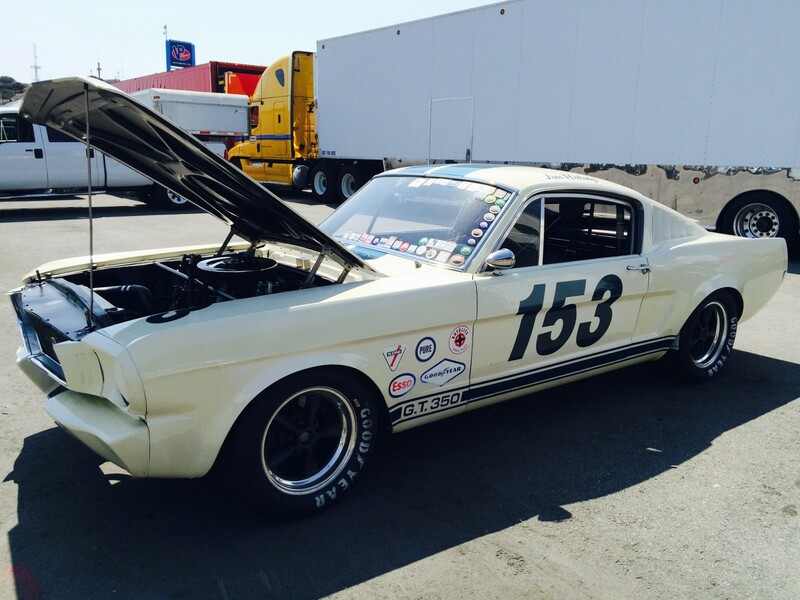 Finishing third was Jeffrey Abramson in his No.165 1965 Shelby. 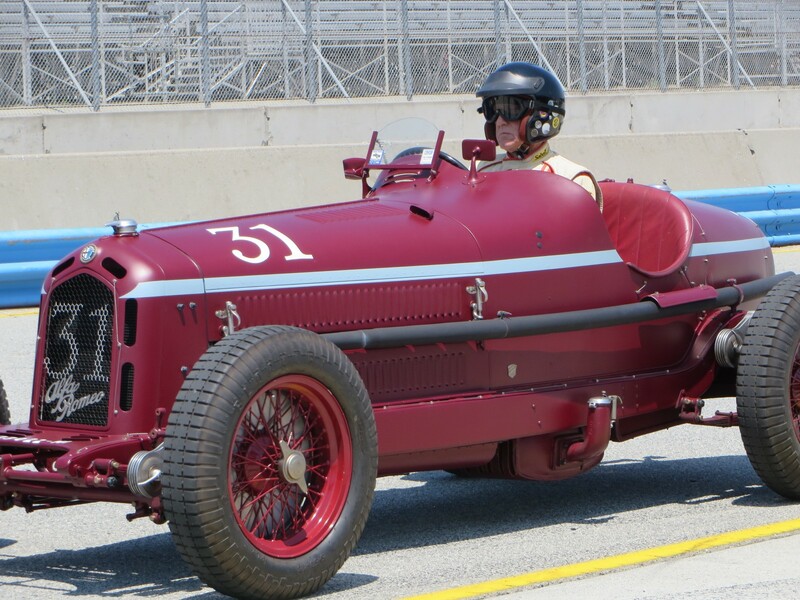 Conrad Stevensen of Berkeley CA drove his No.39 1939 Alfa Romeo 6C 2500 Super Special to victory in Group 1A race for Pre 1940 Sports Racing and Touring Cars. His Margin of Victory was 01.093 seconds ahead of Joe Harding’s No.111 1939 Lagonda V12 Le Mans and he also turned the fastest race lap time of 2:12.461/60.824 mph on Lap 3. Finishing third was Richard Morrison’s No.12 1939 Lagonda V12. 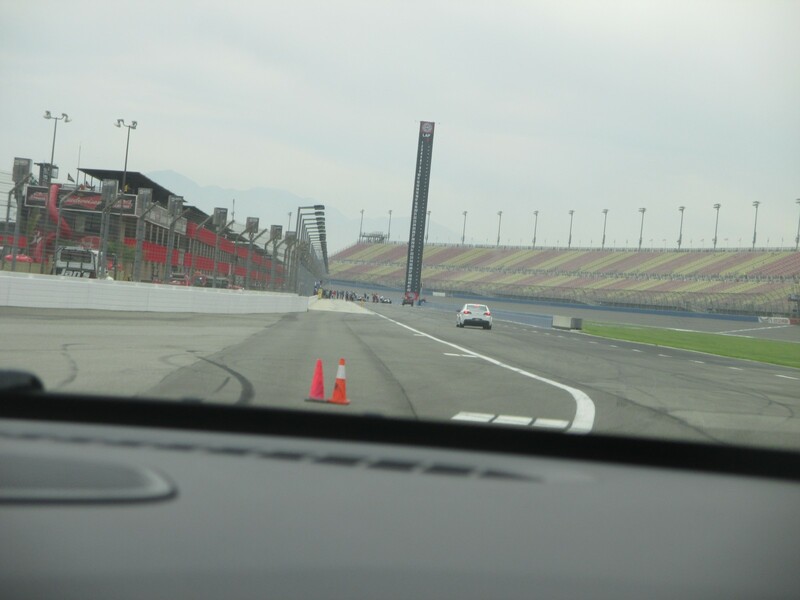 The average race speed was 59.49mph for the eight-lap race. 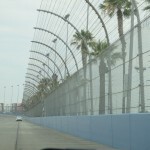 Twenty-four drivers raced from the 29-car field. Early contender, Howard Swig’s 1931 Chrysler CD-8 Le Mans retired early. Group 2A for 1955-1962 GT Cars was won by Pole Sitter Joe Colasacco of CT racing the 1963 Alfa Romeo TZ-1 owned by Lawrence Auriana. 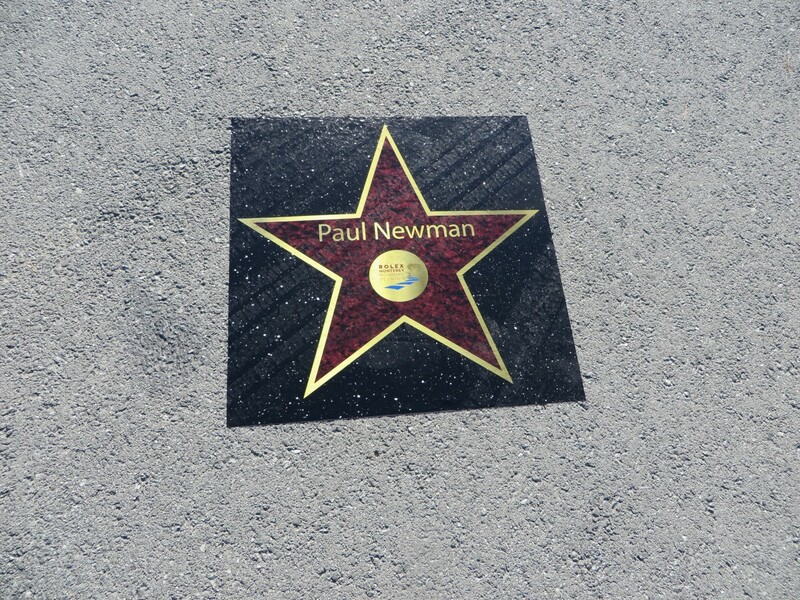 His Margin of Victory was 11.812 seconds ahead of Ron Goodman of Australia racing his No.21 1954 Porsche 356. Mark Colbert’s No.10 1962 Ferrari 250 GT Lusso Competizione was third. 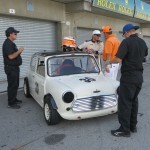 Colasacco turned the fastest race lap of 1:51.108/72.513 mph on Lap 4 of the nine-lap race. The average lap was 71.748 mph. Forty-one of the 46 entrants raced. 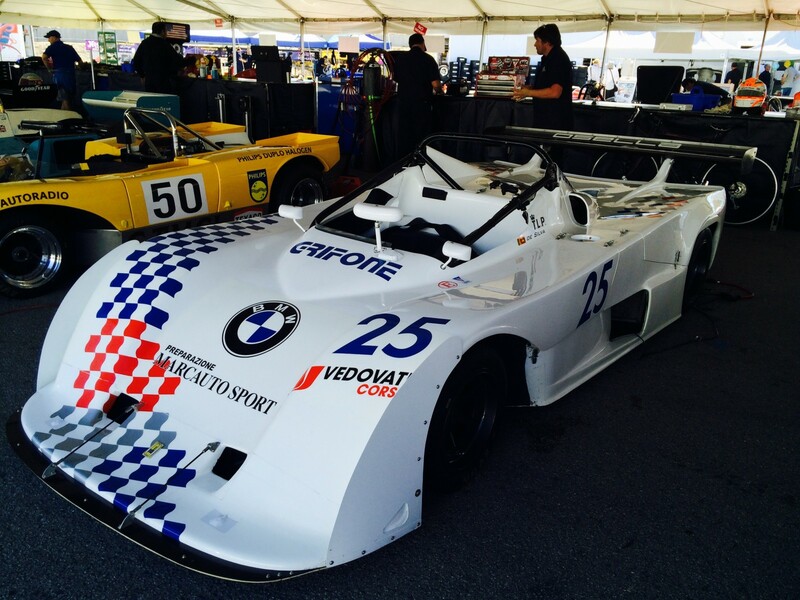 Bruce Canepa pulled one out of his helmet for Race Group 4A-1973-1981 FIA, IMSA GT-GTX, AAGT, GTU Cars. 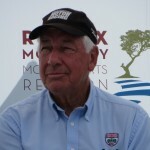 He only ran one lap before retiring in the morning race in his No.12 1979 Porsche 935, but he won the afternoon’s Rolex Race by 05.663 seconds ahead of Pole Sitter Didier Andr of France in his No.76 1977 Greenwood Corvette. 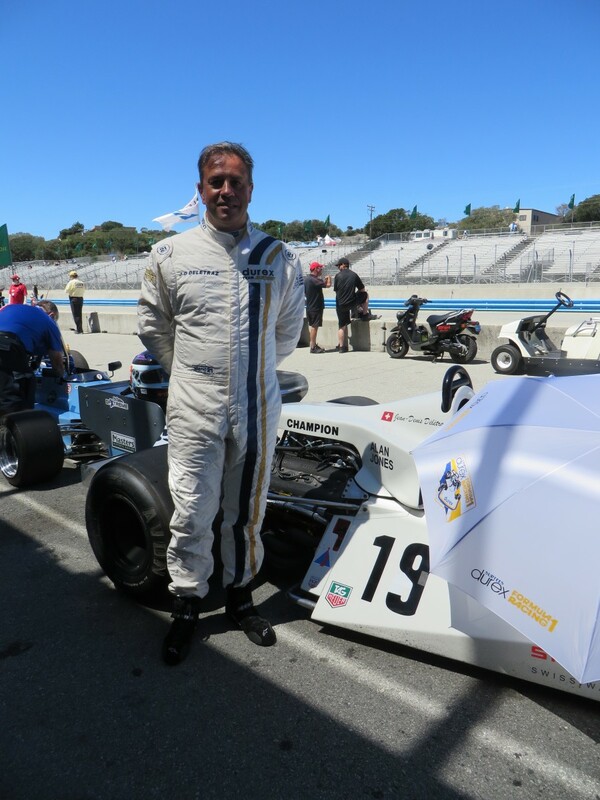 Local driver and veteran vintage racer, Ken Epsman finished third in his No.20 1976 Dekon Monza and also turned the fastest lap of 1:32.847/86.775 mph on Lap Eight of the 11-lap race. The average lap was 83.611 mph. Thirty-three of 41-car field ran the race. The top three finishers in Group 5A-1955-1961 Sports Racing Cars over 2000cc finished where they started and ended in the morning race. 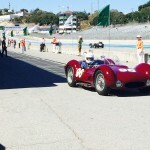 Pole Sitter Derek Hill continued his winning streak Saturday afternoon racing the No.3 1962 Maserati Tipo 151 owned by Laurence Auriana, making it the second win of the afternoon for the car owner. 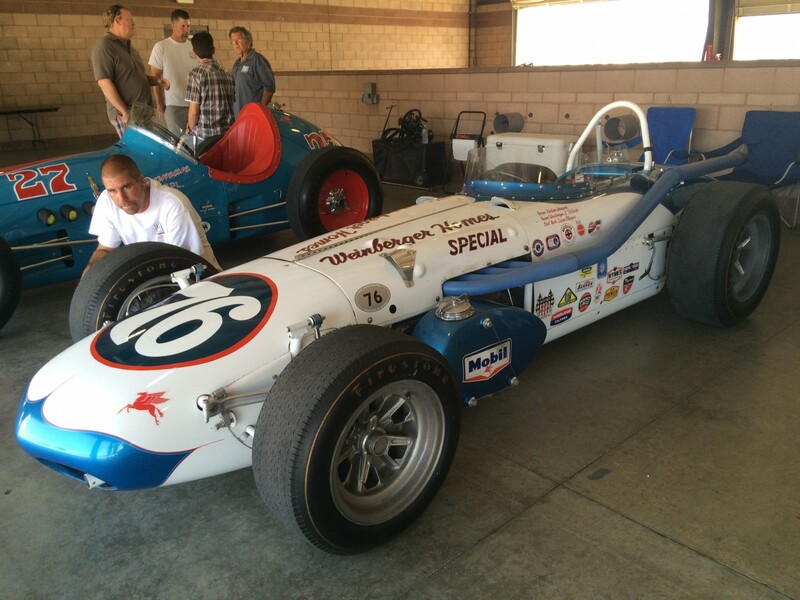 Hill’s Margin of Victory was 04.293 seconds ahead of Greg Meyer’s No.41 1962 Dailu MK2. 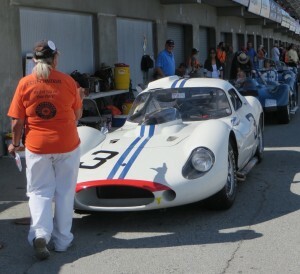 Joseph Diloreto finished third in his No.33 1961 Dolphin SportsRacer. Hill turned the fastest race lap of 1:44.378 mph/77.189 mp on the first lap. 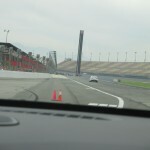 The average race lap was 76.027 mph. Hill raced Saturday only. 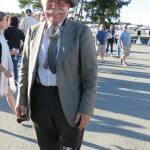 Sunday he headed off to Pebble Beach to host the annual Concours D’Elegance. Wade Carter of WA drove his No. 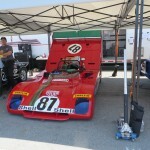 l74 1974 Lola T294 to victory in Rolex Race Group 6A-FIA Manufacturers Championship Cars. 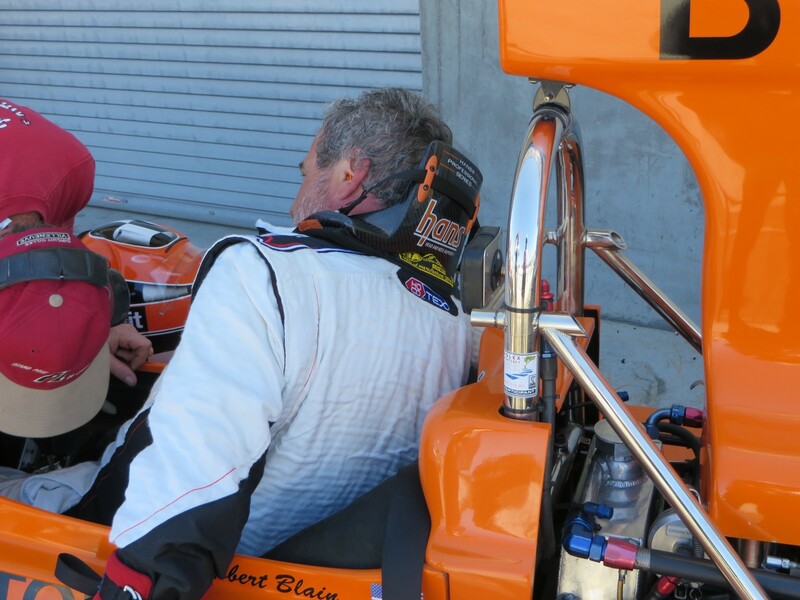 He beat Pole Sitter Keither Frieser’s No.27 1972 Lola T290 by 00.319 seconds, the closest Margin of Victory all afternoon, and turned the fastest lap of 1:25.851/93.846 mph on Lap 2. 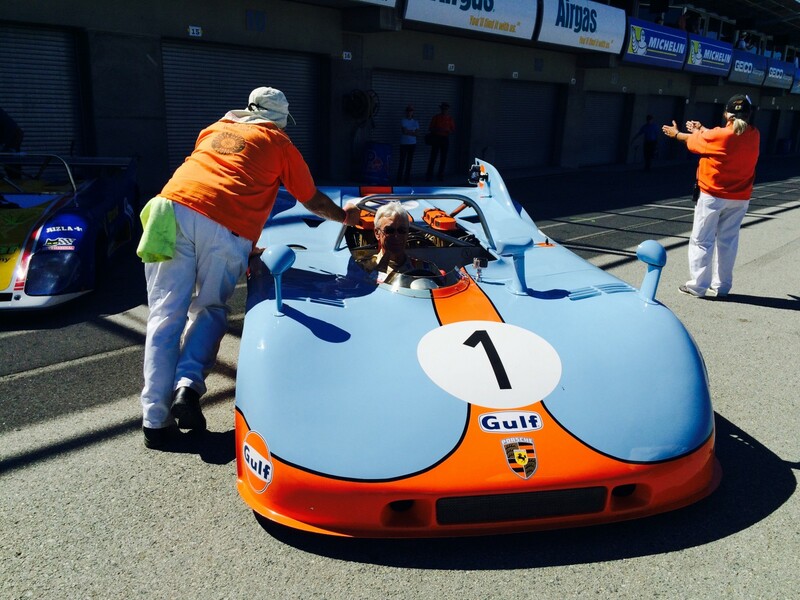 Finishing third was Chris MacAllister’s No.5 1973 Gulf Mirage. Twenty-six of the 40-car field took the Green Flag for the 12-lap race. 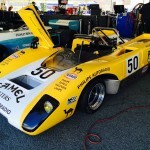 Two of the drivers in this group – John Delane No.50 1971 Lola T212 and Timothy De Silva No.22 1978 Osella PA8, are also racing in other groups. Delane races his 2 1971 Tyrrell in Group 8A for F1 Cars, and De Silva races perhaps the only Mini Cooper this weekend in Group 4B 1961 -1966 GT Cars under 2500cc. Bruce Canepa won his second race of the afternoon driving his No.100 1990 Porsche 962C in Group 7A-1981-1991 FIA/IMSA GTP, GTO Cars. His Margin of Victory was 08.901 seconds ahead of Parker Johnstone in the No.49 factory/Museum 1991 Acura Spice GTP Light car. Dieter Baljet of Canada drove his No.3 1990 Chevrolet Beretta to third place. 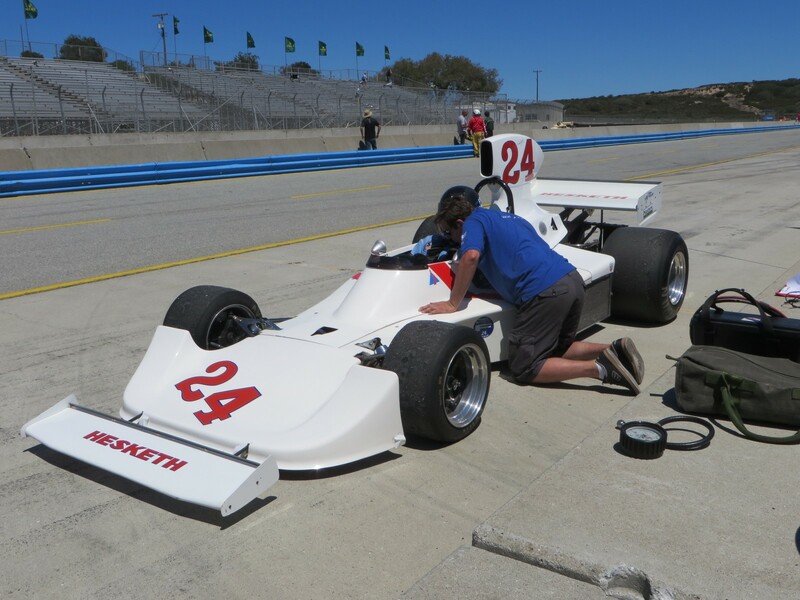 Canepa turned the fast lap of 1:26.049/93.63 mph on Lap 3. The average race lap was 92.629 mph. Championship Rally and Drifting driver, Steve Millen started twenty-fifth after having mechanical problems in the morning race, but ran through the pack to finish seventh overall. 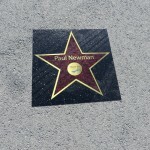 Actor and film producer of the new Paul Newman Documentary, “Winning,” Adam Carolla, brought his No.75T 1990 Peerless Oldsmobile, but didn’t run either of the Saturday races. 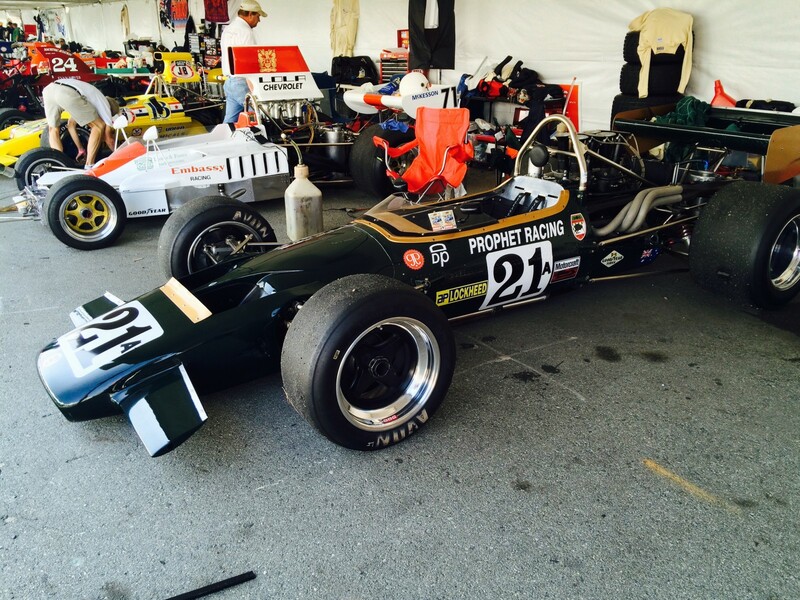 Charles Nearburg of Texas has been on a roll all weekend with his No.27A 1980 Williams FW07 – figuratively, not literally. 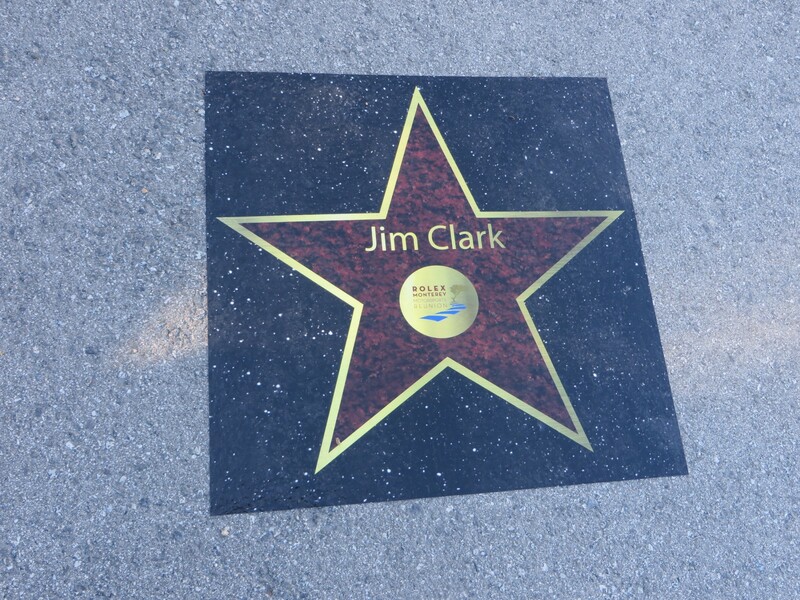 He was the Pole Sitter for Group 8A-1967-1984d Formula One Cars. He again won, the afternoon Rolex Race by 00.944 seconds, the second closest MOV of the day. 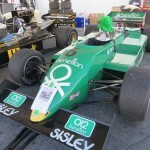 He again beat Erich Joiner’s No.101 1983 Williams FW08/C. 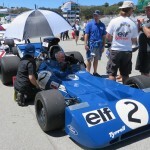 Finishing third was Dr. Nicholas Colyvas of San Francisco driving his No.3 1974 Tyrrell 007. 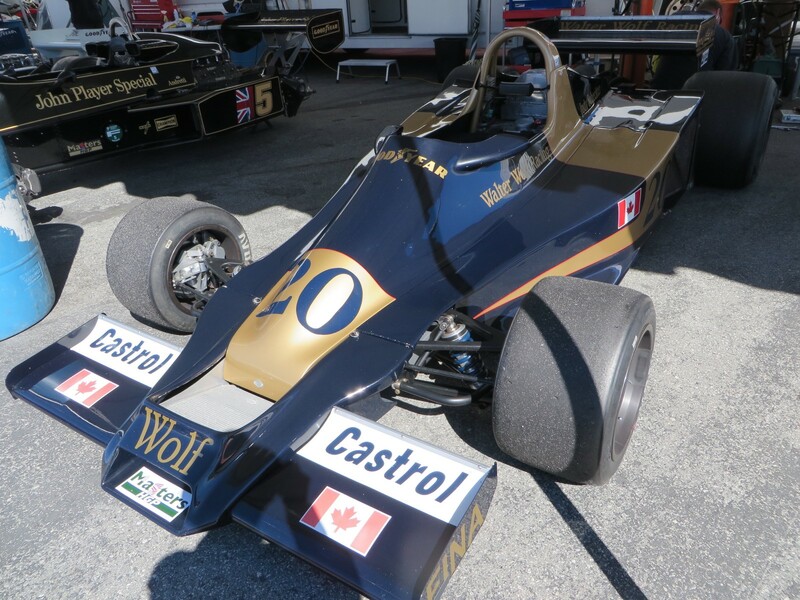 Colyvas was one of two local vintage F1 drivers who raced his F1 car in the movie “Rush.” The other was Chris Locke of San Anselmo, who finished ninth Saturday afternoon in his o.5 1976 Lotus 77, which he raced in the movie. After the race, the group convened to the FIA F1 Masters Cup Hospitality Suite for their prize giving. 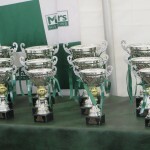 They have four classes and award loving cups to the top three in class. Saturday morning it was a scorcher at Mazda Raceway Laguna Seca for the first day of racing at the 2015 Rolex Monterey Motorsports Reunion. 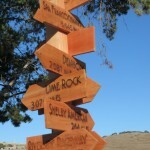 The weather was downright hot – 81 degrees F by 10:30am … and climbing. The skies had odd thin wisps and veils of transparent clouds scattered about. People were absolutely everywhere, taking photos, gawking and gaping in the paddock and around the course at the eight Groups of A cars. It was difficult at times to get a clear shot of any car or driver. The morning schedule called for fifteen minute, timed races, followed by afternoon races of 20 minutes each. 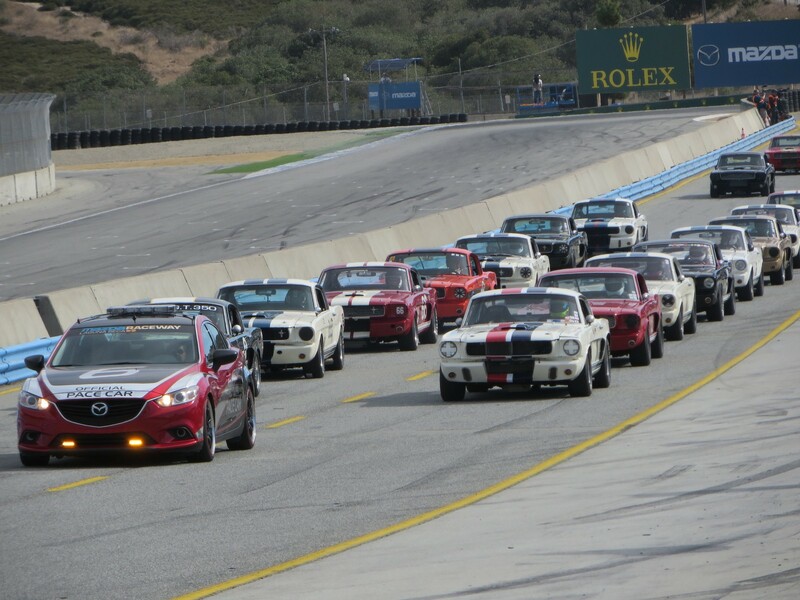 This year’s Reunion is honoring The 50th Anniversary of the Shelby 350GT, and they were show cased in the Bonhams 1793 Cup Races for Group 3A – 1965-1970 Shelby Mustang Cars. 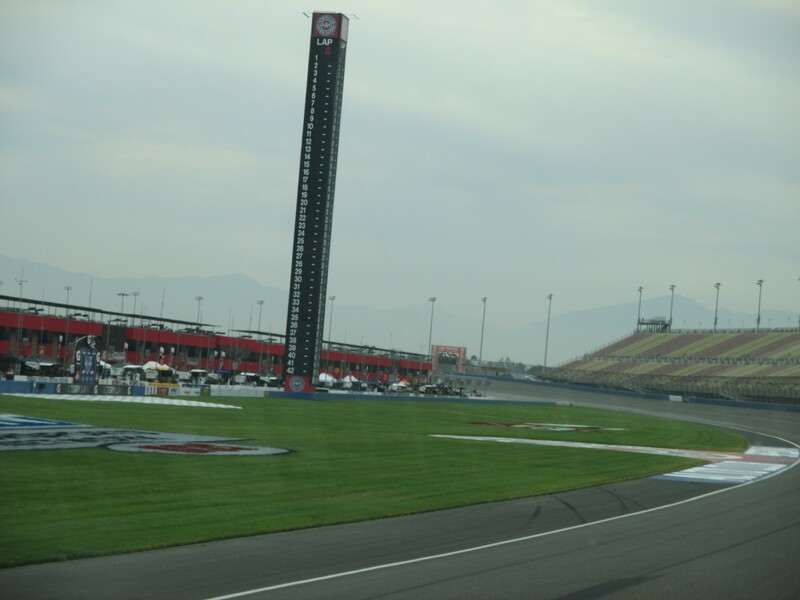 Thirty-two of the 38 entries took the Green Flag in the morning race. Terry Lawlor of Australia won in his No.8 1966 Shelby, beating pole sitter Tommy Steuer of Colombia in his No.1 1966 Shelby. 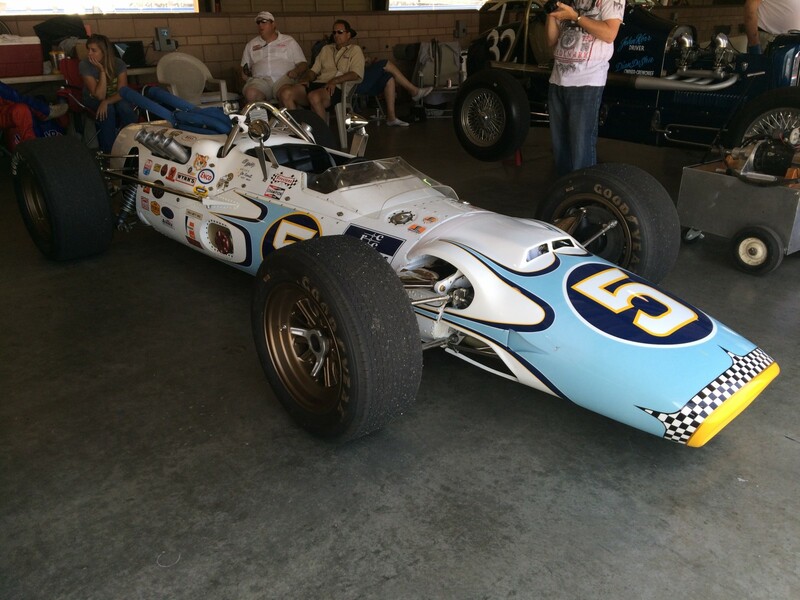 Third place was Jim Hague’s No.211 1966 Shelby. 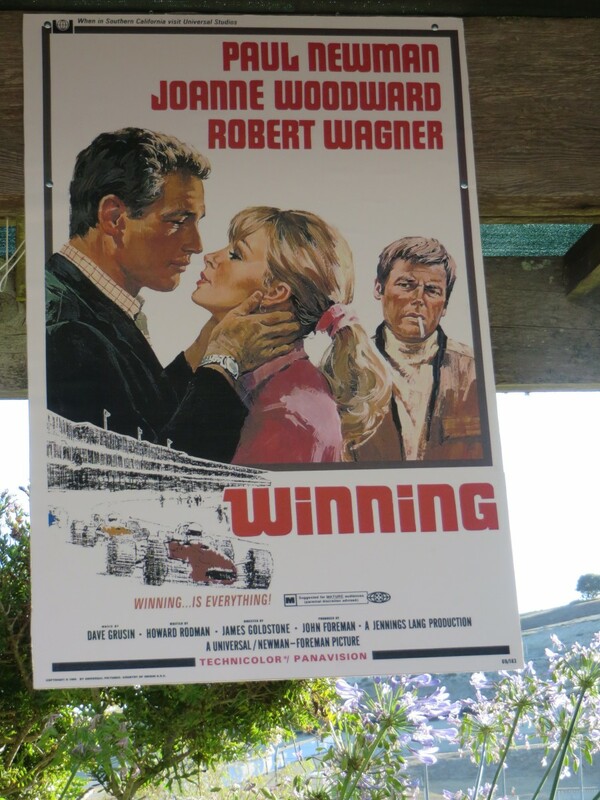 The Margin of Victory was 00.570 seconds, with the average race lap of 70.866 mph. The Mazda Zoom-Zoom radar screen on the Start-Finish bridge clocked a fast lap of 121 mph, but just once. 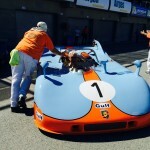 Although the Group 3A time span was listed as 1965-1970, all the cars were 1965-1966. 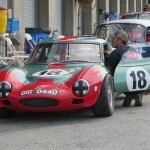 Twenty-five of the 40 entrants were 1966 cars, and the rest were 1965. 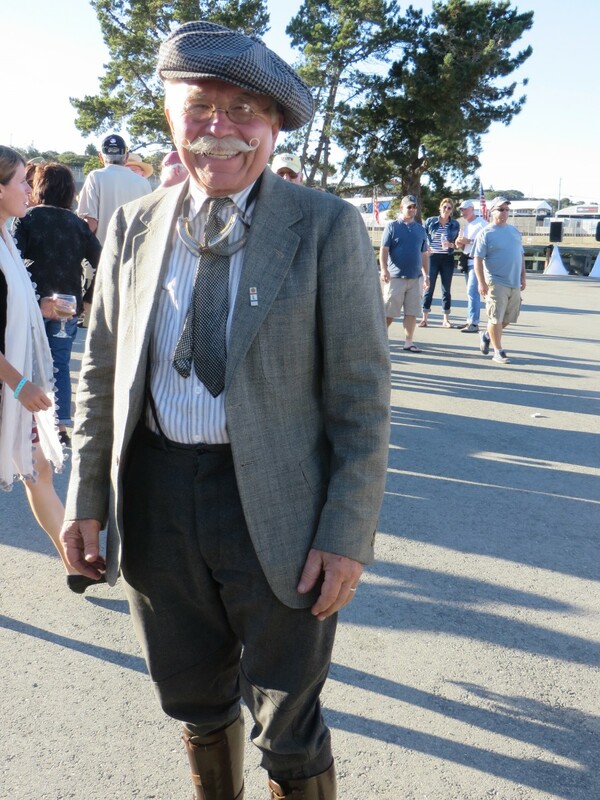 Conrad Stevenson of Berkeley Ca won the Group 1A Race for Pre 1940 Sports Racing and Touring Cars. And it was a good year for 1939. Stevenson drove his No.39 1939 Alfa Romeo 6C2500 Super Sport to victory 19.767 seconds ahead of runner up Joe Harding/s No.11 1939 Lagonda V12 Le Mans. Howard Swig finished third in his No.19 1931 Chrysler CD-8 Le Mans. Only 15 of the 29 entries ran the race. 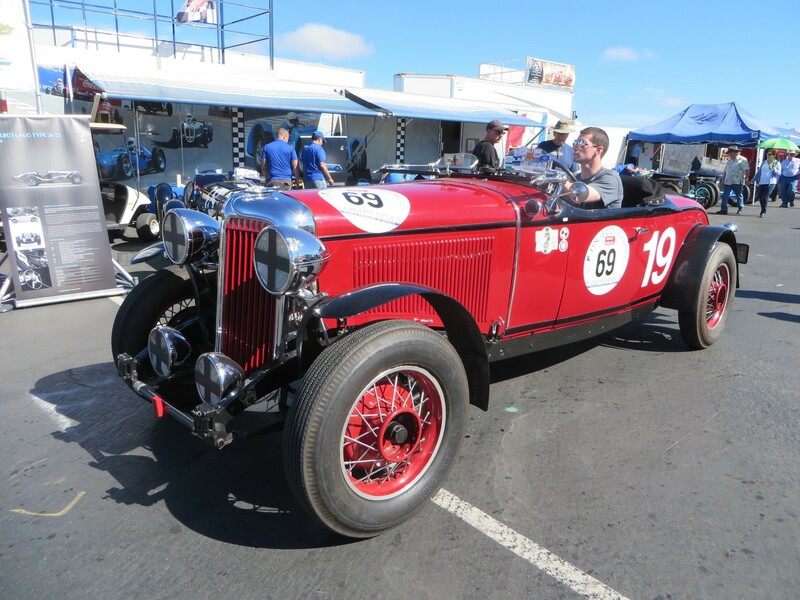 Missing from the field was pole sitter Richard Morrison of KS in his No.12 1939 Lagonda V12. A large field ran the Group 2A race or 1955-1962 GT Cars. Pole sitter Joe Colasacco of CT won in his 1963 Alfa Romeo TZ-1, 02.466 seconds ahead of Ron goodman of Australia in his 1954 Porsche 356. 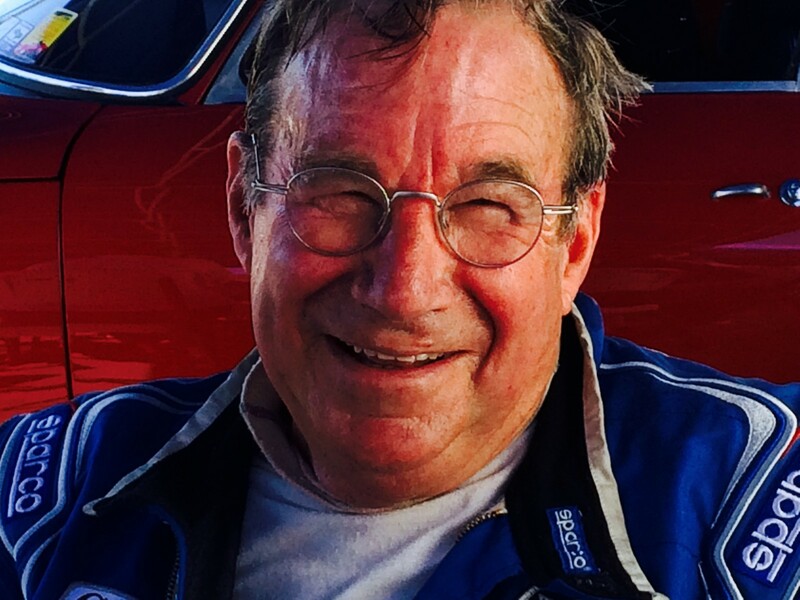 Mark Colbert was third driving his 1962 Ferrari 250 GT Lusso Competizione. 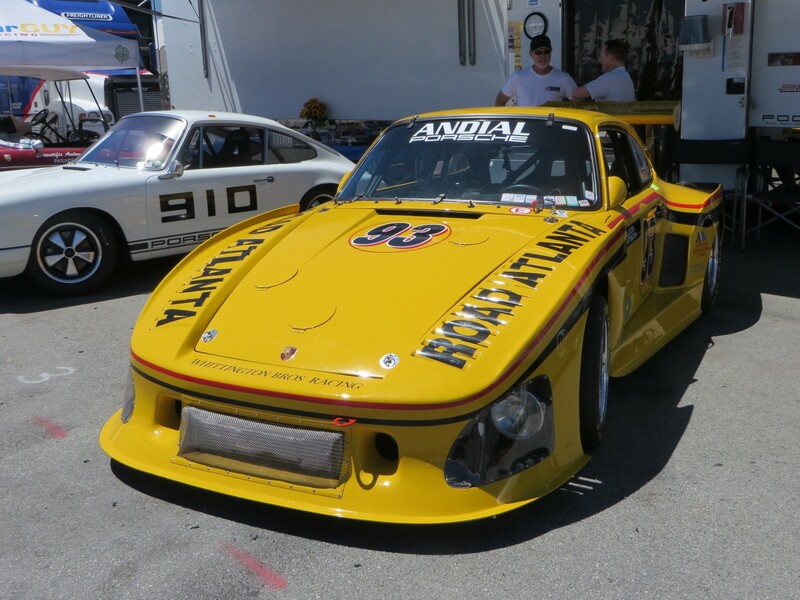 Pole sitter Bruce Canepa pulled his No.12 1979 Porsche 935 into the pits with mechanical problems after the first lap of the morning Group 4A Race for 1973-1981 FIA, IMSA GT-GTX, AAGT, GTU Cars. Didier Andr from France won the race in his No.76 1977 Greenwood Corvette, after starting third. 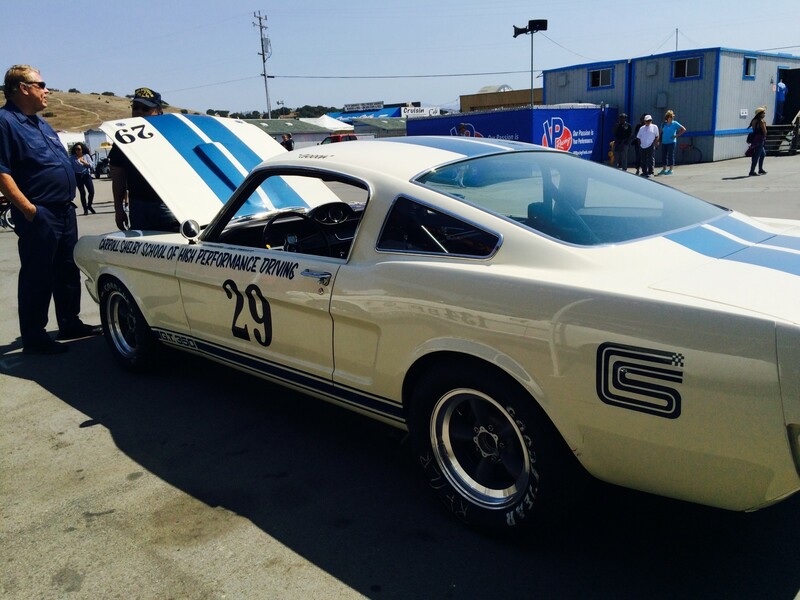 He was 24.885 seconds ahead of runner-up Chris Liebenberg’s No.22 1982 Ford Mustang. 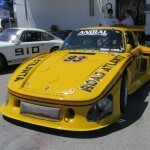 Finishing third was Ranson Webster’s No.42 1976 Porsche 935 K3. The average lap was 83.979 mph. 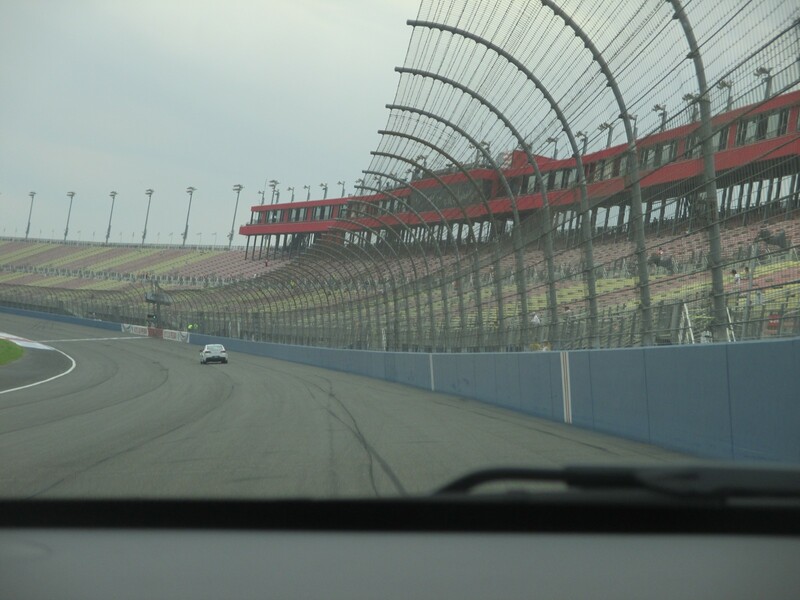 The top speed recorded – just once – on the Zoom-Zoom screen was 140 mph. 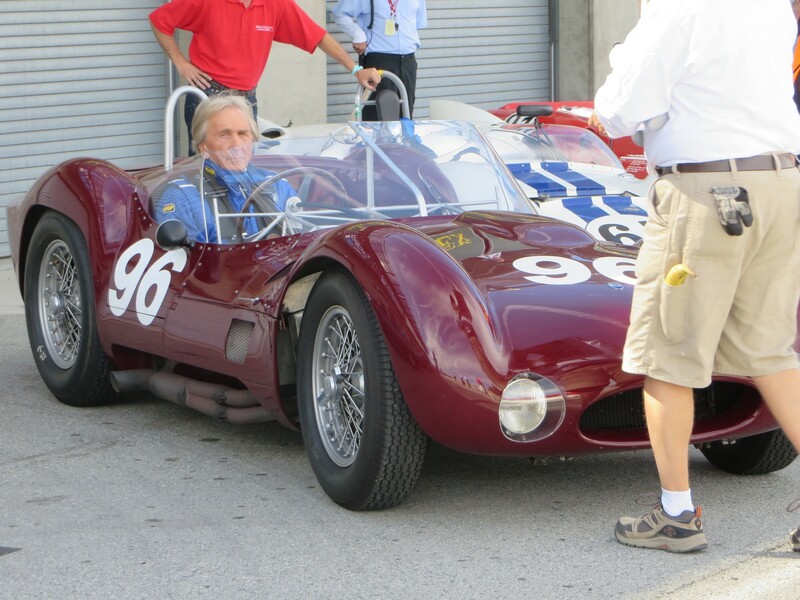 Pole sitter Derek Hill of CT, son of the late F1 World Champion Phil Hill, won the Group 5A Race for 1955-1961 Sports Racing Cars over 2000cc, racing No.3 1962 Maserati Tripo 161 owned by Lawrence Auriana. His lead ahead of Greg Meyer’s No.41 1962 Dailu Mk2 was 01.190 seconds. 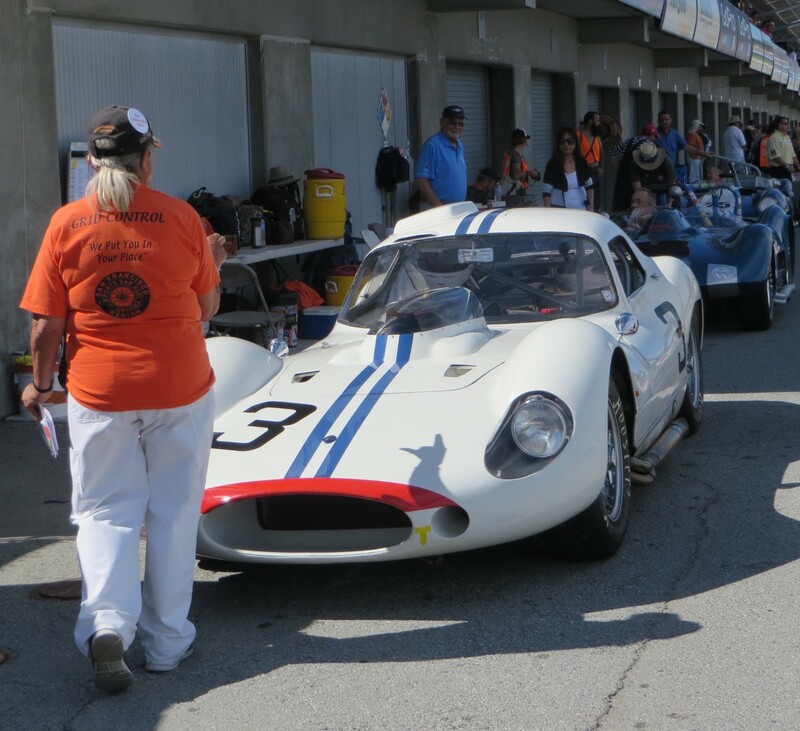 Third overall in the 25-car field was Joseph Diloreto’s No.33 1961 Dolphin SportsRacer. The average race speed was 68.344 mph. 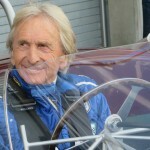 Another well-known driver in the field was long-time veteran sports car driver, Derek Bell of England. 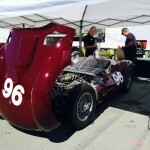 He raced the No.96 1959 Maserati T-61 owned by Jack Croul. 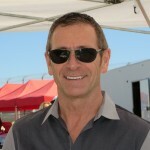 The car was qualified by Jon Norman Thursday and Friday as Bell had other commitments. Bell started and finished tenth. 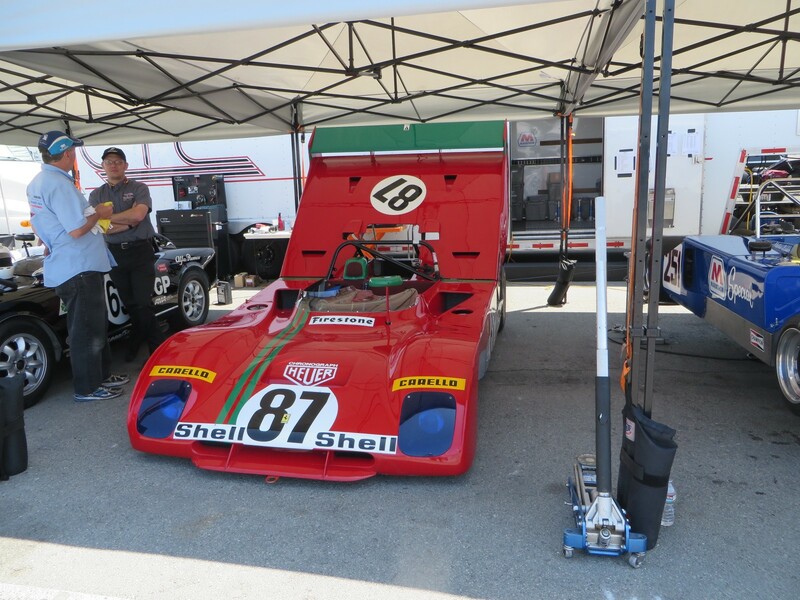 The Group 6A FIA Manufacturers Championship Cars race was won by Pole Sitter Keith Frieser of Canada, racing his No.27 1972 Lola T290. 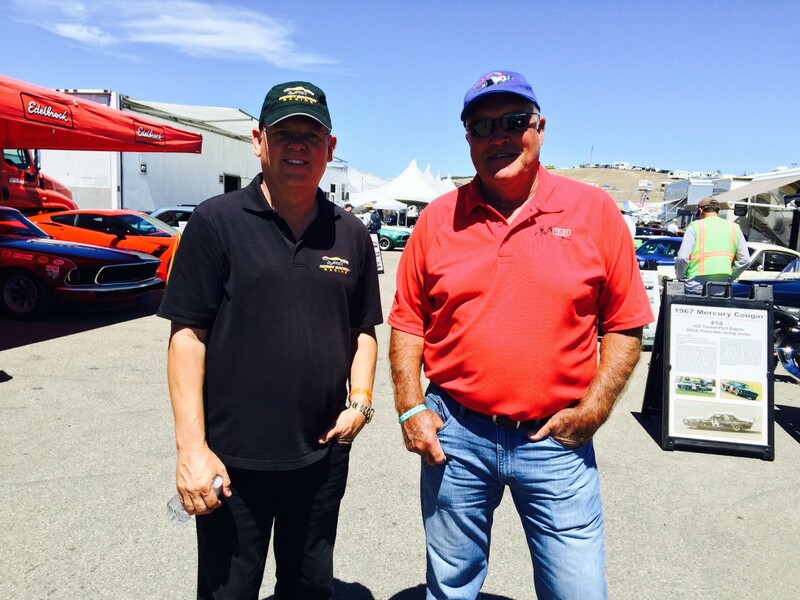 He finished 01.724 seconds ahead of fellow Canadian, Cal Meeker’s No.116 1973 Lola T294. 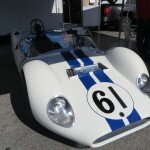 Wade Carter’s No.74 Lola T294 finished third. The average lap was 78.201 mph for the ten-lap race. Twenty-seven of the forty-car field took the Green Flag. 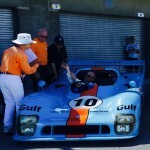 Professional sports car driver, Marino Franchitti started and finished sixth in that race, driving Harley Cluxton’s No.10 1975 Gulf Mirage GR8. 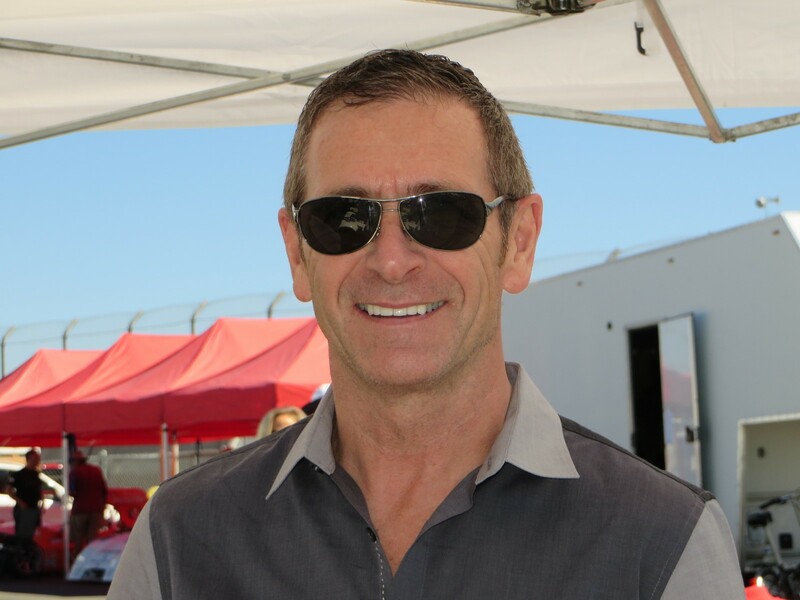 Local vintage driver/car enthusiast, Bruce Canepa won Group 7A for 1981-1991 FIA/IMSA GTP, GTO Cars, racing his No.100 1990 Porsche 962C. 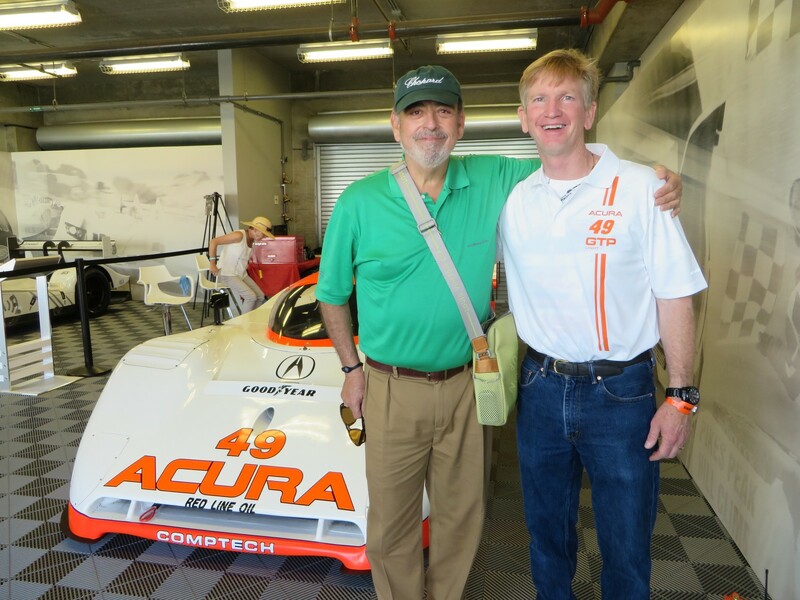 He aced the start from second place and had a good race with Pole Sitter Parker Johnston, racing the factory No.49 1991 Acura Spice GTP Light. That car has been sitting in the Acura Museum for the past 23 years, since Johnstone last won a race with it. 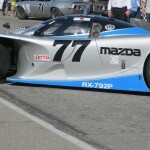 Weldon Munsey finished third in the factory No.77 Mazda RX7-92P. 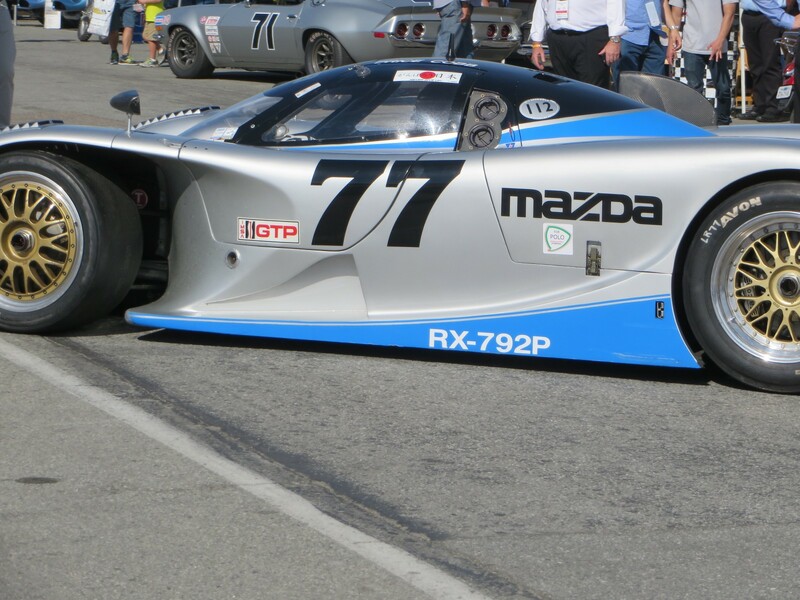 There were three factory Mazda’s in the race, all from a museum, which were driven and worked on by Mazda executives, doing everything on their own time. 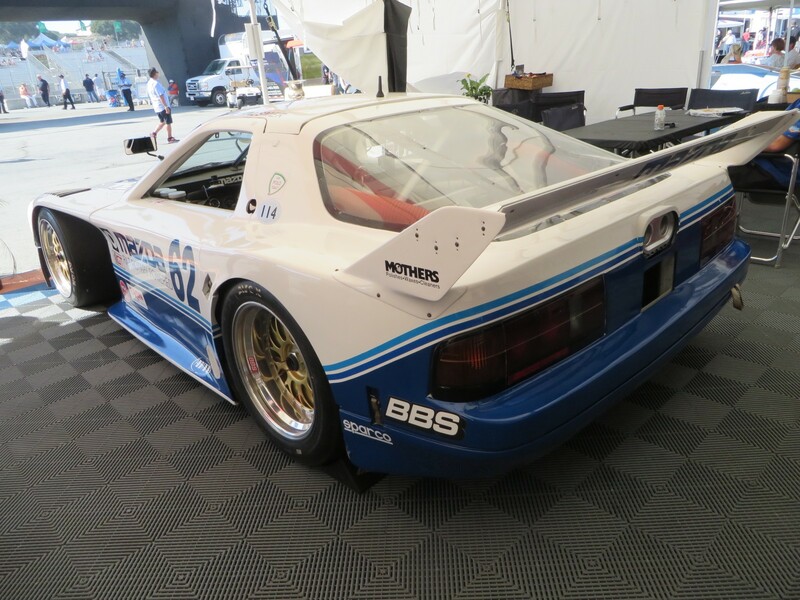 Jeremy Barnes in No.62 1991 Mazda RX-7 finished sixth and Robert Davis finished seventh in No.56 1990 Mazda RX-7. 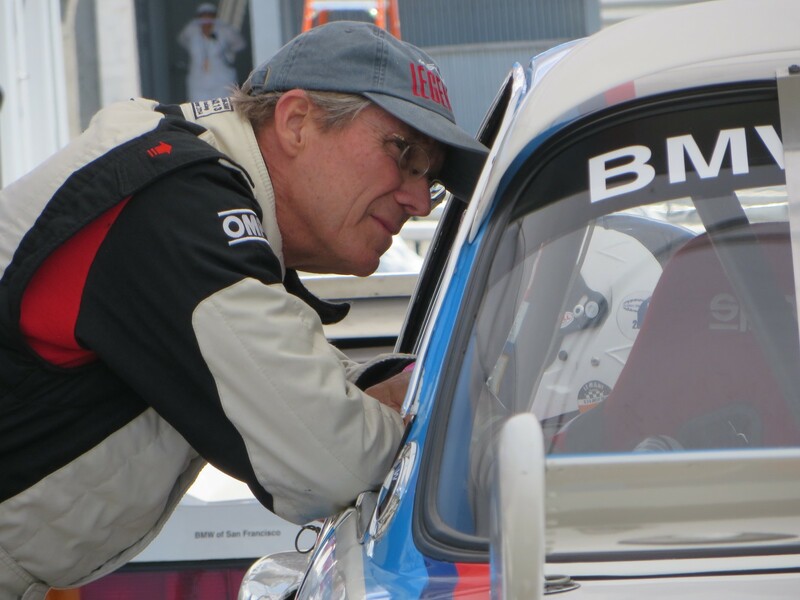 Veteran IMSA driver, David Donohue drove his 1991 Championship winning BMW M5 IMSA, which is now owned by BMW of North America. 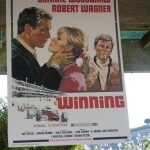 The Margin of Victory was 02.408 seconds, the average race lap was 75.094 mph and 28 of the 35 entrants ran the race. The morning Group 8A race for 1967-1984 Formula One cars finished under Caution as the track had been severely oiled by a ailing car. 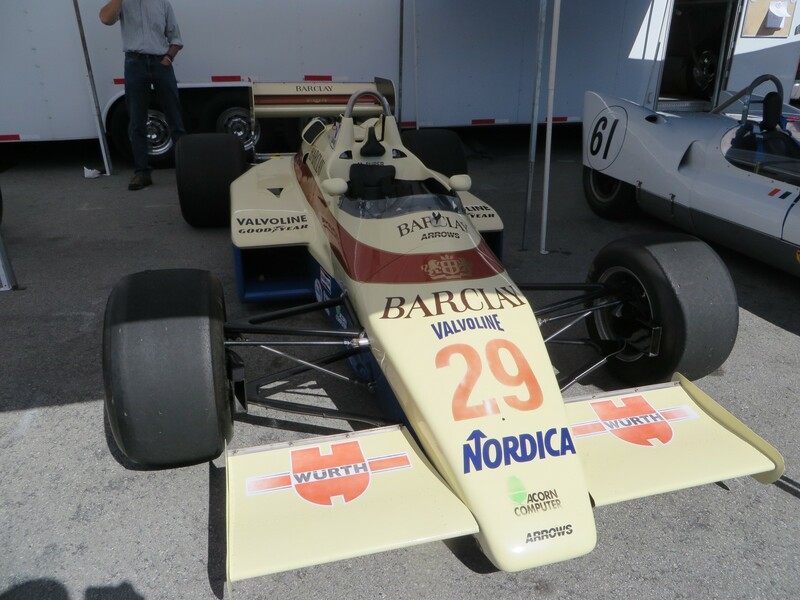 Taking the checkered flag was pole sitter Charles Nearburg in his No.27 1980 Williams FW07. 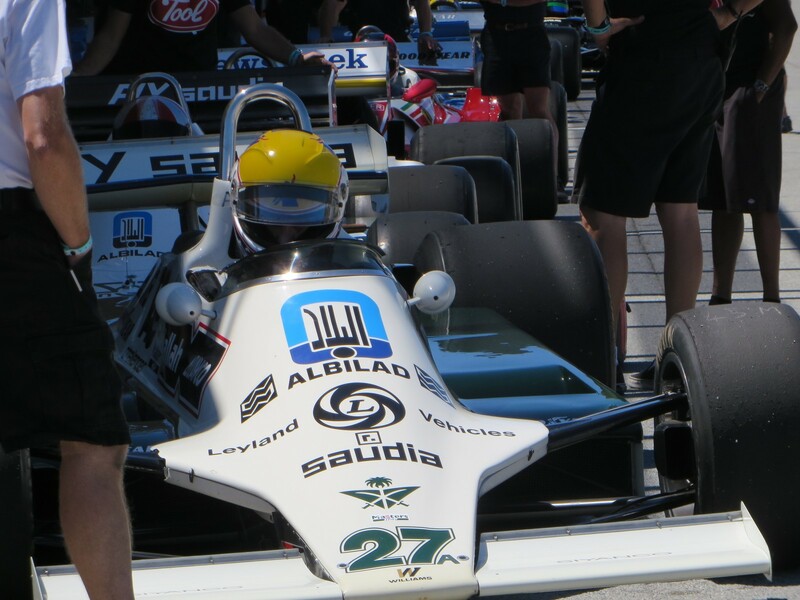 His Margin of Victory ahead of Erich Joiner’s No.101 1983 Williams Fw08/C was 02.090 seconds. 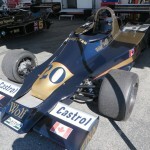 Finishing third was Motorcycle World Champion Eddie Lawson in No.20 1977 Wolf WR4. The top three finished where they started. The average race lap was 86.904 mph. Thirty-four of the thirty-seven entrants ran the 12-lap race. After the morning races there was a nice long lunch break which allowed people to partake and/or participate in a variety of activities. 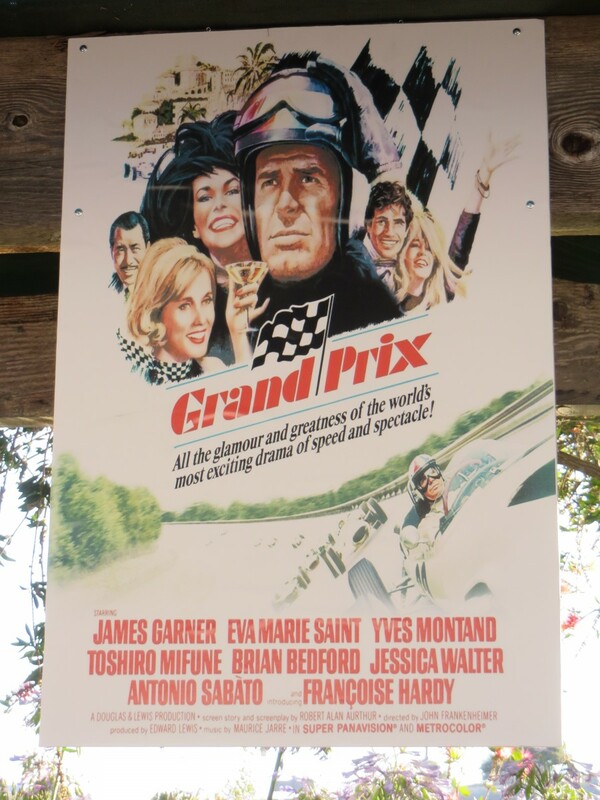 Out on the Island Sir Jackie Stewart and multi championship driver, Scott Pruett held forth for Picnic tales and lores from their respective lengthy careers. 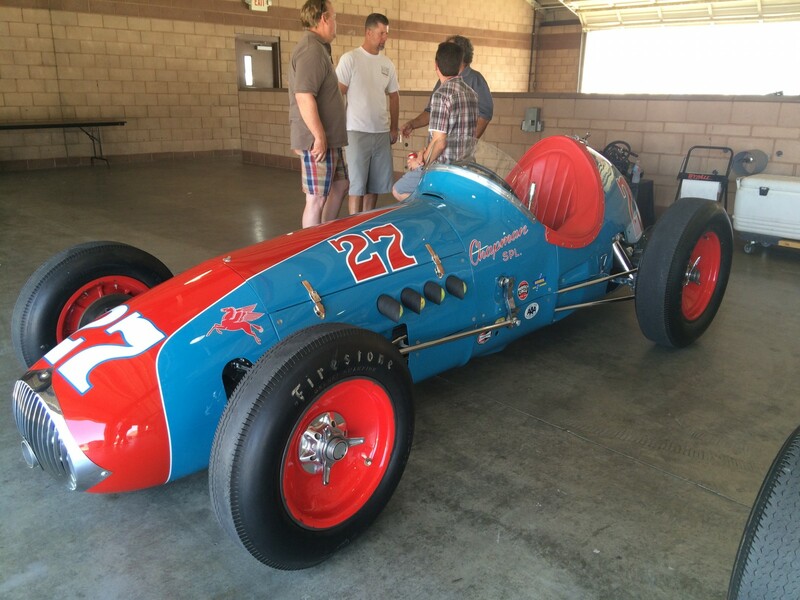 Also, in the paddock was a Haggerty Education Program presentation on Automotive Restoration and Preservation: “Young People and Old Cars – The Future of Restoration”. 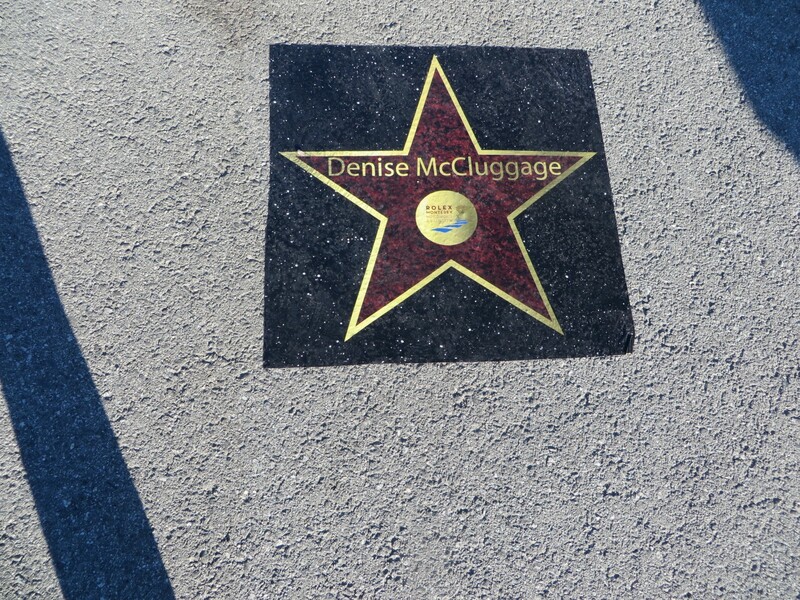 Diane Fizgerald, National Director of the HEP program geared towards recruiting and involving young people in the automotive restoration field, oversaw the presentation, which was moderated by McKeel Haggerty. 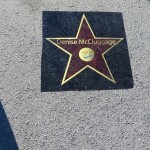 The presenters included veteran racer Lyn St. James – also a HEP Ambassador; and longtime racer, Dominic Dobson – who is also National Director of Club Auto, ACM, the largest automotive museum in North America. Others were Josh Baum, private collector conservationist and former HEP intern; Tim Chambers, Laguna Hills High School Auto Tech Instructor; Stacy Puckett, McPherson College graduate and current employee at RM Sotheby’s auction house; and Stephen Murphy, curator and restoration specialist at Chicago Vintage Motor Carriage. 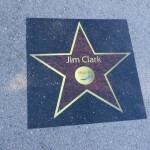 The presentation was recorded and broadcast live. The panelists had pearls of wisdom for the audience, parents and kids. Parents-expose your kids, and kids chase your passion. Foster curiosity, and be excellent at what you. Don’t settle for mediocrity. Kids who work on cars are the future. Community Colleges are picking up the slack on Auto Shop and Industry classes being cut out of the public schools. 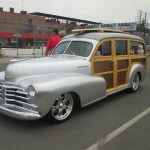 Invite kids for rides in your vintage car, at Car Corrals and events. Spark their passion. One driver said there needs to be a smart phone App that kids can use to scan and work on cars. Get a mentor. 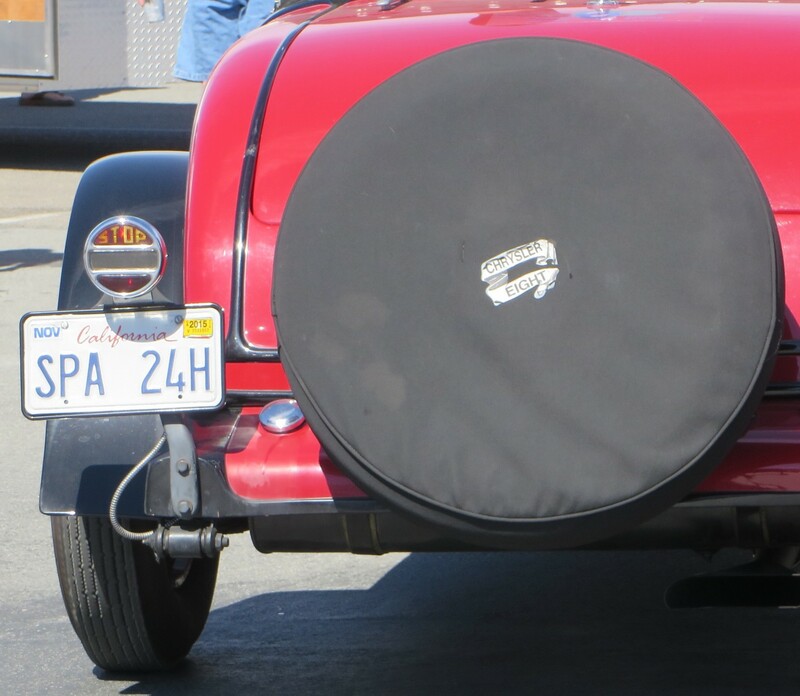 Vintage cars are rolling pieces of art. 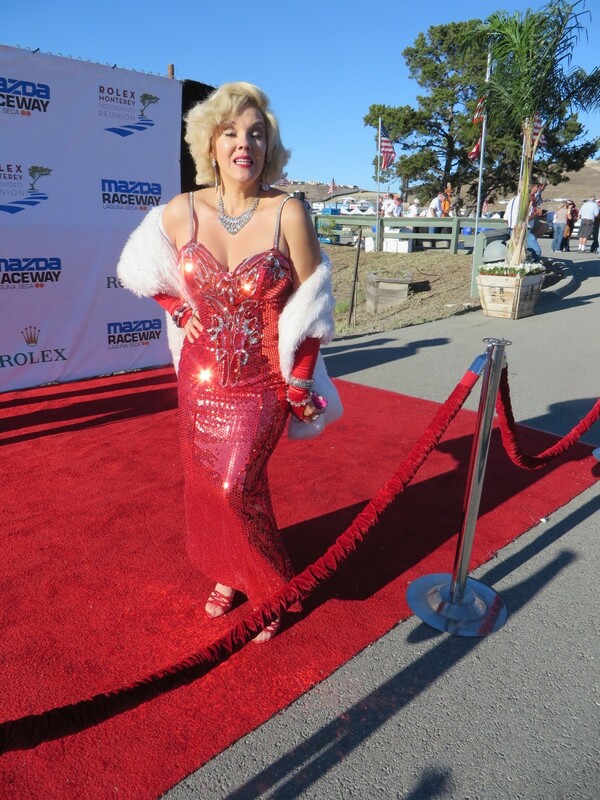 Friday the weather at Mazda Raceway Laguna Seca was even more beautiful for the second day of the 2015 Rolex Monterey Motorsport Reunion. Nice warm weather, clear blue skies, and a nice breeze to keep it tolerable. 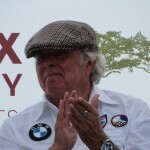 Parker Johnstone was once the winningest driver in IMSA, winning 54 races and had the record for 14 consecutive pole positions. 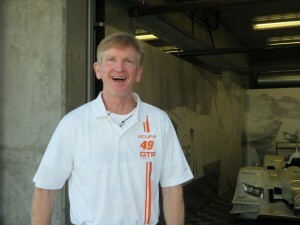 This weekend he is driving his old IMSA car – No.49 1991 Acura Spice GTP Light. It’s been in the Acura Museum just as Johnstone left it after the car retired 23 years ago. He got into it this weekend and said it felt like he just raced it last week. Johnstone’s old CompTech partner, Doug Peterson, worked on and set up the car, and Johnson was the fastest car Friday morning in Group 7A for 1981-1991 FIA/IMSA GTP, GTO Cars, and based on his aggregate times for both practice sessions, he has the pole position for Saturday afternoon’s race in a field of 35 cars. This weekend is the 30th year Anniversary of Honda racing. 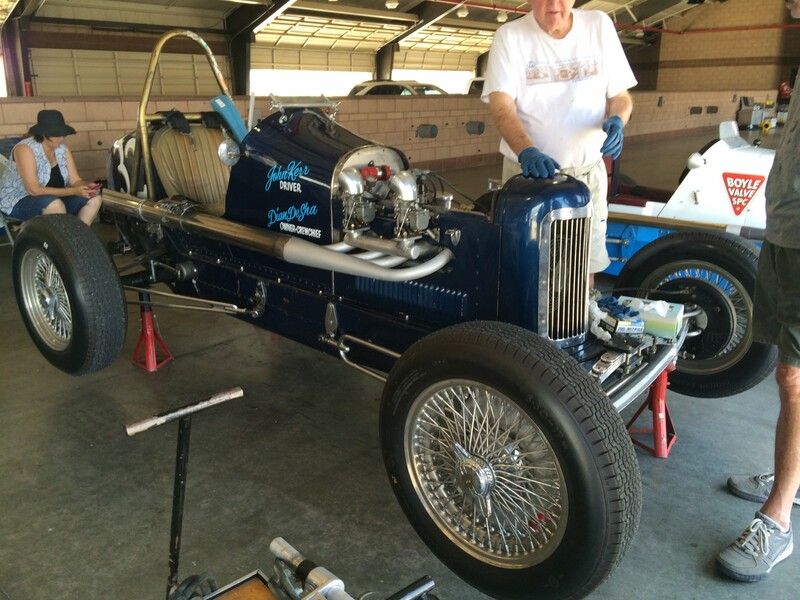 Johnstone has been keeping busy with SCCA Club Racing his H Prod 1964 Huffaker Midget in Oregon Region and also vintage racing. This weekend is his seventh race weekend in nine weeks, and the fourteenth race this season so far. 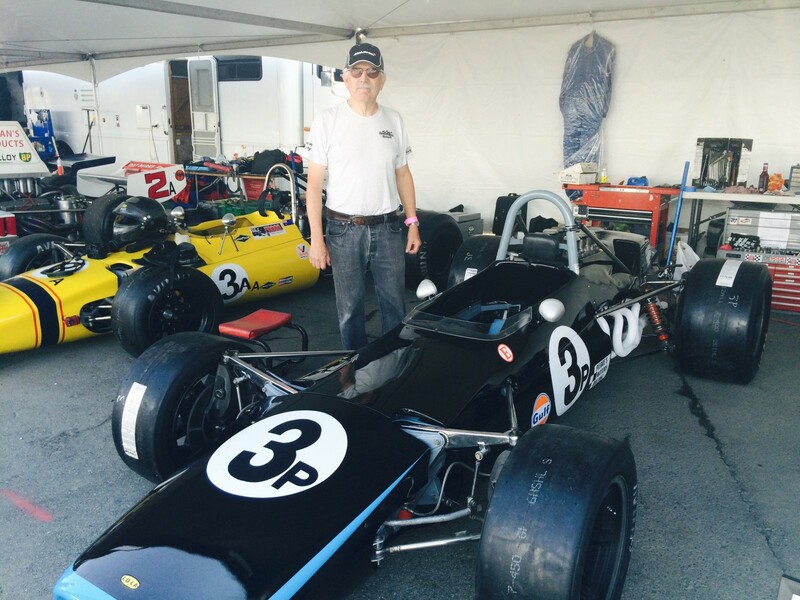 He rotates vintage racing among some of the cars he has in Oregon including two of his old IndyCars, a 1977 March Formula Atlantic and a 1967 Austin Healey Sprite. Johnstone and Peterson are ensconced in the Accura Garage on Pit Lane. 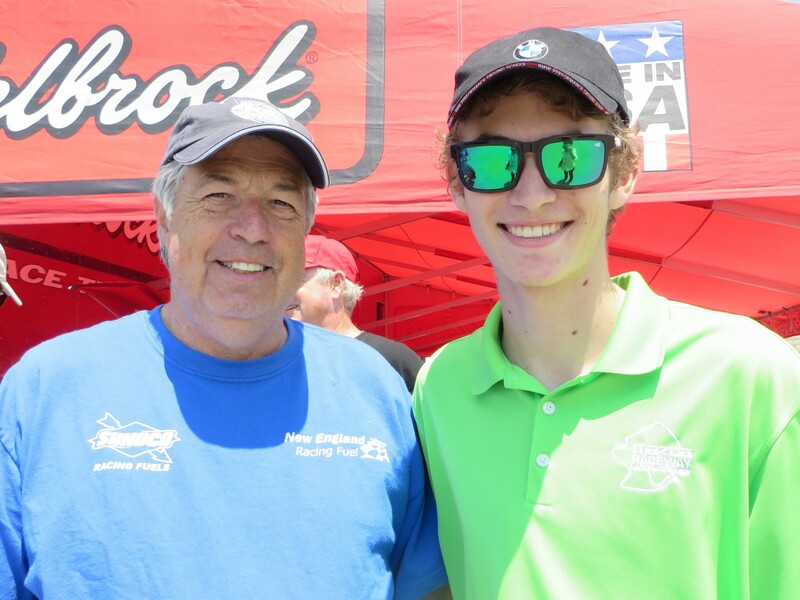 Stopping by for a reunion chat was Tomas Lopez Rocha of Mexico, who raced IMSA with Johnstone back in the day. Lopez retired from professional racing, but has come back to the sport recently, running the Panamericana Carrera-a Mexican sports car race with fields of 75 or more cars from around the world. 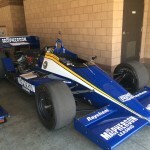 In five races Lopez had five top-five finishes, including two victories. He races a 600 hp, tube-frame Studebaker, a la OSCA. 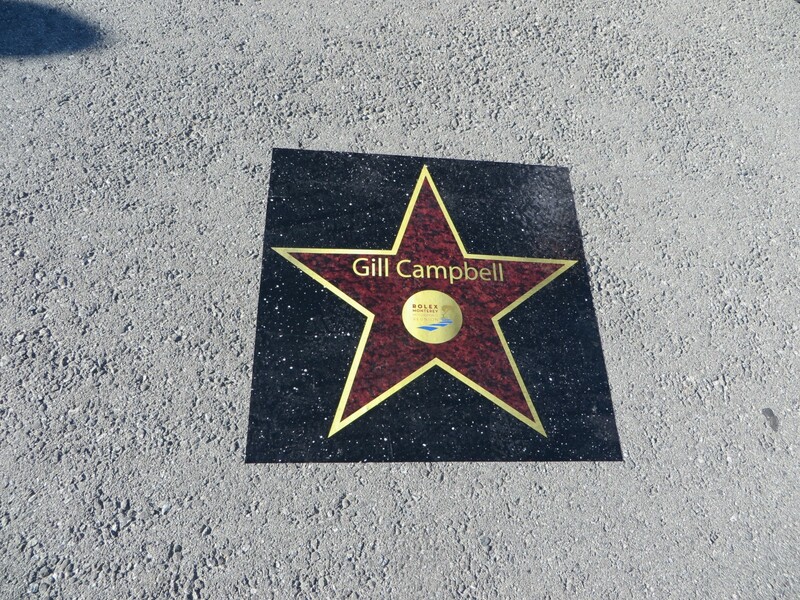 Another driver who ran and won the Panamericana Carrera, in 2002, is Doug Mockett of the US Virgin Islands. 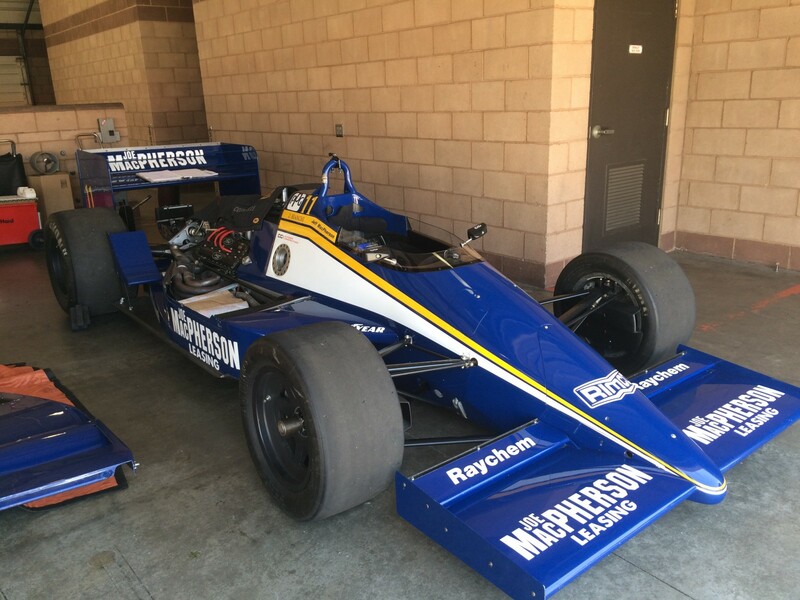 This weekend he’s racing his 1976 Penske PC4 in Group 8A for 1967-1984 Formula One Cars. 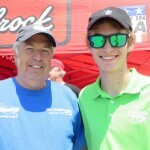 Another thing Mockett does is strongly supporting young up and coming race drivers, including the Team USA Scholarship. 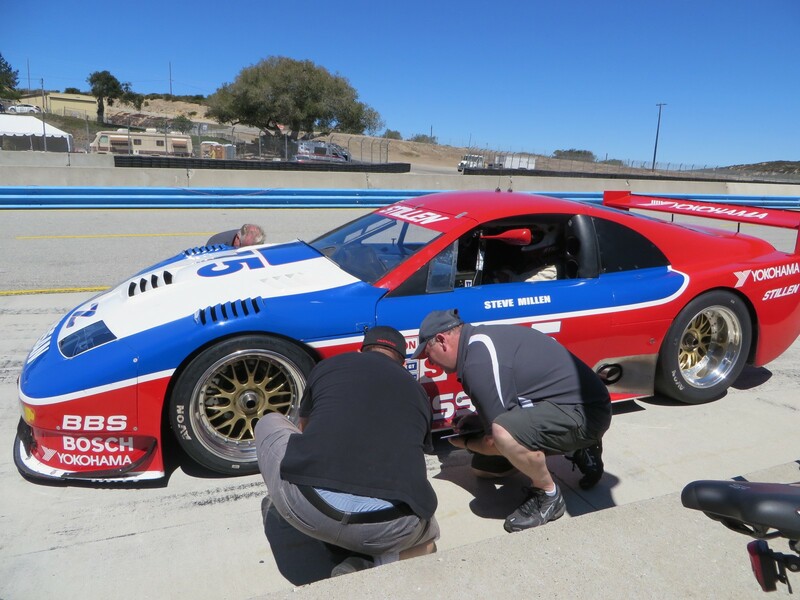 Veteran and now retired road racer and car builder, Irv Hoerr was visiting his old No.6 1991 Oldsmobile Trans-Am Cutlass Supreme Trans-Am race car, now being driven for the first time by Gordon Johnson in Group 7A for FIA/IMSA Cars. 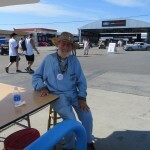 Hoerr was asked by car owner Jere Clark to drive his white No.67 1968 Chevrolet Camaro in Group 6B Friday afternoon – the 1966-1972 Historic Trans-AM cars. 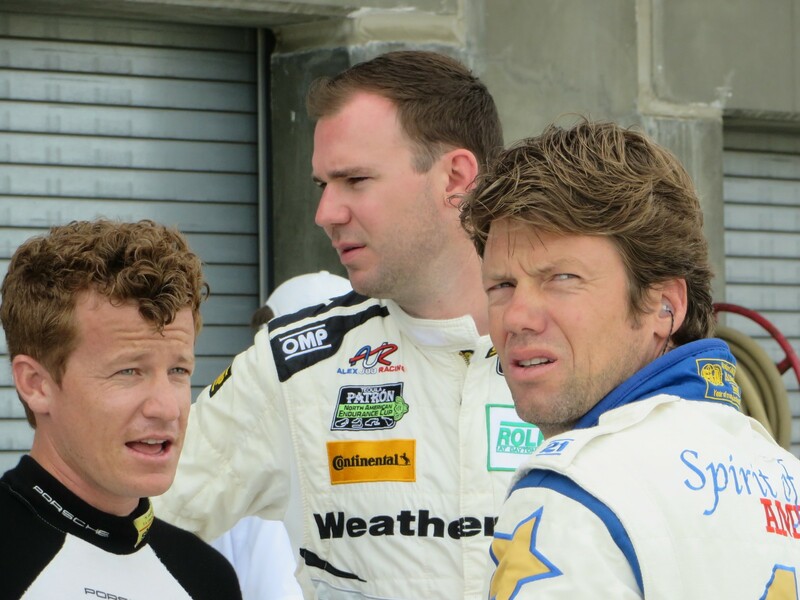 However, Hoerr declined, citing it’s been too long since he’s been in a race car. 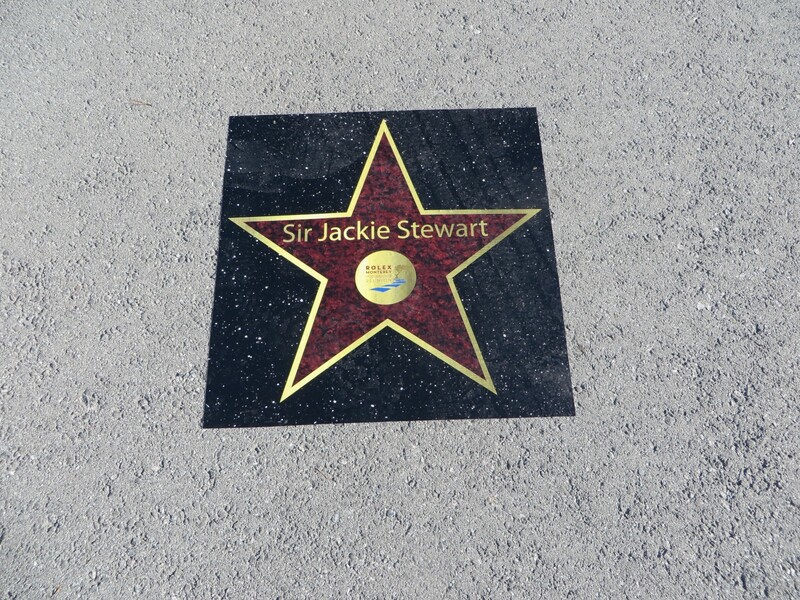 When last seen, Lyn St. James was trying the car on for size. Stay tuned. 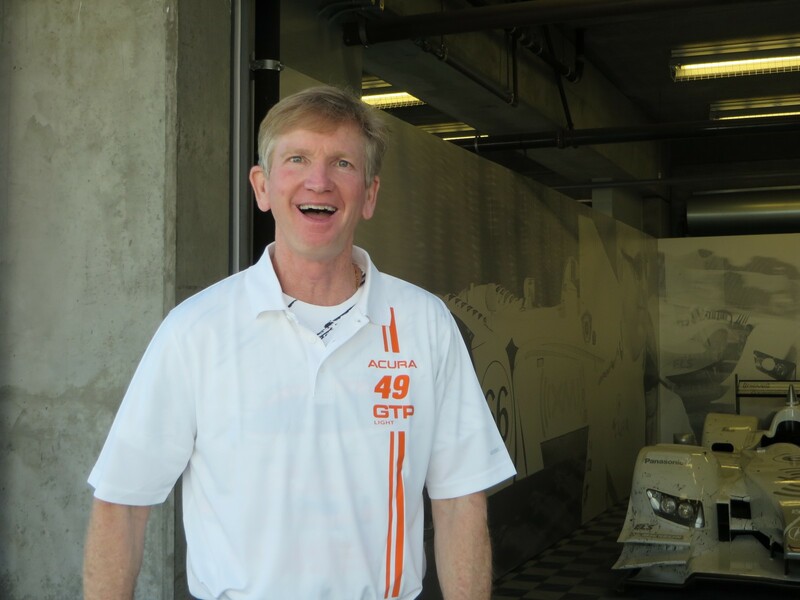 Another race driver/team owner coming back, so to speak, is Dominic Dobson, who had a rich and varied career in indy cars, IMSA and NASCAR. This weekend he’s racing (for the first time) the No.61 1961 Cooper Monaco Mk III owned by Jeffrey Heller, originally raced by Bruce McLaren. 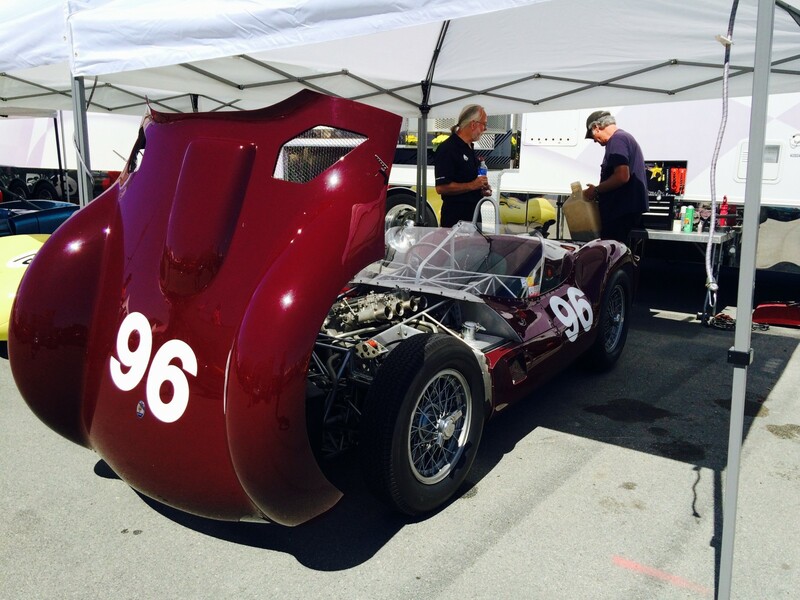 The car runs in Group 5A for 1955-1961 Sports Racing Cars over 2000cc. 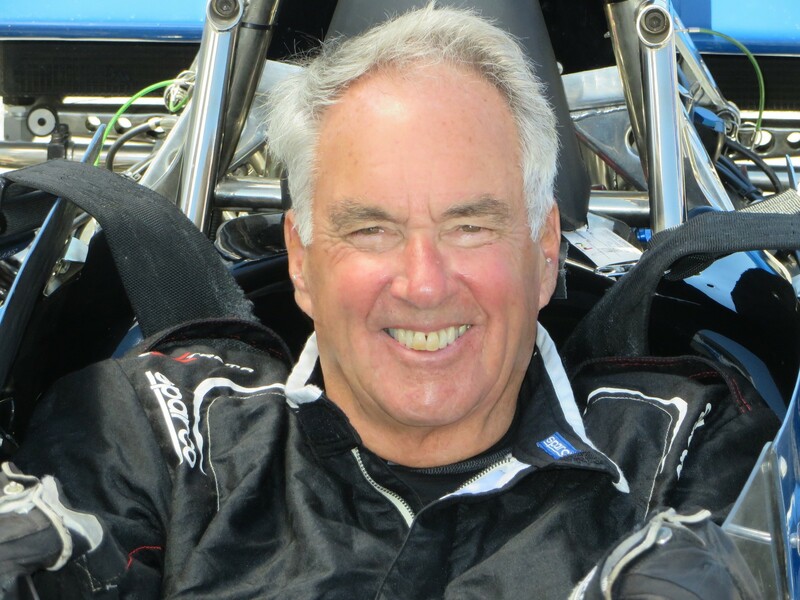 Dobson recently raced a Radical V8 at Pike’s Peak and won the Unlimited Class. 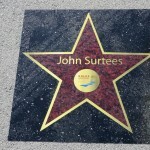 He also won Rookie of the Year for the event. 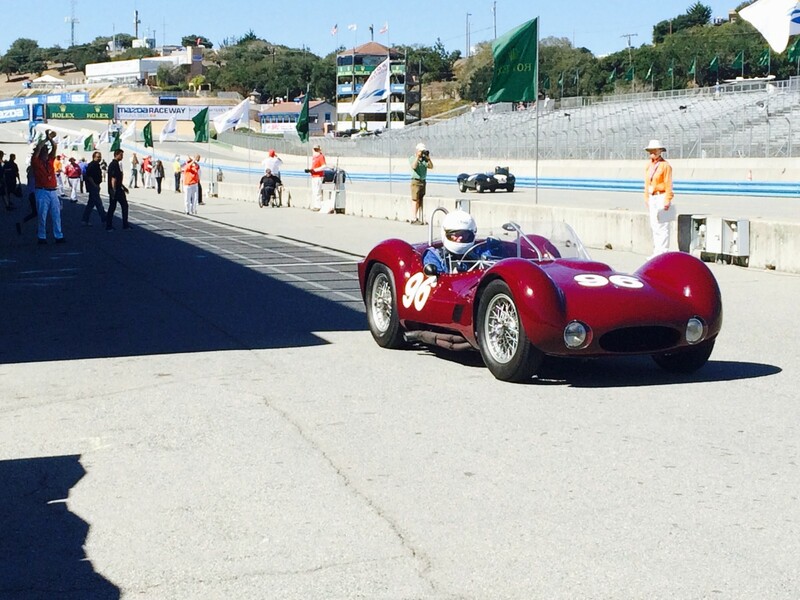 Also running in Group 5A is Derek Hill in a 1962 Maserati Tipo 151, who has the pole position for Saturday’s race. 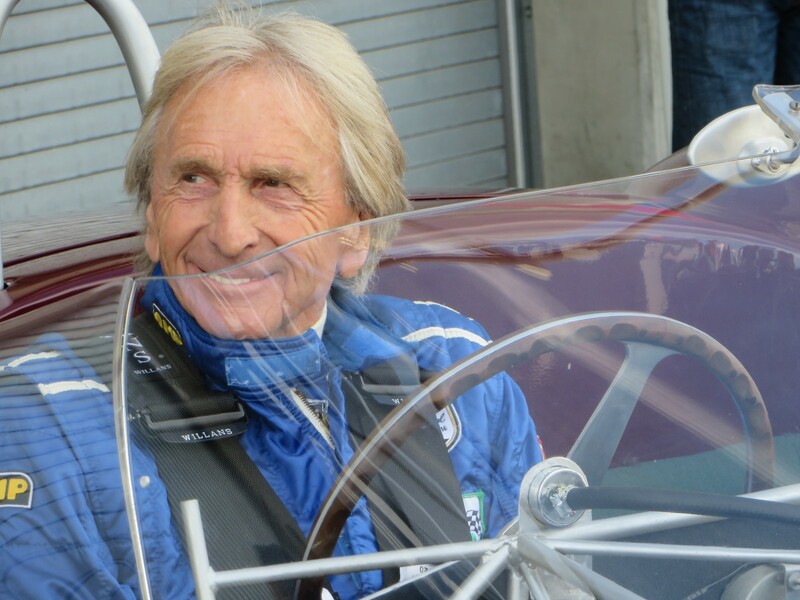 Derek Bell is entered to run the No.96 1959 Maserati T-61 owned by Jack Croul, but so far he’s been busy elsewhere in the area with other commitments including The Quail. 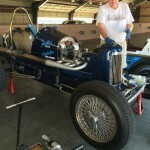 Veteran Alfa Romeo driver, Jon Norman, has been filling in and qualified the car tenth of 25 cars. 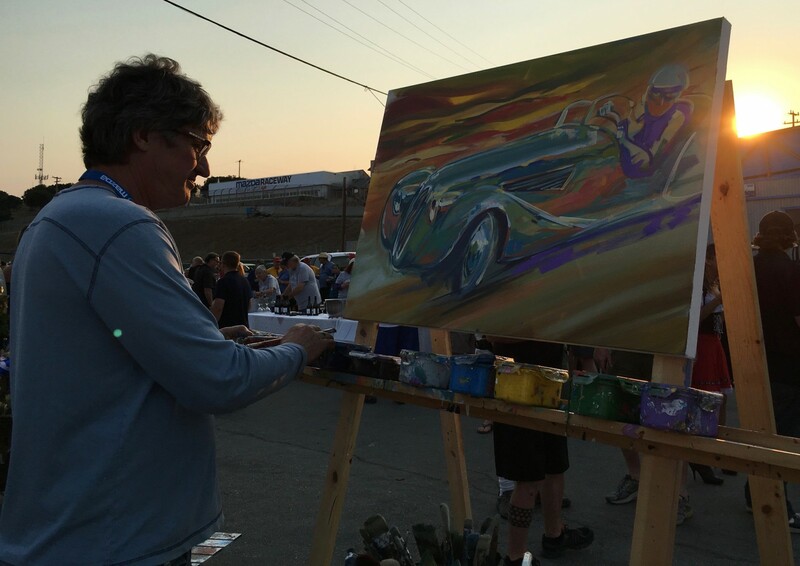 So Many Cars … So Little Time! 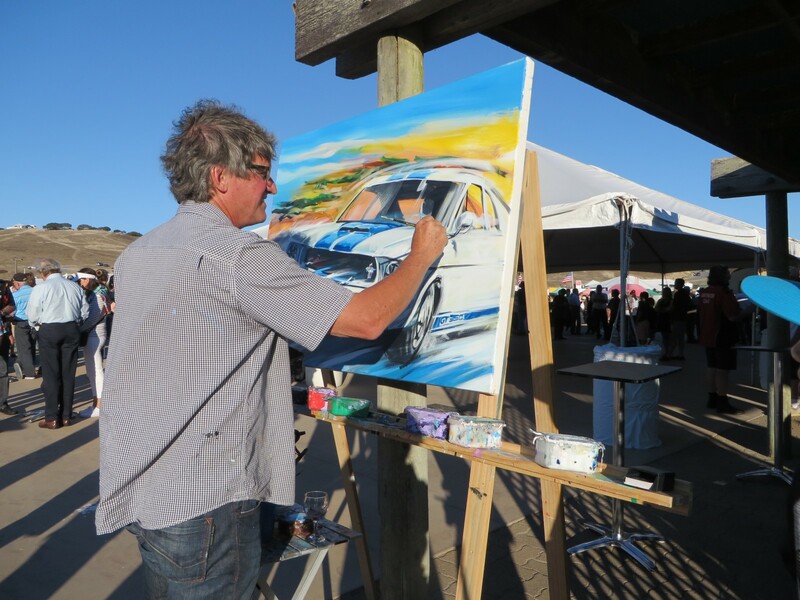 SCRAMP aka Sports Car Racing Association of Monterey Peninsula, went all out Thursday night for it’s annual Welcome Party for the Rolex Monterey Motorsports Reunion at Mazda Raceway Laguna Seca. The theme was Hollywood, complete with movie stars and Walk of Fame Stars. The food and beverages were all locally sourced, the music was pure Sixties and costumes were encouraged. A good time was had by all. The golden hills of Mazda Raceway Laguna Seca are alive with the sounds of real race cars, a la vintage and historics, for the 2015 Rolex Monterey Motorsport Reunion. 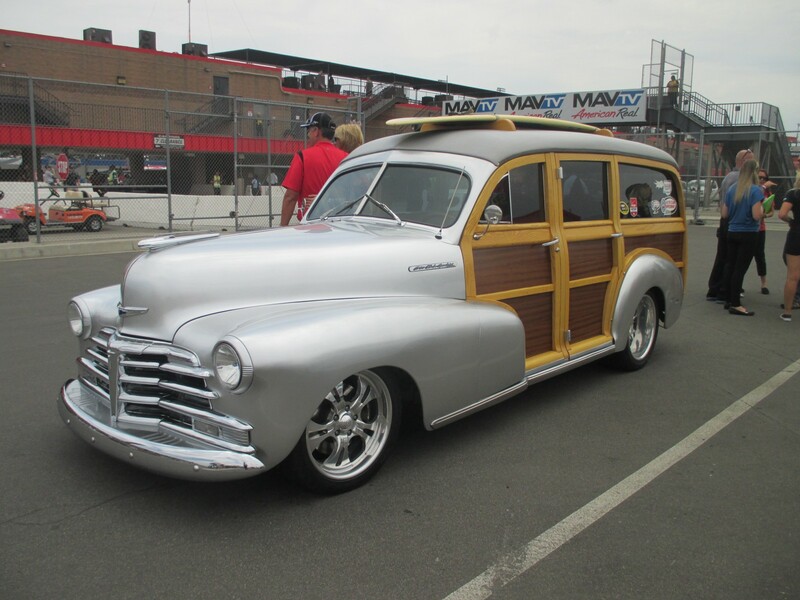 There are 15 groups with more than 550 older, beautiful cars, spread out over four days. 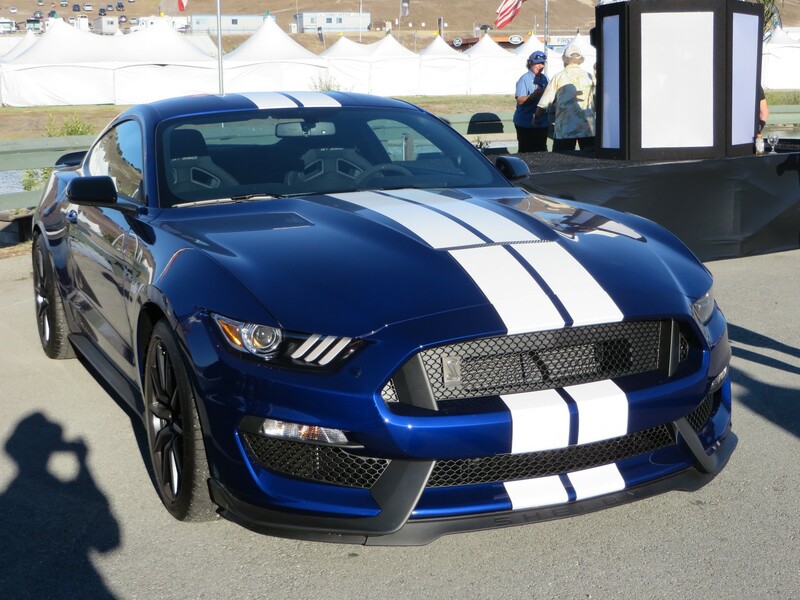 This year the event is honoring the 50th Anniversary of the Shelby GT350. 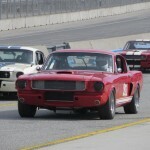 There are forty Shelbys entered in Group 3A for 1965-1970 Shelby Mustang Cars, and all but one are 350GT’s. The other is a 1996 Shelby Mustang, driven by Charles McKee.They come from far and wide, including Australia, Canada, Colombia and Switzerland as well from the US – mostly (quelle suprise!) 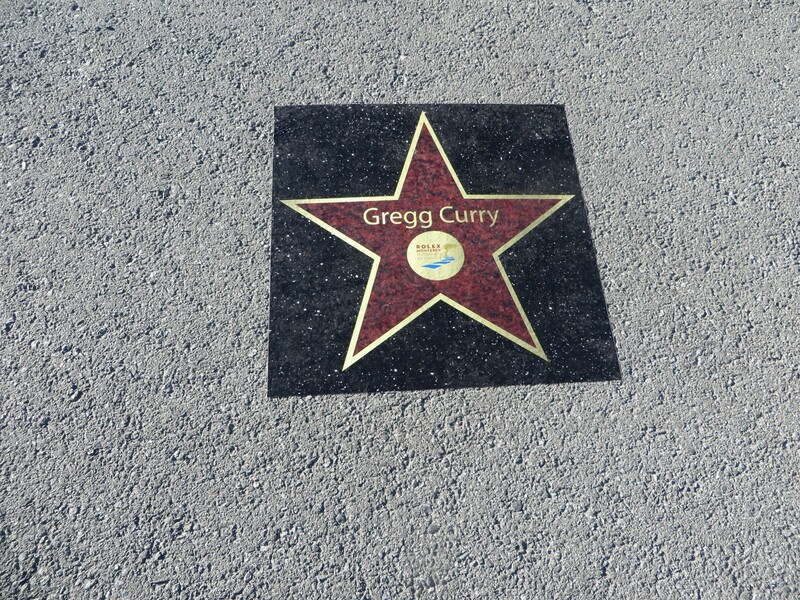 from California. 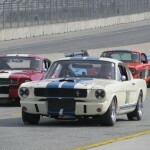 In the morning Shelby practice Tommy Steuer from Colombia was the fastest his 1966 Shelby 350GT. 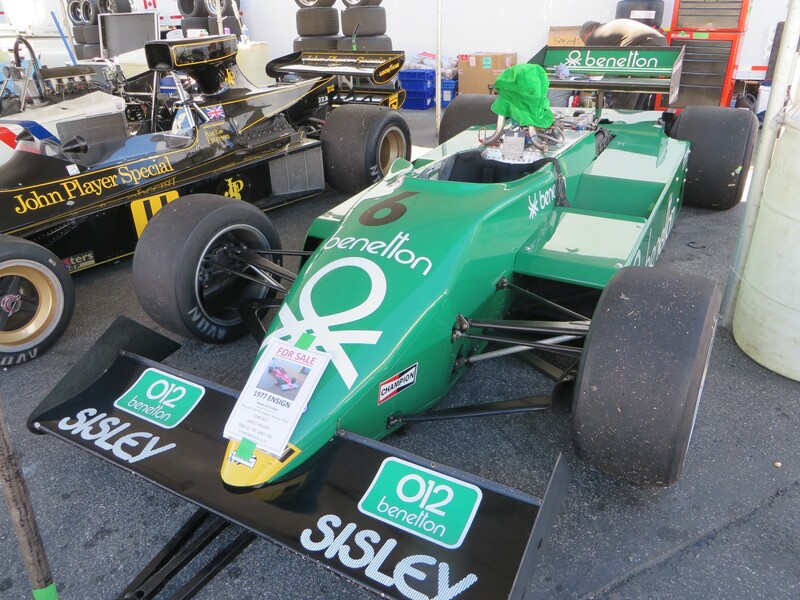 The Reunion cars this weekend range from Brian Blain’s 1911 National 400 in Group 1A for Pre 1940 Sports Racing and Touring Cars to three 1983 Formula One Cars in Group 8A for 1967-1984 Formula One Cars – driven by Dino Crescentini/Arrows A6, Cal Meeker/Williams FW08 and Erich Joiner/Williams FW08/C. All fifteen groups have a twenty-minute practice session Thursday and again on Friday, in numerical order. 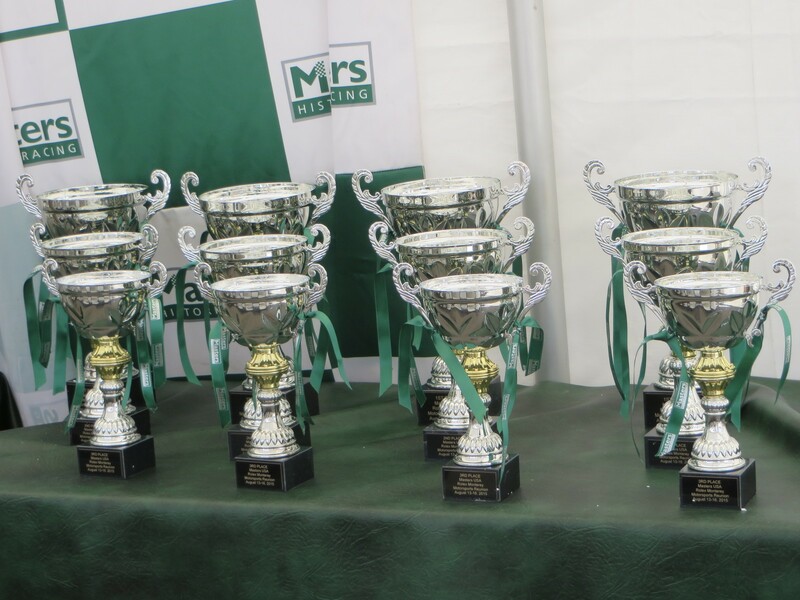 Saturday the schedule calls for two races each for all eight of the A classes – one in the morning and one in the afternoon. 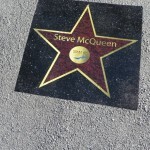 Sunday, the B Group cars race, and the day is capped with the Awards Ceremony in the Paddock. 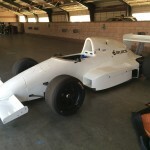 This year is the first year of the new FIA F1 Masters Series racing at Laguna Seca. And how sweet is that song! 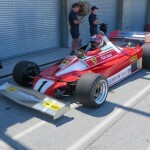 This series acquired the US-based Historic Grand Prix F1 group last year. 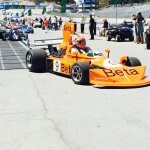 The Masters Series encompasses authentic F1 cars from the three-litre period – 1966 through 1985. The overall pool of such cars isn’t that large, maybe 85-90 total, around the globe. This weekend the F1 cars come from Canada, Europe. Mexico and the US Virgin Islands. 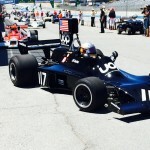 The overseas Masters drivers have kept their cars in the United States so they can compete in the five other Masters F1 events at: Road Atlanta, Barber Motorsports Park, Road America, Circuit of the Americas, Sonoma Raceway, and Mexico City. 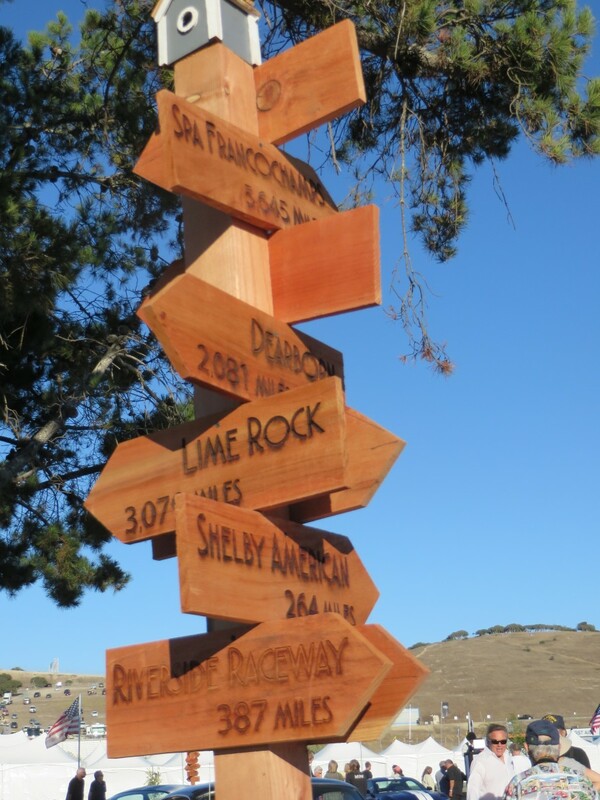 Some of the visitors have raced at Laguna Seca in the past, and nine are enjoying their first experience on the iconic 2.238, eleven-turn elevated road course. The FIA F1 Masters Championship only runs for points in Europe. The American rounds are for pure pleasure and don’t count towards the Masters Championship. Those contenders keep their American ‘fun’ car here and their points-chasing cars in Europe. None of the serious contenders are here this weekend. 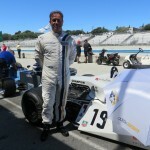 John Delane of CA, 2011 FIA Historic F1 Champion, has been racing all over Europe for several years. 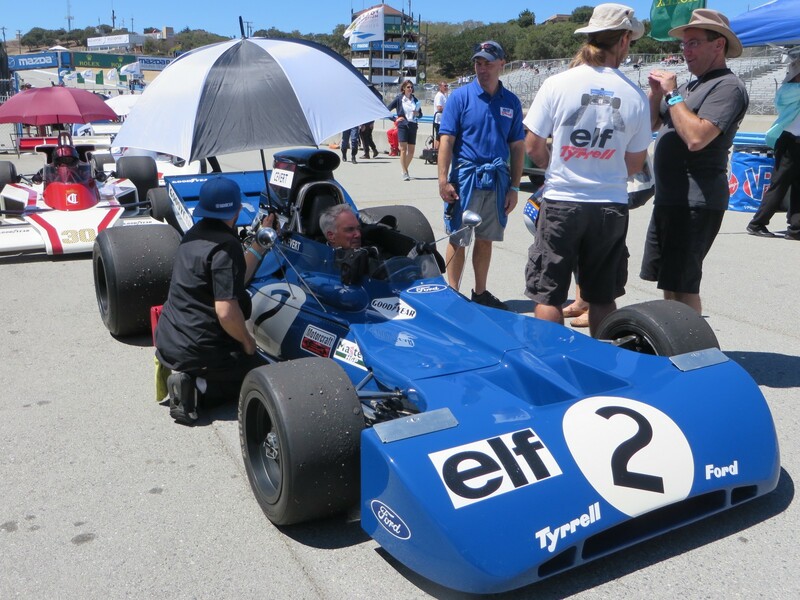 He’s back racing in the US Masters in his No.2 1971 Tyrrell 002. 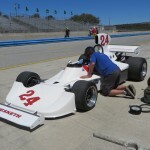 In the first F1 practice Thursday noon, Charles Nearburg of Texas was fastest in his No.27A 1980 William FW07. There are 37 F1 cars in this group. 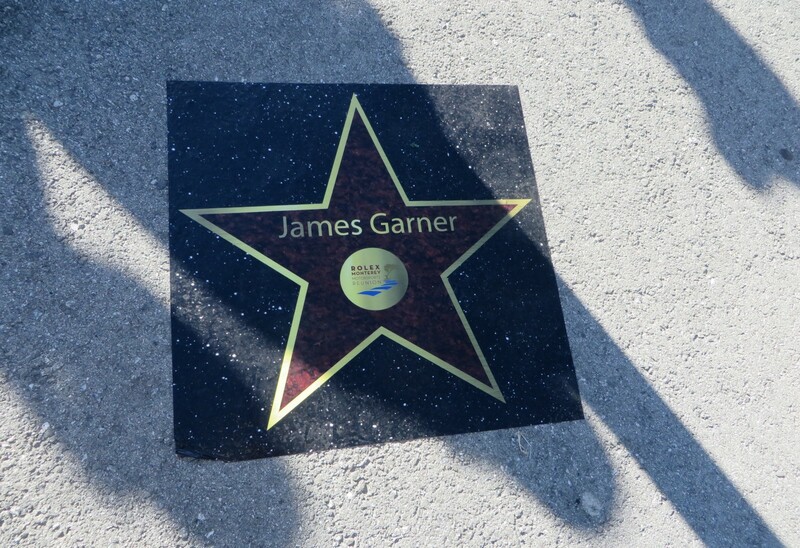 Most of the cars are in the same paddock row and many have sign board showing the car’s original driver and history. 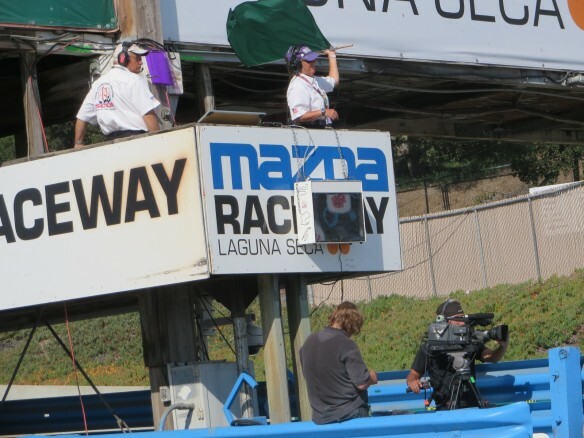 No times are listed on the results sheet, as the Reunion is “not a competition event.” However the Mazda Zoom-Zoom radar screen on the Start-Finish Bridge showed several cars going 140+mph – the fastest was a 146mph. 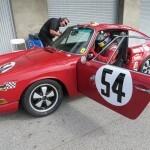 Keeping track of this exotic group of race cars isn’t easy for Timing & Scoring as the cars sport their original numbers, so there are duplicate numbers, and so some cars don’t correspond to the Entry List numbers. 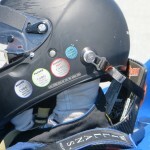 Although these drivers are racing authentic old F1 cars, often in period-correct (appearance) driver’s suits, many also opt for the modern-day driver safety items such as the HANS device. 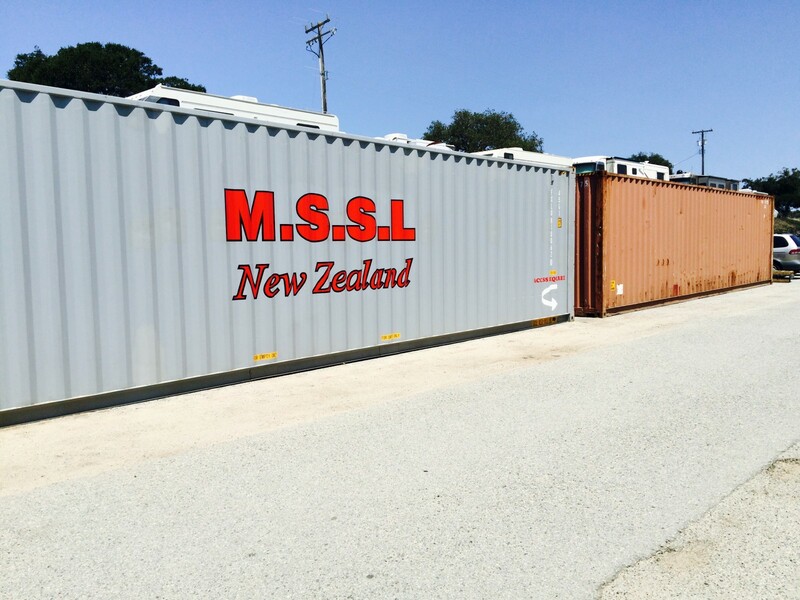 Fox Sports is here this weekend filming for a one-hour TV show on FSN, to be aired Saturday 26 September 2015 at 11:30am PT. Condensing this four-day event into an hour show will be a major effort. The broadcast time is set to follow a live NASCAR practice. 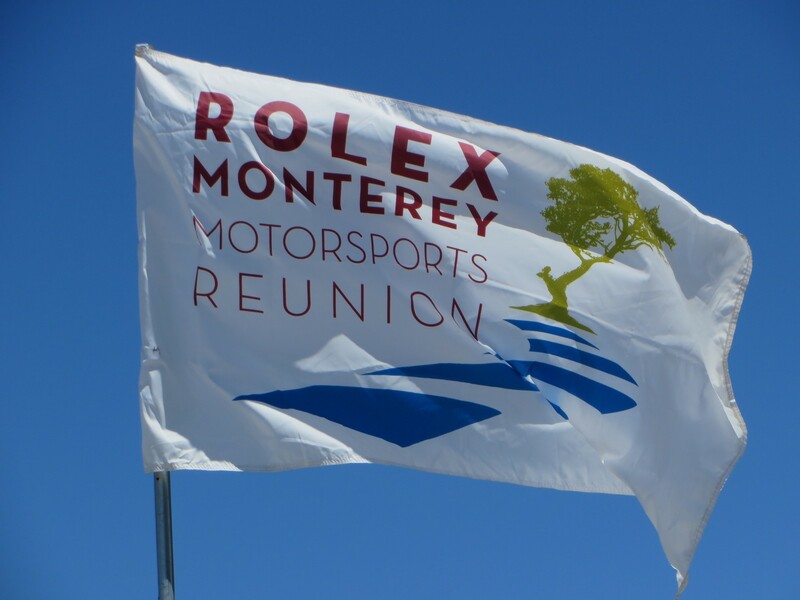 It was another sunny and warm day Sunday for the second/last day of the 2015 Rolex Monterey Motorsports Pre-Reunion at the iconic Mazda Raceway Laguna Seca. The schedule called for practice for the groups in numerical order, followed by afternoon races for Groups 1-11. 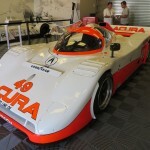 The fastest group of the eleven is Group Six for 1981-1991 FIA IMSA, GTP, GTO cars. Sunday morning during practice the cars were hitting upwards of 140 mph, as shown on the Mazda Zoom-Zoom radar screen on the Start-Finish Bridge. 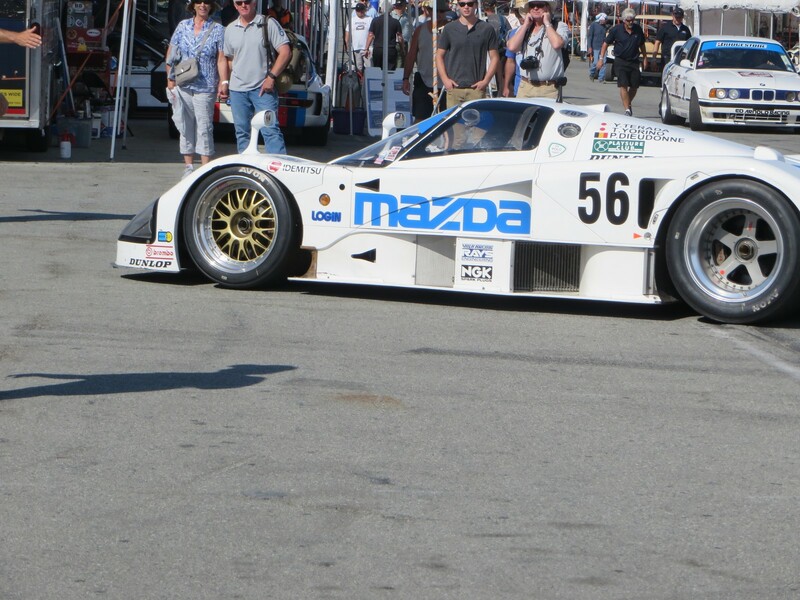 Saturday’s Group Six winner was Weldon Munsey in the factory 1992 Mazda RX7-92P, edging Bruce Canepa’s 1990 Porsche 962C. The average race speed in the 11-lap race was 83.074 mph. 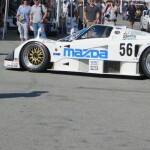 He won again Sunday, besting his factory teammate, Robert Davis in one of three factory Mazdas, a 1990 Mazda 787. 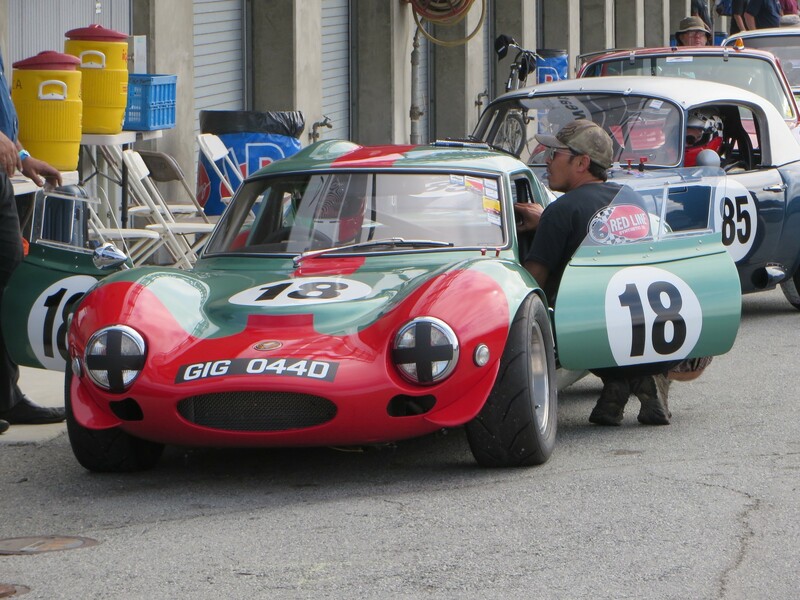 Derek Hill, son of the late Phil Hill, had the pole and won the Saturday Group Five Race for 1995-1961 Sports Racing Cars. Hill drove the white 1962 Maserati Tipo 151.His Margin of Victory was 01.865 seconds, and the average race speed was 61.704 mph in the eight-lap race. He bested Greg Meyer’s 1962 Dailu MK2. 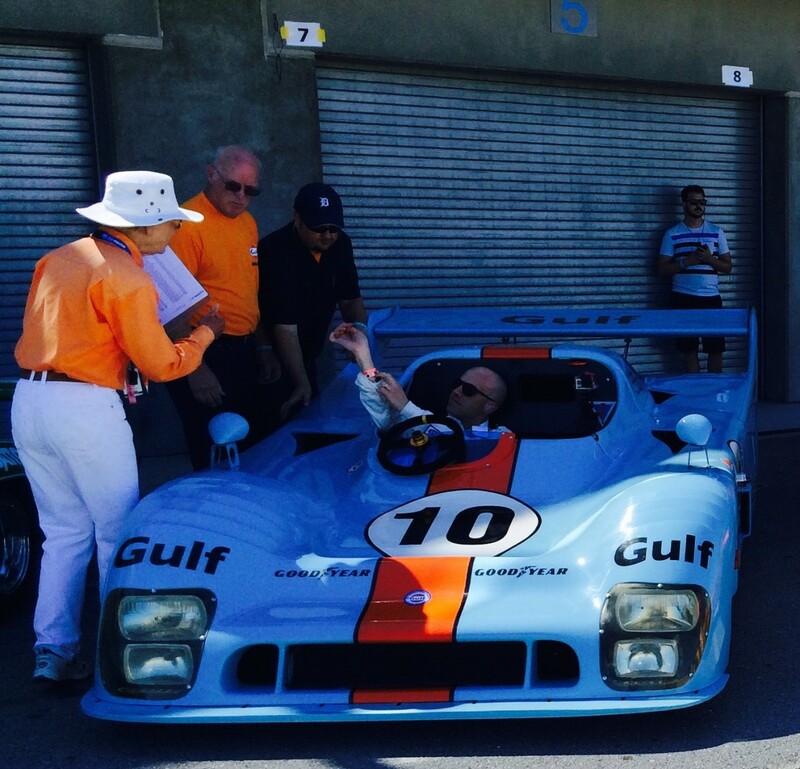 This group includes Derek Bell in a 1959 Maserati T-61 but he wasn’t there Saturday. Sunday Group Five’s race finished under caution, with Donald Orosco’s 1958 Lotus 15 the winner, ahead of Greg Meyer and pole sitter, Derek Hill. 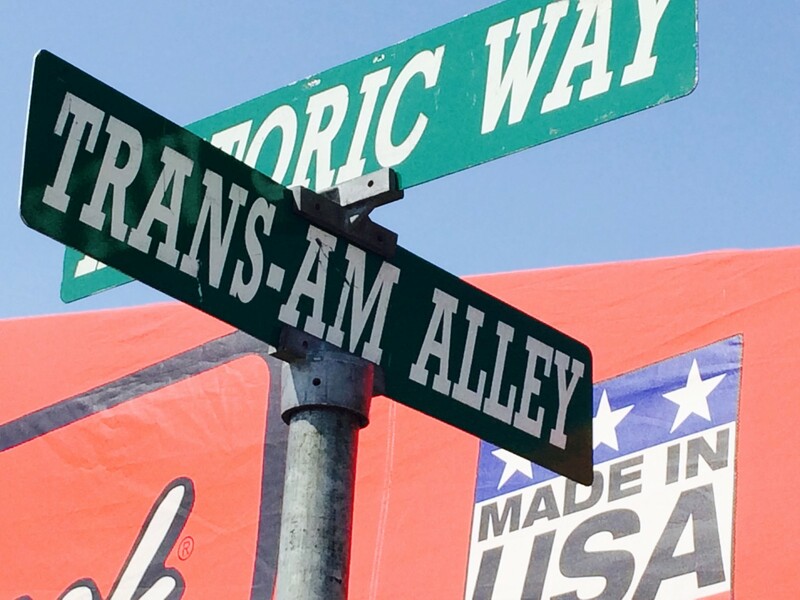 The Trans-Am Group Eight is always a popular one, with 31 cars from back in the day. 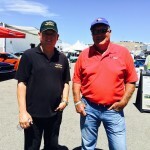 One of the those drivers is TV broadcaster, Mike Joy, who is driving No.89 1966 Ford Mustang owned by Kenny Epsman, who is driving No.2 1971 AMC Javelin. 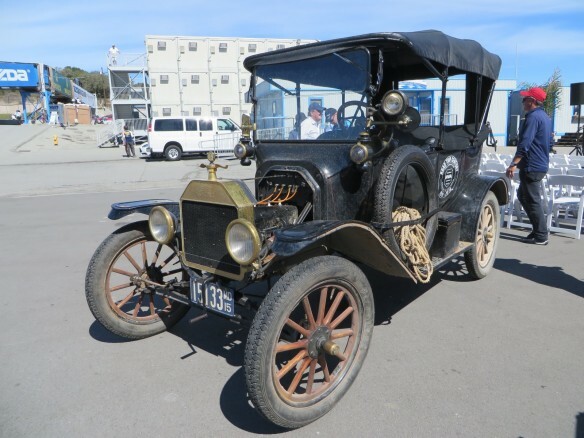 In answer to an earlier posed questions – yes, cars sold at the many car auctions held during the Classic Car Week on the Monterey Peninsula do end up racing in the Rolex Reunion races. One such example is No.16 1970 Ford Mustang Boss 302 originally driven by Peter Gregg. 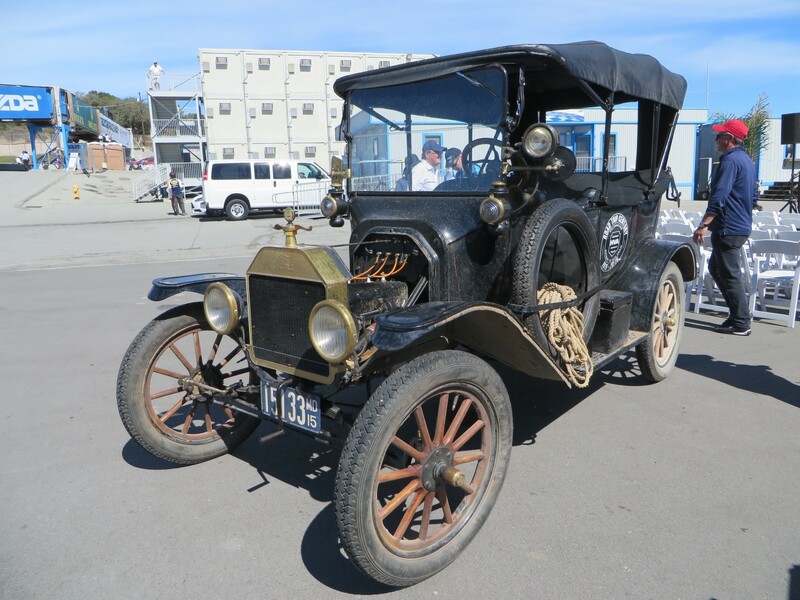 The car is now owned by Epsman, three owners removed from the original auction purchaser. 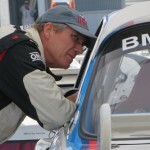 Bob Earl, veteran IMSA sports car driver, now is a driver coach and test driver. 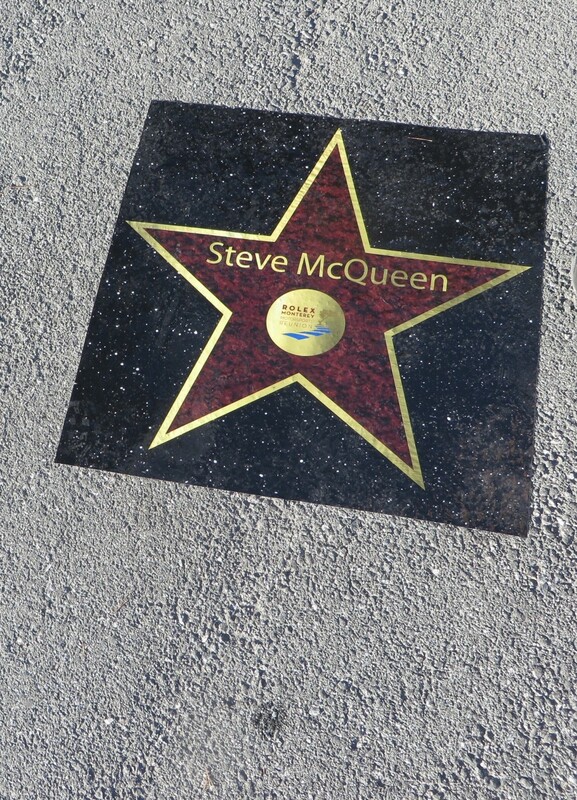 This weekend he’s shaking-down three cars. 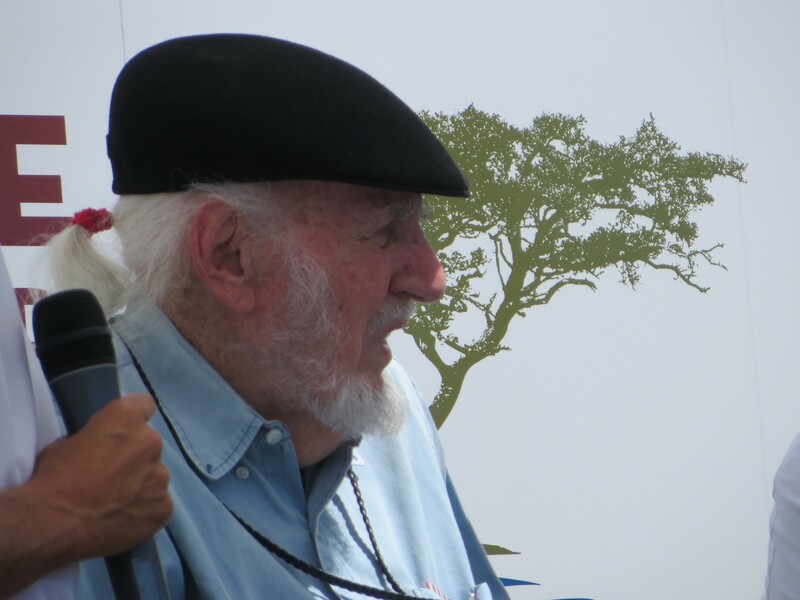 He was set to race the No.87 1971 Ferrari 312PB in Group Seven for FIA Manufacturers both this and next weekend, but has now been pre-empted for the Rolex Reunion by Lyn St. James. 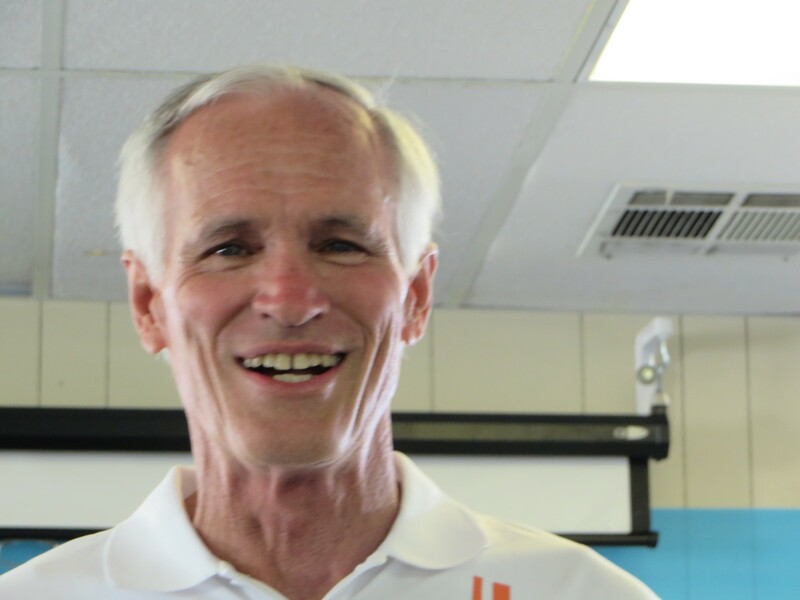 He’s also coaching and shaking down two factory BMW’s. In the oldest group of cars, Group One, for Pre 1951 Sports Racing and Touring Cars, perennial winner, pole sitter Peter Giddings again won in his much-raced 1932 Alfa Romeo Monza. His Margin of Victory in the six-lap race was 48.482 seconds, ahead of Max Jamiesson’s 1935 Ford Sprint Car. Gidding’s fastest lap of 2:01.307/66.417 mph was turned on the last lap. Group Two for 1955-1962 GT Cars/1958-1963 Formula Junior Cars was won by pole sitter Chris Locke in No.27 1963 Lotus 27 Formula Junior. His Margin of Victory was 02.528 seconds in the nine-lap race, ahead of Timothy De Silva’s 1963 Huffaker Mk6. Locke turned the fastest race lap of 1:44.507/77.093 mph on the last lap. 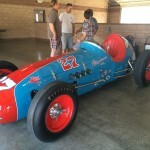 The average race speed was 70.175 mph. Group Three for 1973-1991 FIA, IMSA, GT, GTX, AAGT, and GTU Cars was won by Mike Thurlow in his 1976 Chevrolet Corvette, with a Margin of Victory of 00.821 ahead of pole sitter Ranson Webster in No.42 1976 Porsche 935 K3. Thurlow turned the fastest race lap time of 1:36.257/83.701 mph on Lap 4 of the ten-lap race. 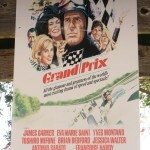 The average race speed was 76.264 mph. Group Four for 1947-1955 Sports Racing and GT Cars was won by pole sitter Cameron Healy in his 1953 Porsche Cooper Pooper, with a Margin of Victory of 15.580 ahead of Rob Manson’s No.7 Balwin Mercury. Healy turned the fastest lap of 1:49.555/73.541 mph on Lap 5 of the nine-lap race. The average race lap was 67.015 mph. 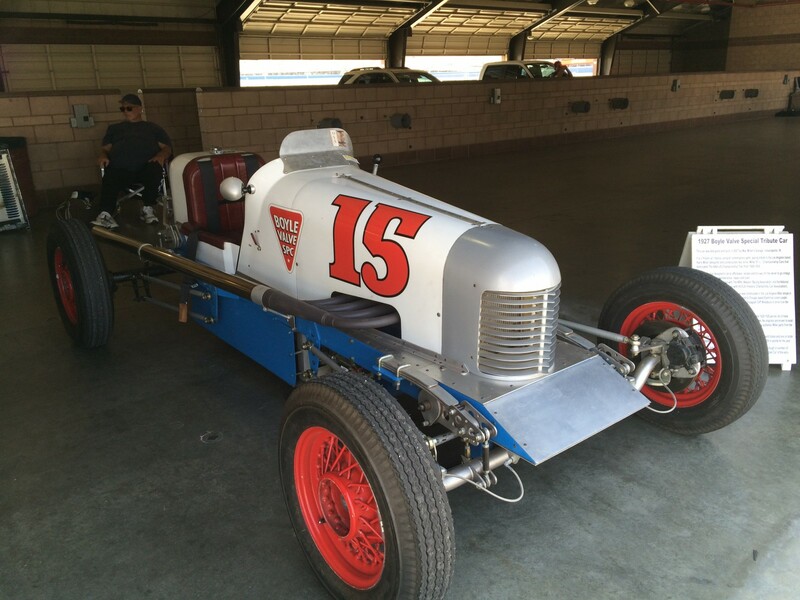 Group Five for 1955-1961 Sports Racing Cars under/over 2500cc was won by local driver, Donald Orosco in his 1958 Lotus 15. 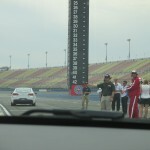 The Margin of Victory (01.311) isn’t indicative of the race finish, as the Pace Car led the field to the checkered flag. Orosco turned the fastest lap of 1:46.870/75.389 mph on Lap 5 of the seven-lap race. 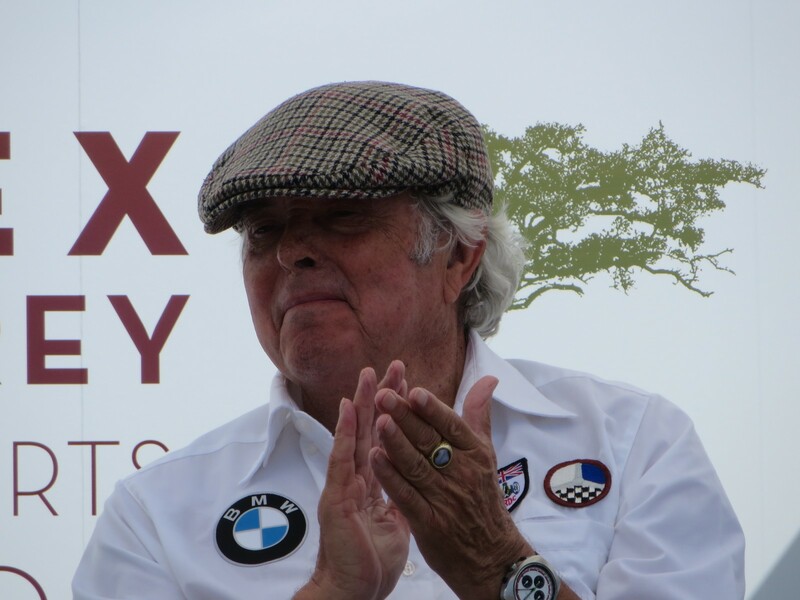 Group Six for 1973-1991 FIA, IMSA GT, GTX, AAGT, and GTU/GTO Cars was won by pole sitter Weldon Munsey. 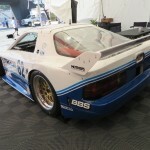 His Margin of Victory over factory teammate, Jeremy Barnes’ 1991 Mazda RX7-92P was 20.804 The fastest race lap was turned by local driver, Bruce Canepa in his 1990 Porsche 962C. His time was 1:26.947/92.663 mph on Lap Eight on the eleven-lap race. 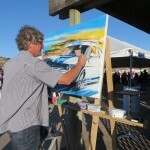 He finished ninth of the sixteen-car field. The average race lap was 83.812 mph. 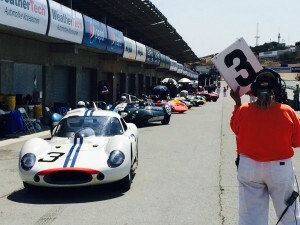 Group Seven for FIA Manufacturer’s Cars was won by Keith Frieser’s No.27 1972 Lola T290, 06.300 seconds ahead of pole sitter Cal Meeker’s No.115 1973 Lola T294. 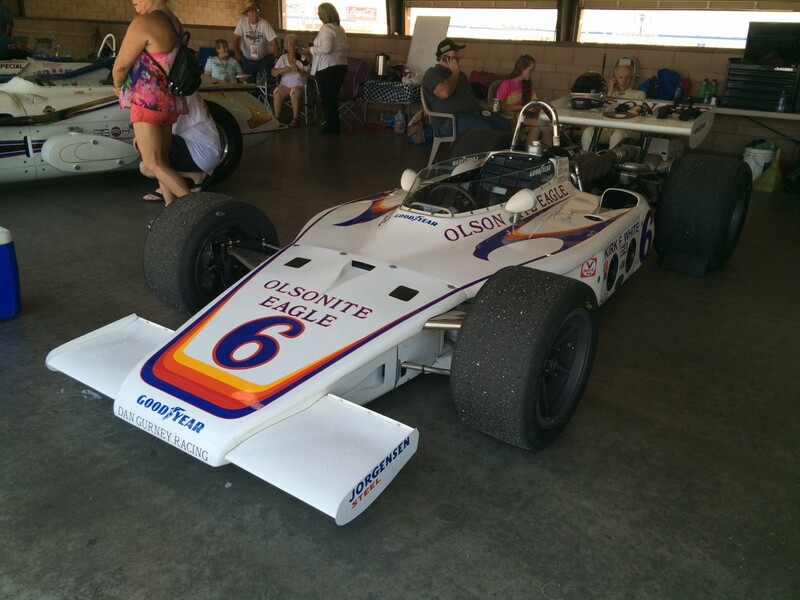 Third place finisher, Chris MacAllister’s No.5 1973 Gulf Mirage, turned the fastest race lap of 1:26.463/93.182 mph on Lap 5 of the eleven-lap race. The average race speed was 84.467 mph. 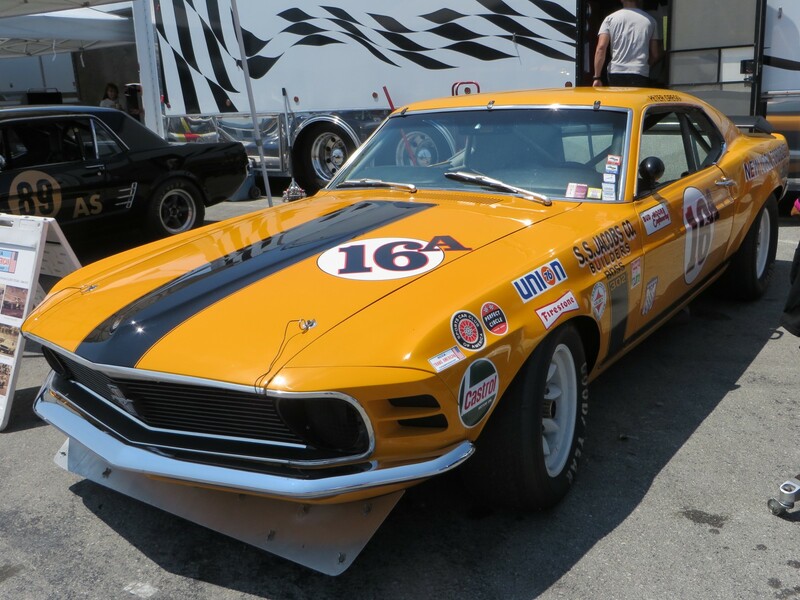 Group Eight for 1966-1972 Historic TransAM Cars was won byJim Hague in No.16A 1970 Ford Mustang Boss 302 by a mere 00.148 seconds ahead of Ken Adams in No.45 1969 Ford Mustang Boss 302. Pole sitter Ken Epsman’s No.2 1971 AMC Javelin finished fourth behind Mike McGovern in No.16T 1971 AMC Javelin. 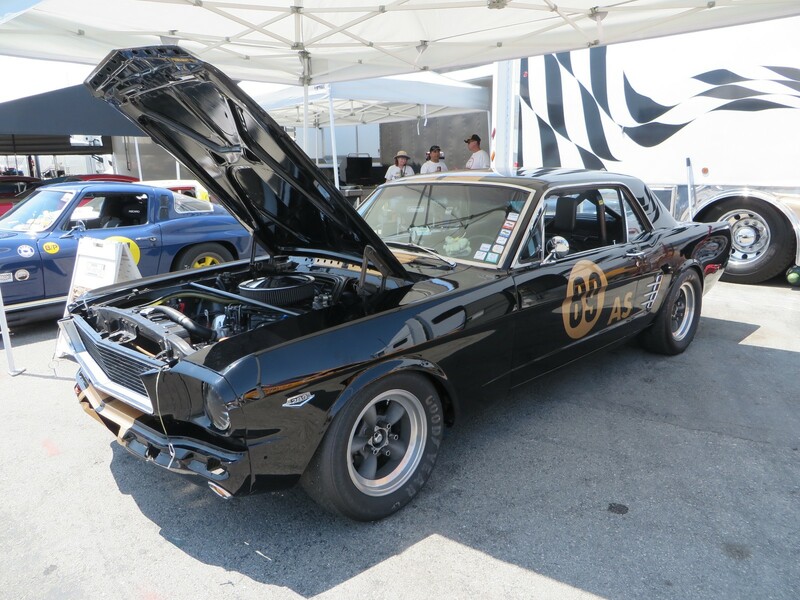 Bruce Canepa’s No.6a 1970 AMC Javelin finished sixth, but turned the fastest race lap of 1:45.960/76.036 mph. The average race lap was 68.236 mph in the nine-lap race. Group Nine for 1961-1966 GT Cars under 2500cc was won by pole sitter Fred Della Noce from Brazil in his colorful No.18 1986 Ginetta G12. He beat his Brazilian teammate, Dalmo De Vasconcelos in No.85 1965 Lotus Elan 26R by 02.957 seconds, and he turned the fastest lap of 1:46.086/75.946 mph on Lap 6 of the eight-lap race. The average lap speed was 67.513 mph. IndyCar driver, Justin Wilson of England, was a last minute entry in No.54 911 67S Porsche. 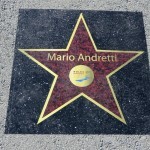 He qualified third and finished fifth in the race. 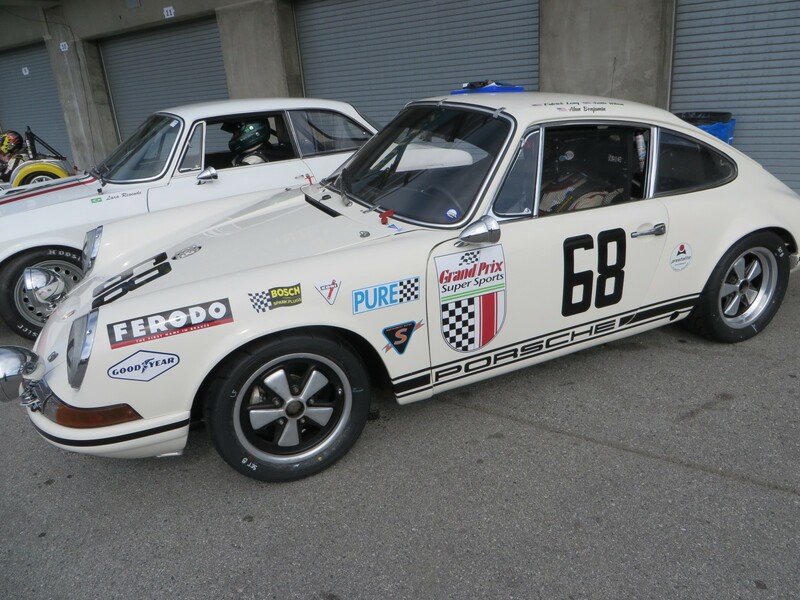 The only American Factory Porsche driver, Patrick Long of CA, finished twentieth in No.68 Porsche 1968 Porsche 911 T/R. 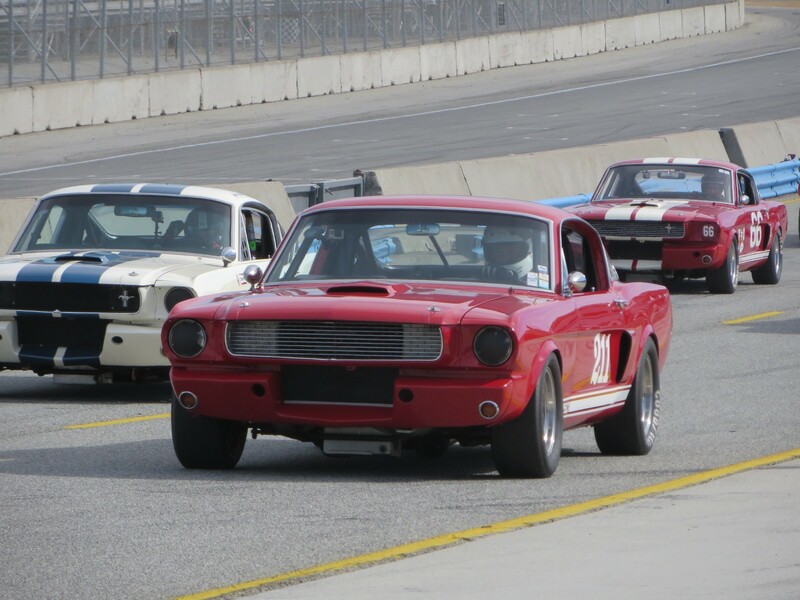 Group Ten for 1963-1966 GT Cars over 2500cc was won by Chris MacAllister in his No.146 1964 Cobra 289, 04.113 seconds ahead of Dale Akuszewski’s No.55 1965 Sunbeam Tiger. Pole sitter Mike McGovern’s No.19 1964 Shelby Cobra came in twelfth. The fastest race lap of 1:41.430/79.432 mph on Lap 3 of the eight-lap race was set by Edward Hugo’s No.996 1996 Corvette. The average race lap was 61.748 mph. 1:27.971/91.585 mph on the last lap of the nine-lap race. 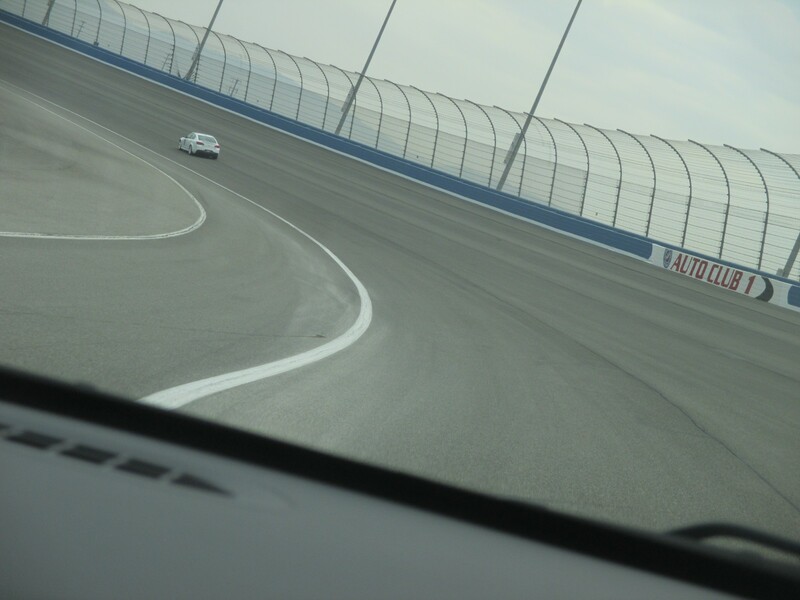 The race was punctuated by a caution. The average lap was 60.788 mph. 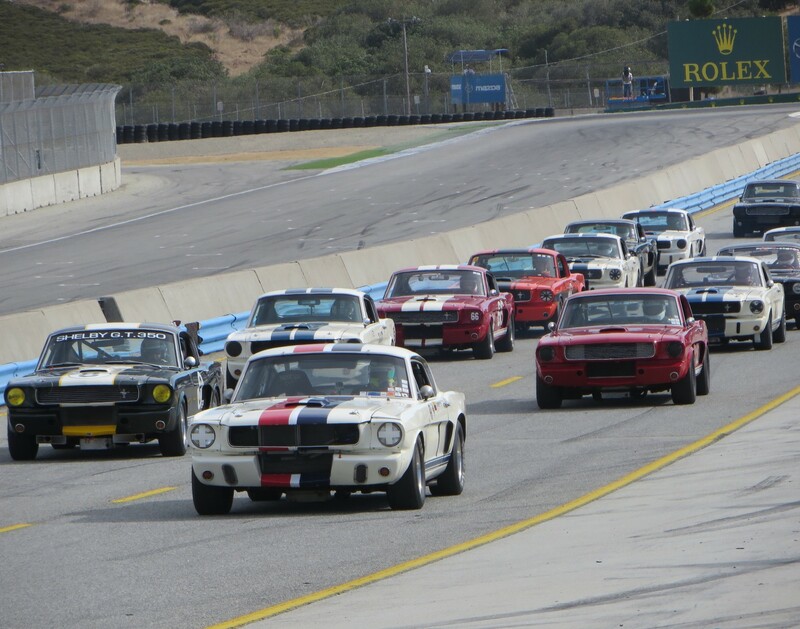 Next week’s Rolex Monterey Motorsports Reunion starts Thursday, for a four-day festival honoring the 50th Anniversary of the Shelby GT350. 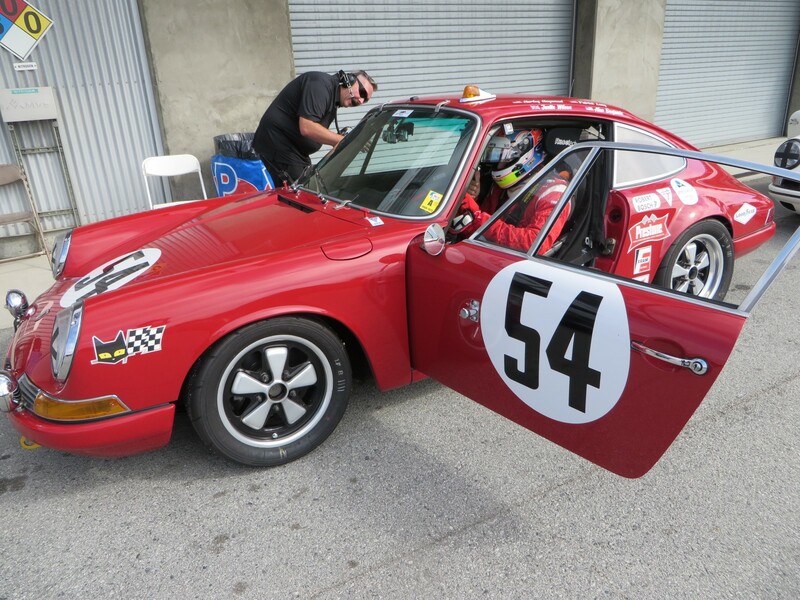 More than 330 vintage and historic cars are gathered at Mazda Raceway Laguna Seca for the 2015 Rolex Monterey Motorsports Pre-Reunion races. 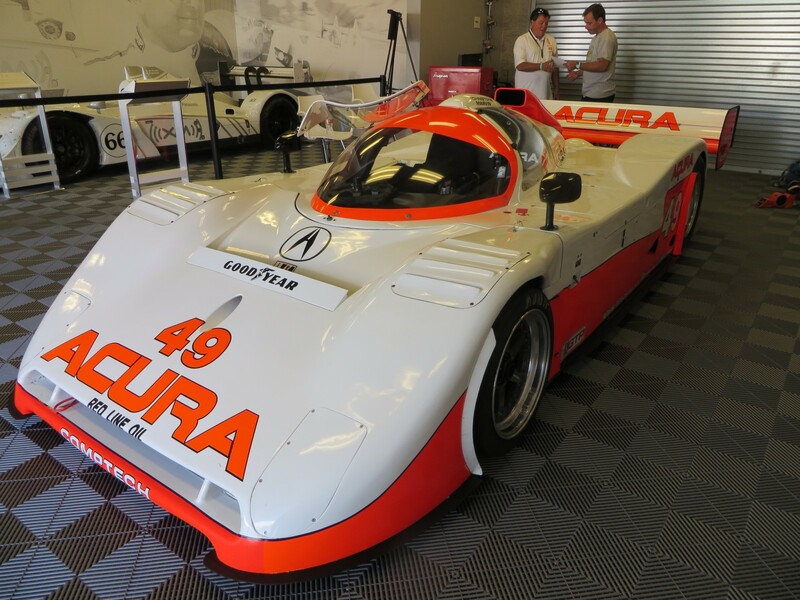 They come from far and wide, and the years range from a 1924 Duesnberg Model A Speedster in Group One Pre 1951 Sports Racing and Touring cars, to a 1991 Chevrolet Camaro in Group Six for 1981-1991 FIA, IMSA GTP, GTO and GTO cars. There are eleven race groups in all. This weekend is the precursor to the 2015 Rolex Monterey Motorsports Reunion, which will celebrate the 50th Anniversary of the Shelby GT350 Mustang car. 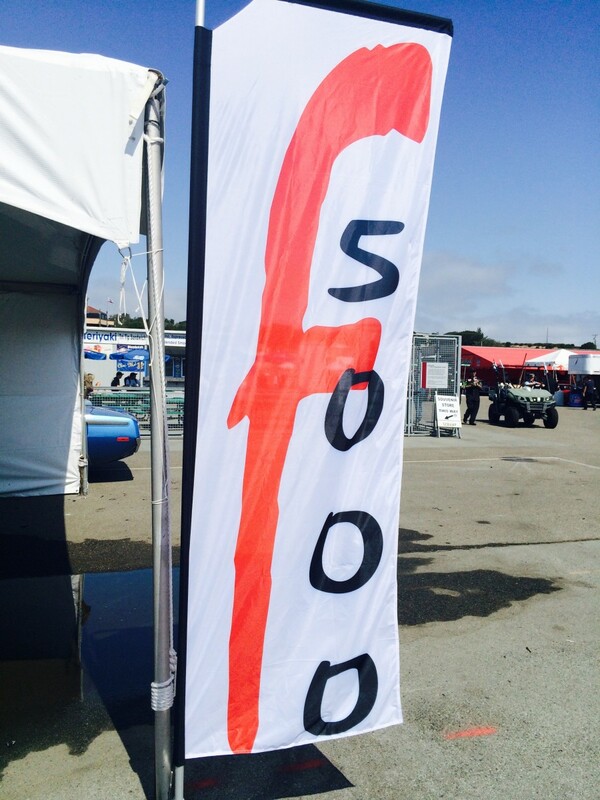 There are more than 550 entries for that weekend. Saturday’s weather was ideal – low seventies, blue skies with no fog or clouds, and a brisk breeze to keep it temperate. 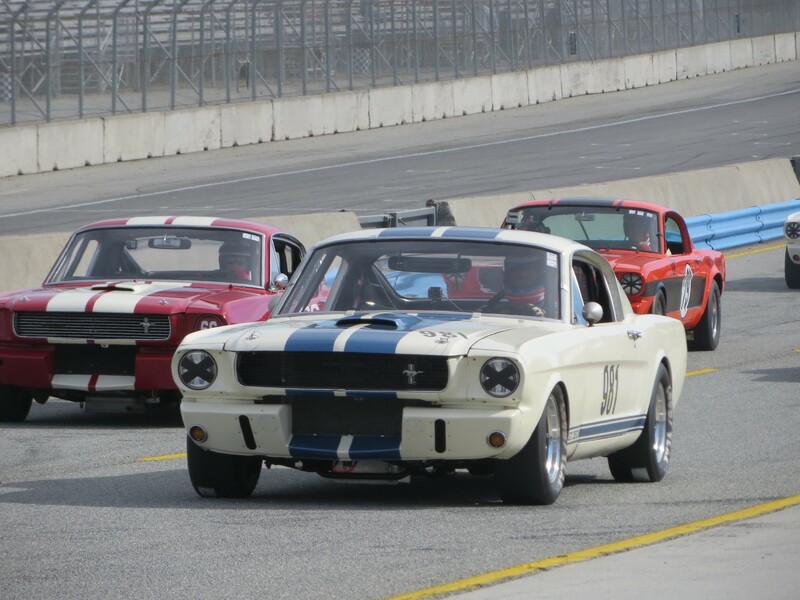 For the Pre-Reunion, 21 Shelby GT350’s are racing in Group 10 for 1963-1966 GT Cars over 2500cc, out of a fifty-three car field. 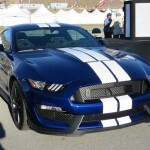 There are also a wide variety of other Shelby’s, Mustangs and Cobtras, as well as cars of other marques. This is the largest of the eleven Pre-Reunion groups. 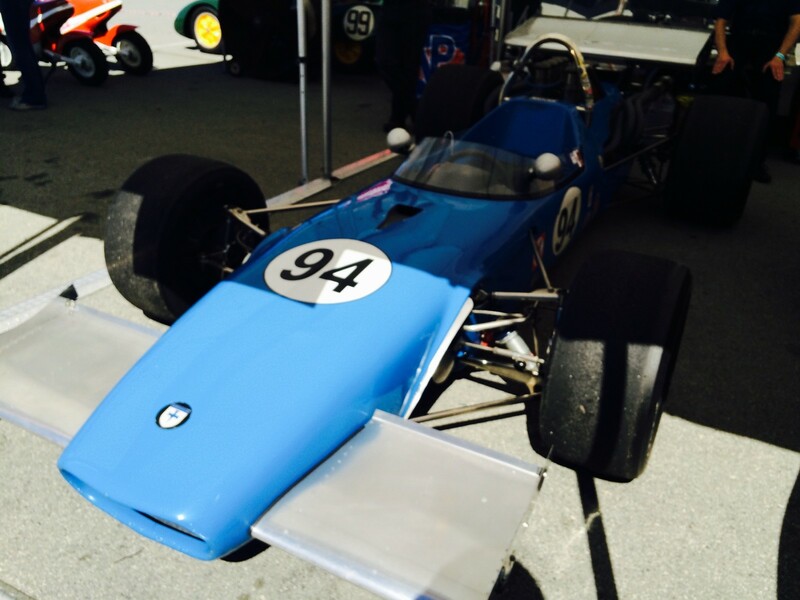 There are 38 entries in Group 11 – Formula 5000, and they come from far and wide. The US has a strong Formula 5000 Drivers Association. 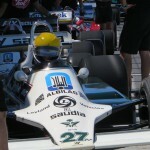 Australia also has an F5000 association, and the F5000 drivers in New Zealand have a really strong group. The two Down Under Groups really wanted to run this race, so there are 11 cars from New Zealand and four from Australia. 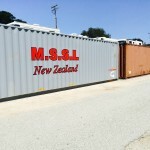 There are also entries from Denmark and Canada, as well as eight states including California. 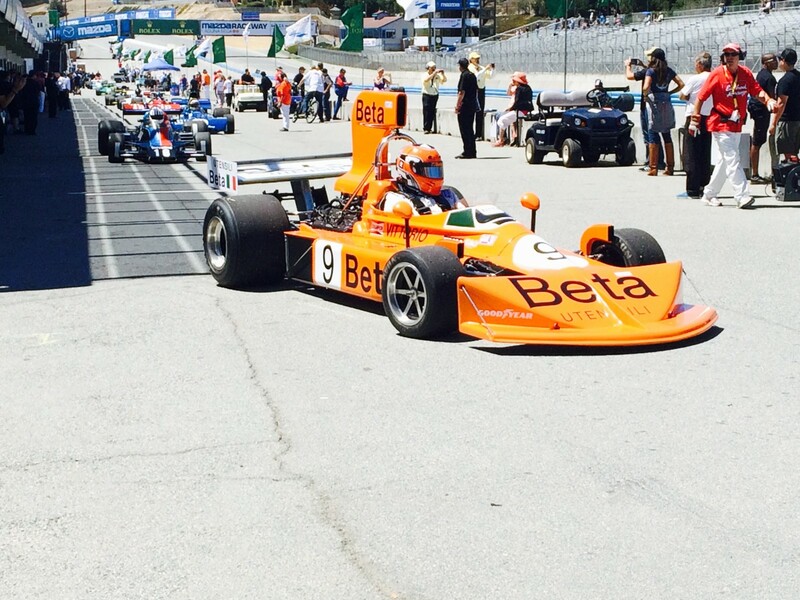 Of the foreigners, at least ten are racing at Laguna Seca for the first time. All love it. And some go to any lengths to prepare their cars. 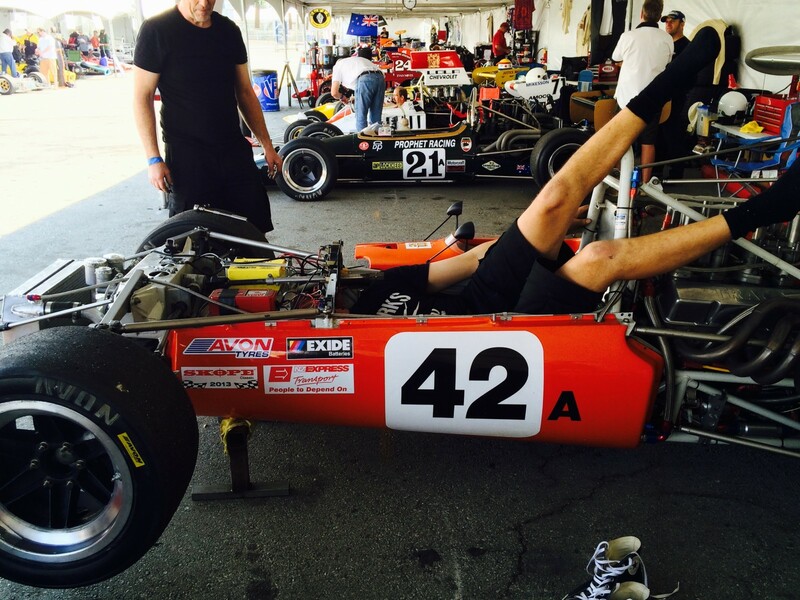 One unfortunate F5000 driver, Johnny Crean of New York, had a mishap with the Turn Eleven wall, but he is alright. The same can’t be said for his car. 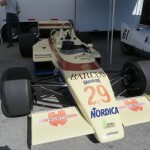 Eric Haga from Renton WA, ran in the original F5000 series back in the day. 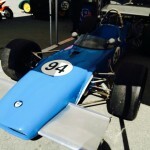 He still has that original F5000 car, but it’s not quite race ready. 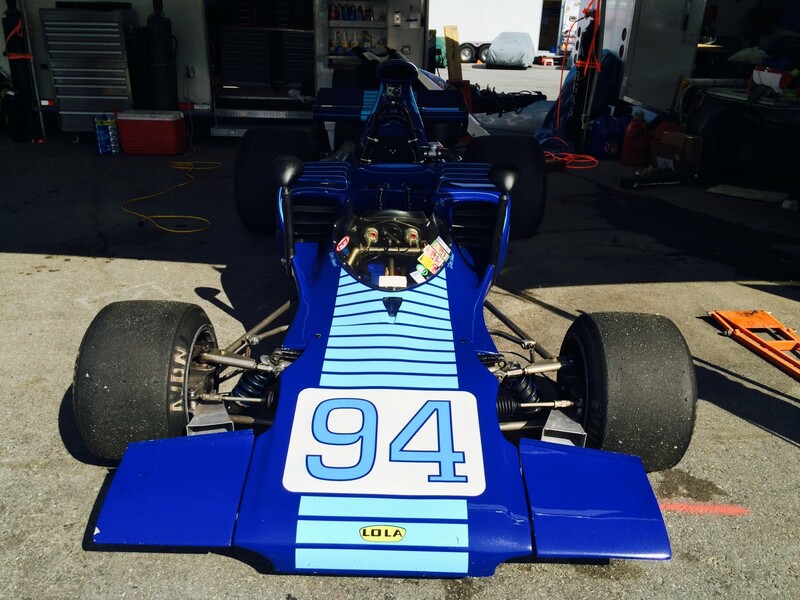 For this F5000 gathering, he’s racing his No.94 blue 1972 Lola T 300, originally raced by Eppie Weitzs back in 1972…this weekend and next. 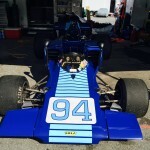 Based on the morning practice session, Zak Brown of IN had the pole for the afternoon F5000 race, driving No.5 1974 Lola T332. He won the race by 01.277 seconds ahead of Steven Ross in his 1973 McRae GM-1. 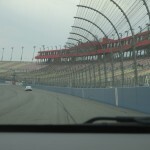 The nine-lap race ran 20.142 miles in 18.35.180 minutes. The average race speed was 65.022 mph, slowed by some cautions for stranded cars. 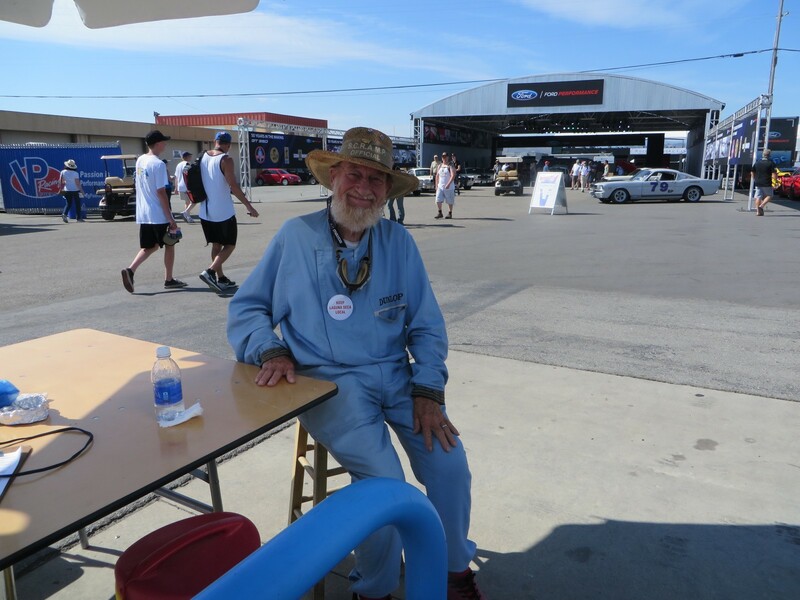 Hats off – or rather on – to the 12 dedicated volunteer IndyCar Observers stationed at their posts around the track with no shade. 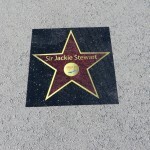 The dozen guys – no females this week – are all experienced oval Observers. 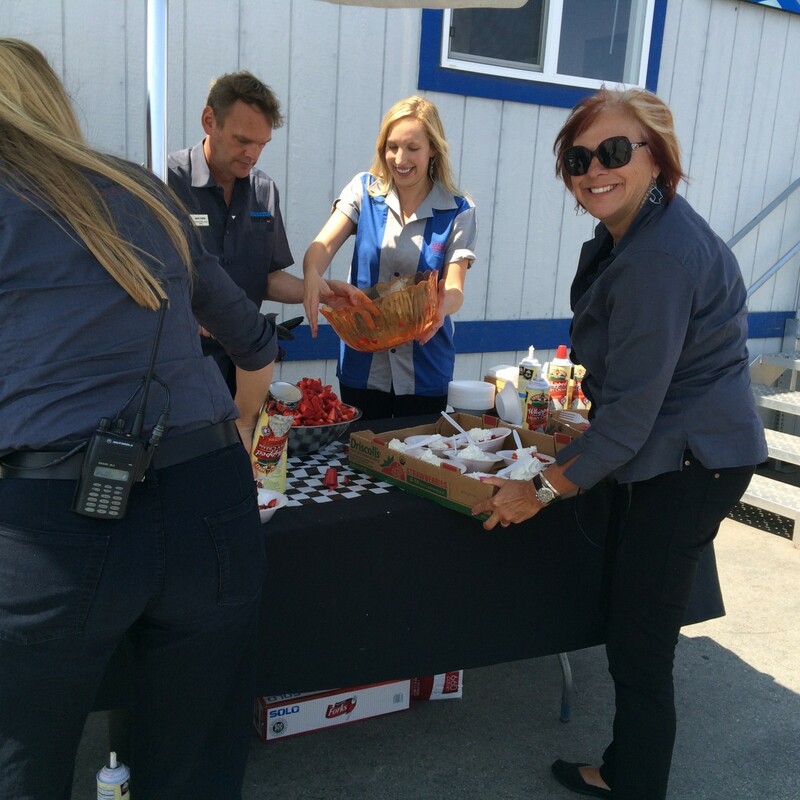 For the Indianapolis 500 race this year, there were nearly 70 such volunteers including two women. 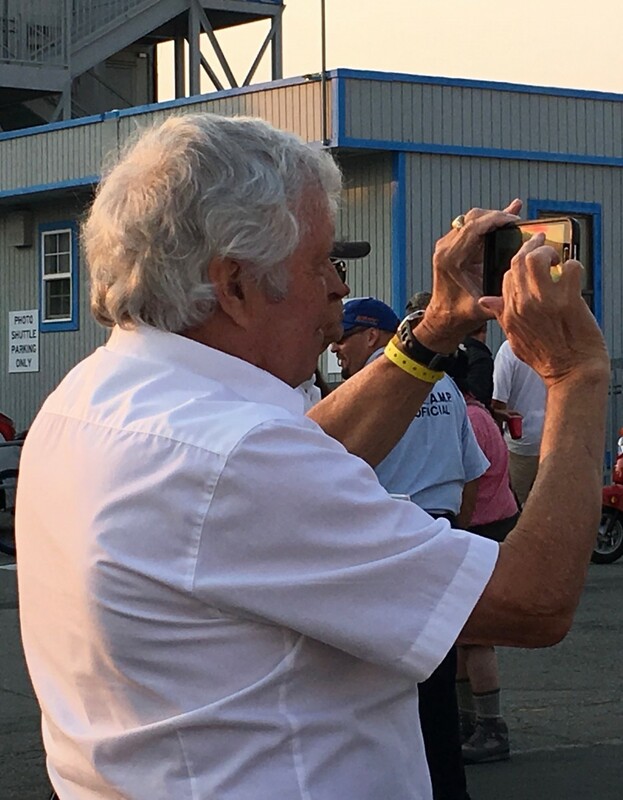 For the first time, one of their own – Fred Kurtz – made a beautiful hard-bound coffee table photo album chronicling the Indy 500 crew and their positions. These books were handed out this weekend. 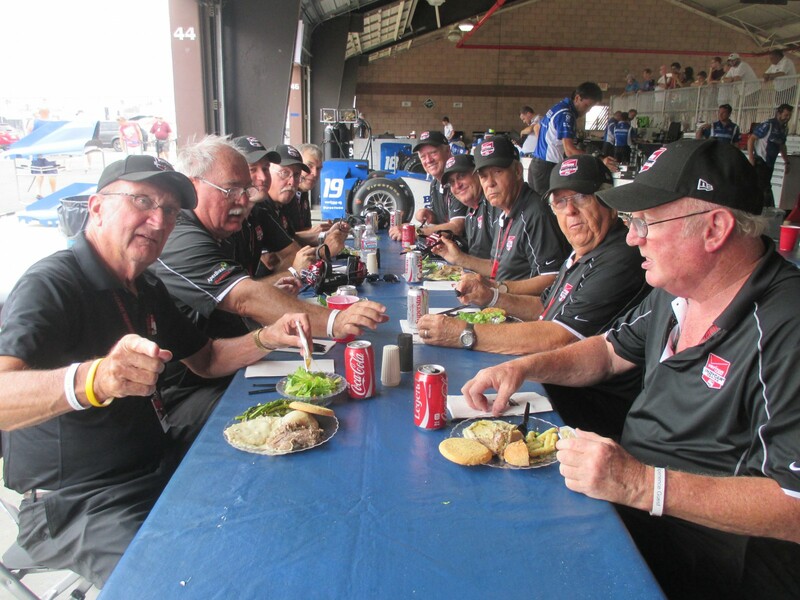 That crew had nearly 800 years of experience among their ranks, with one volunteer racking up 48 years at the Indy 500. 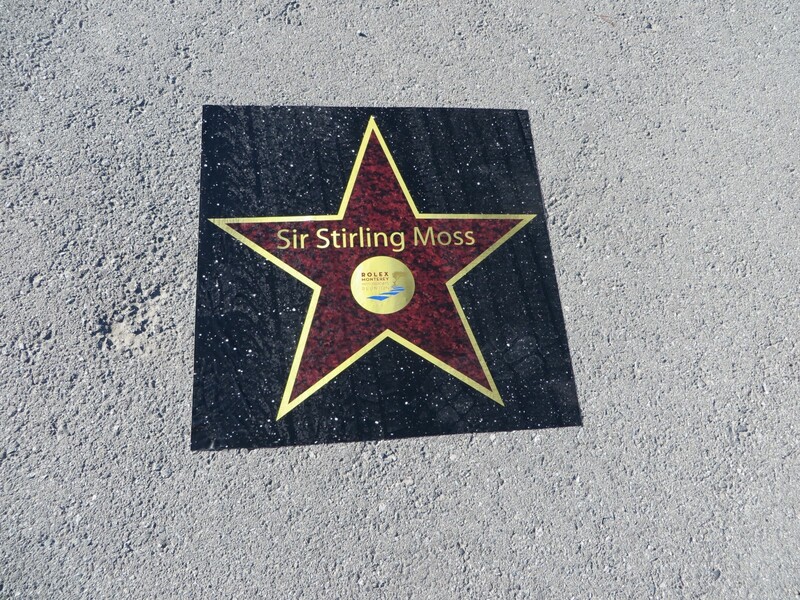 Well done Observers! 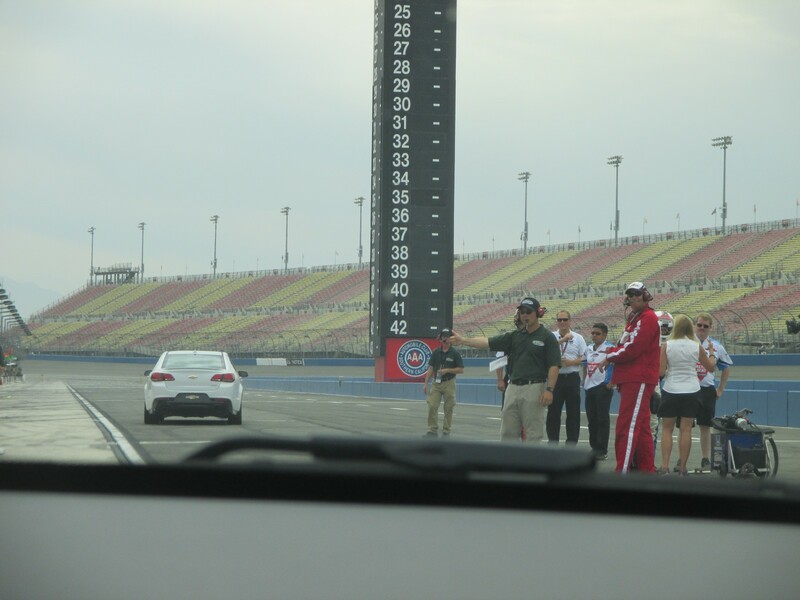 For those who don’t quite get it about just how difficult it is to be a race car driver on an oval track (or any track), try taking a Pace Car ride in a Chevrolet SS rear wheel drive sedan with Larry Foyt, as did I Saturday noon. Photojournalist Annie Profitt and Leah were with me making a couple of laps around the 2-mile speedway. 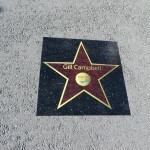 I have a new appreciation for just how much physical fitness and training is needed, how G Forces can affect your neck, and just how fast things go whizzing by as one is trying to concentrate on many things – multi-tasking to the nth degree. 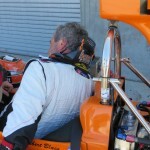 Race Car Drivers are truly athletes. 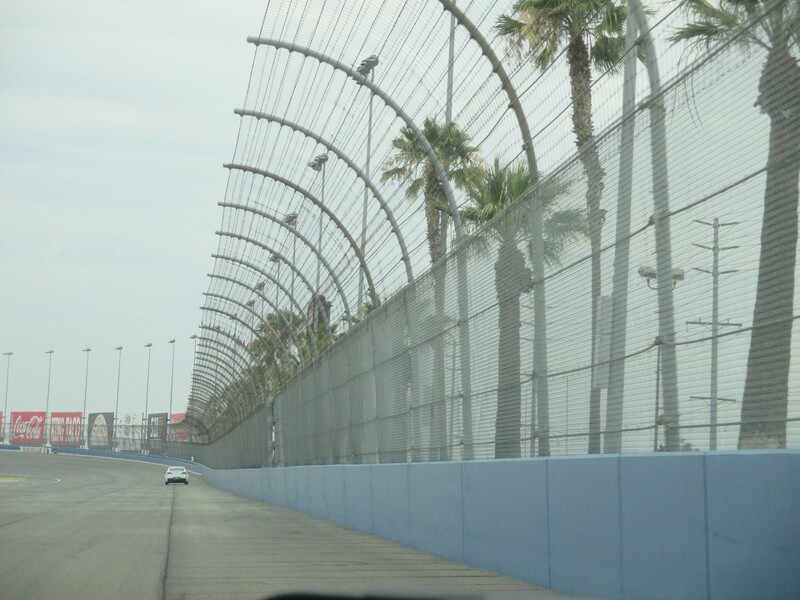 And it’s very comforting to see SAFER walls all around the track. Hopefully they will not be needed. 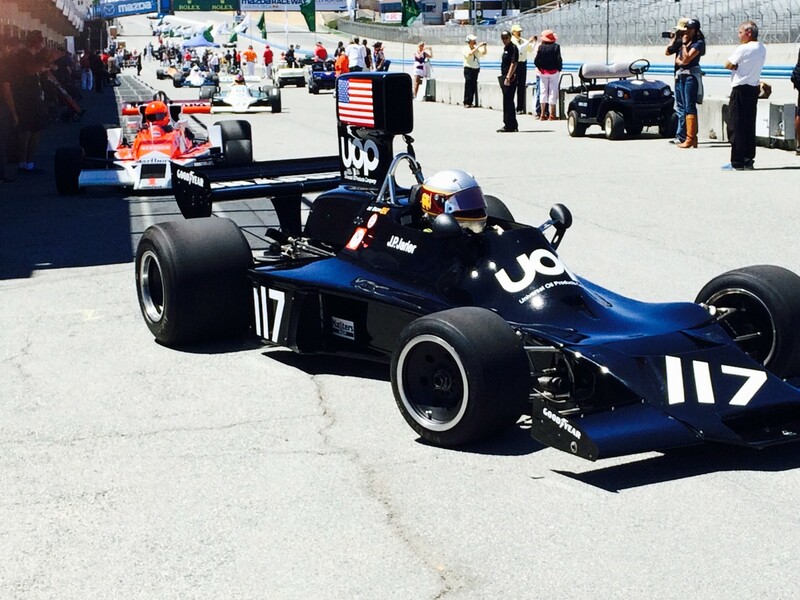 The other support group this weekend was the Vintage indycar Legends cars, which did parade/exhibition laps at speed.